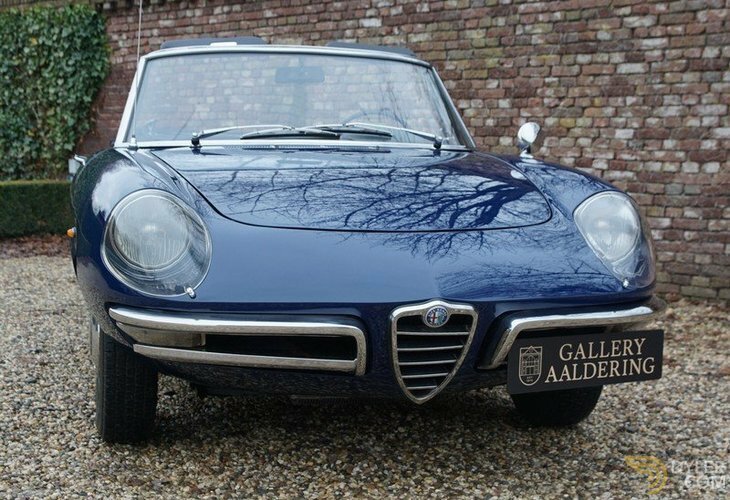 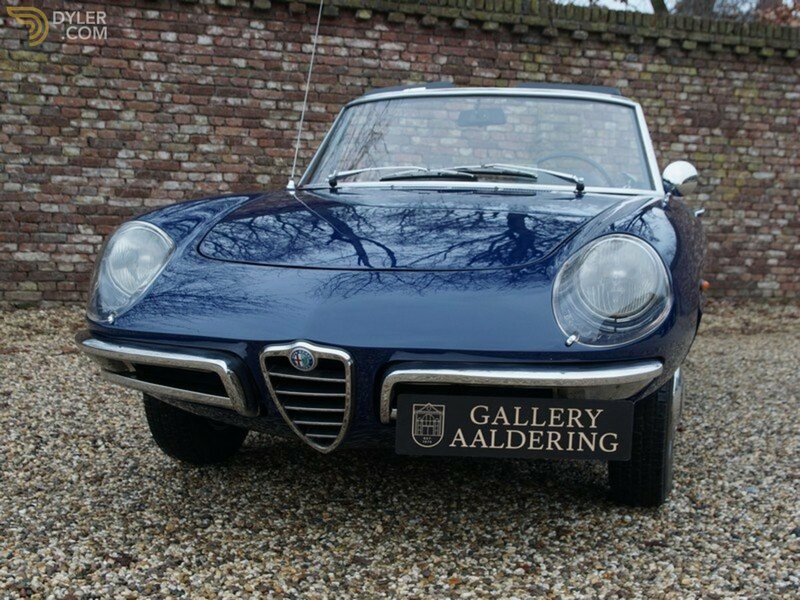 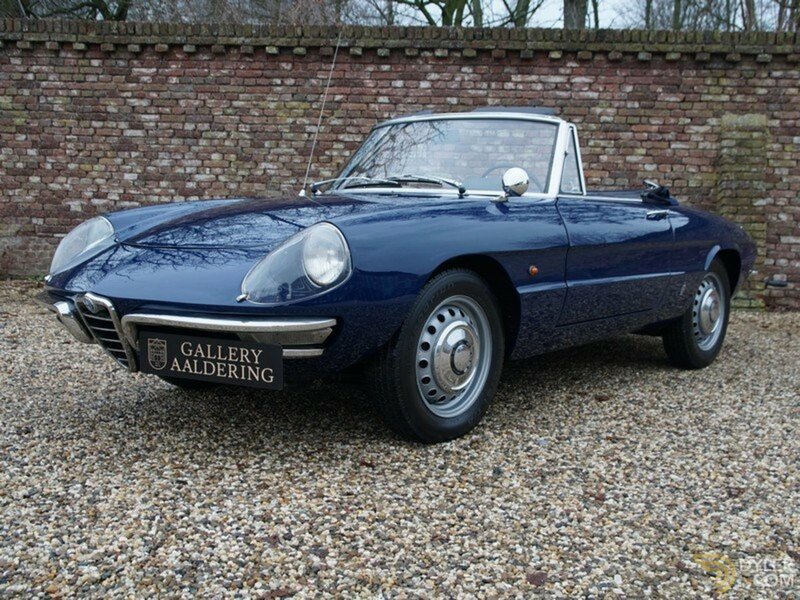 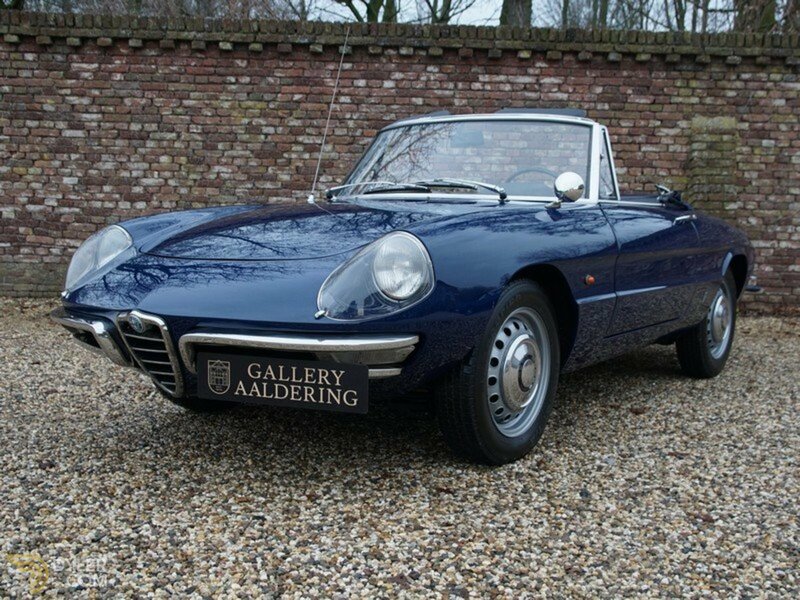 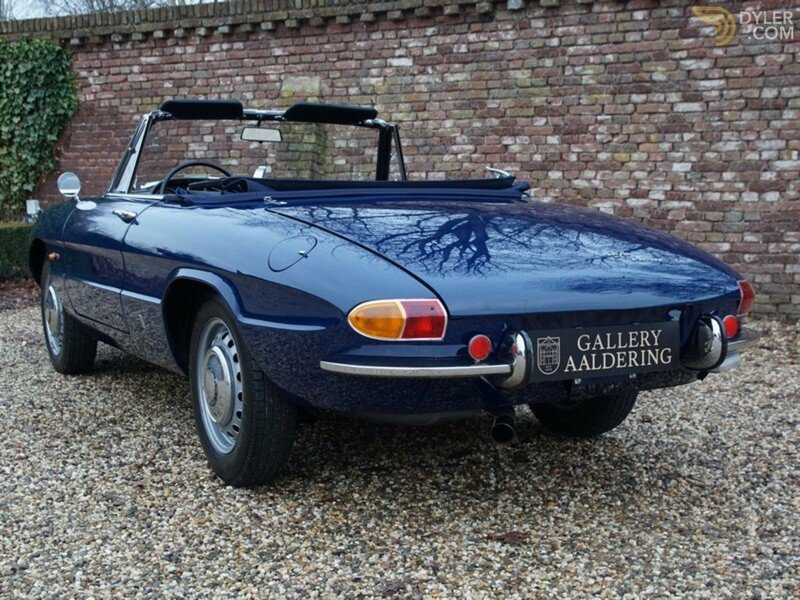 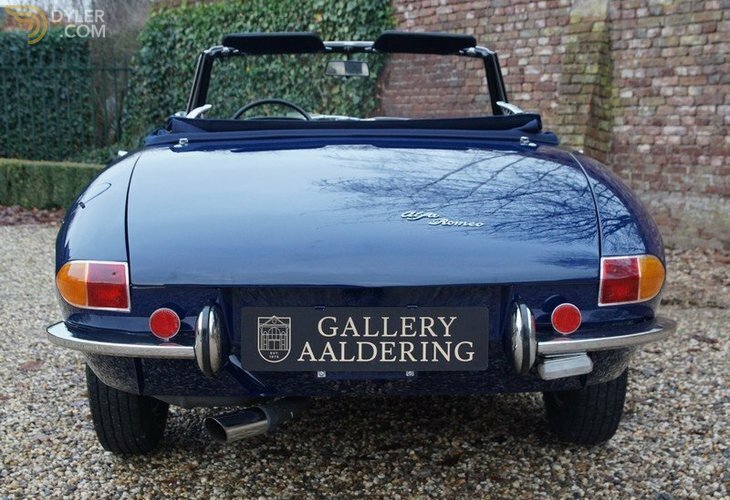 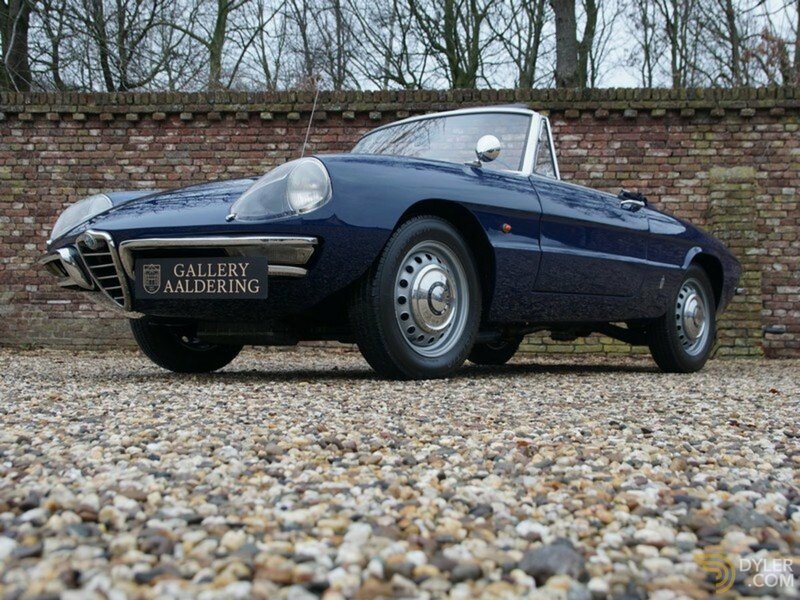 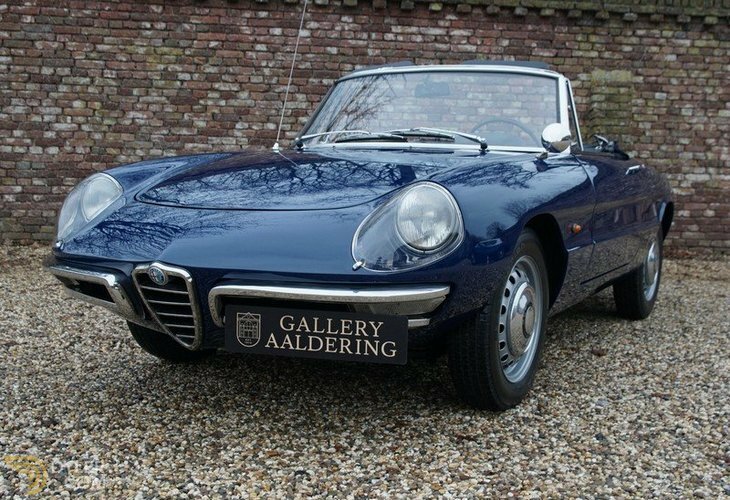 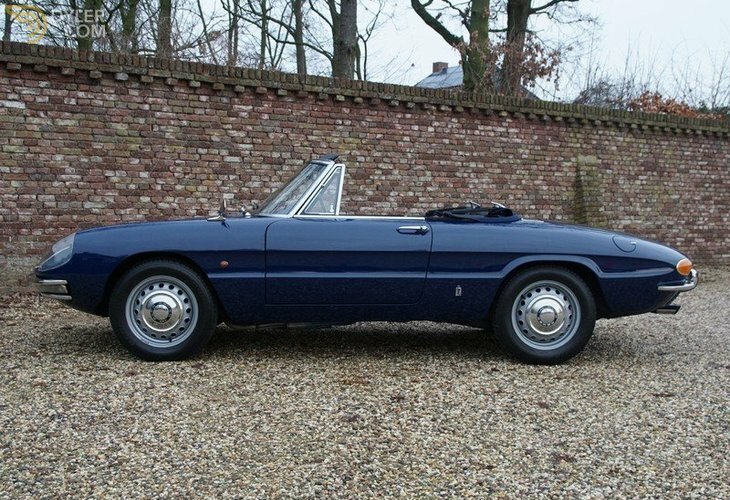 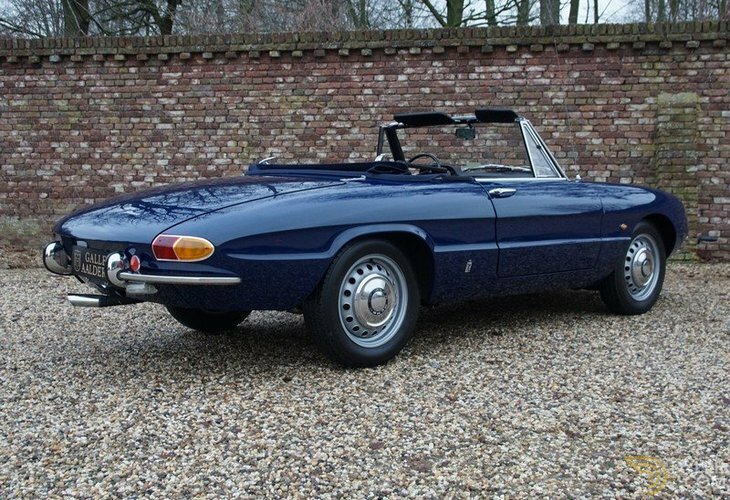 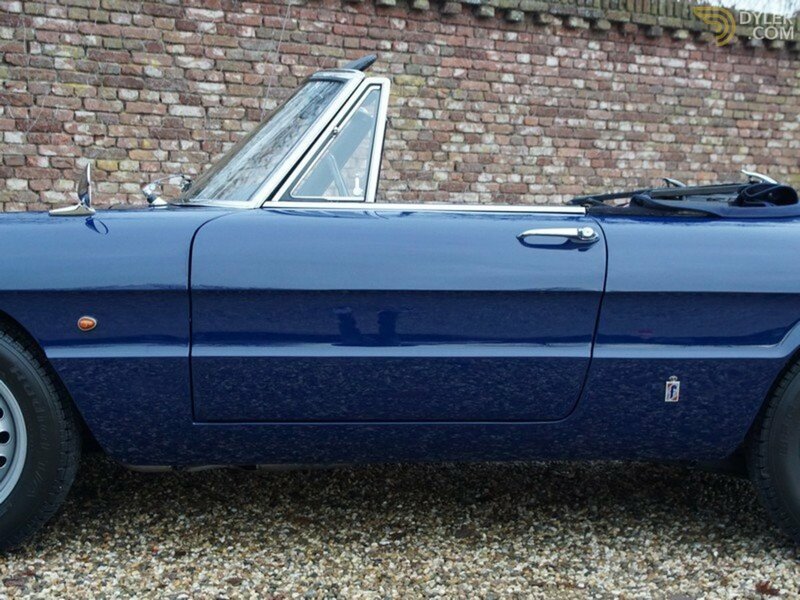 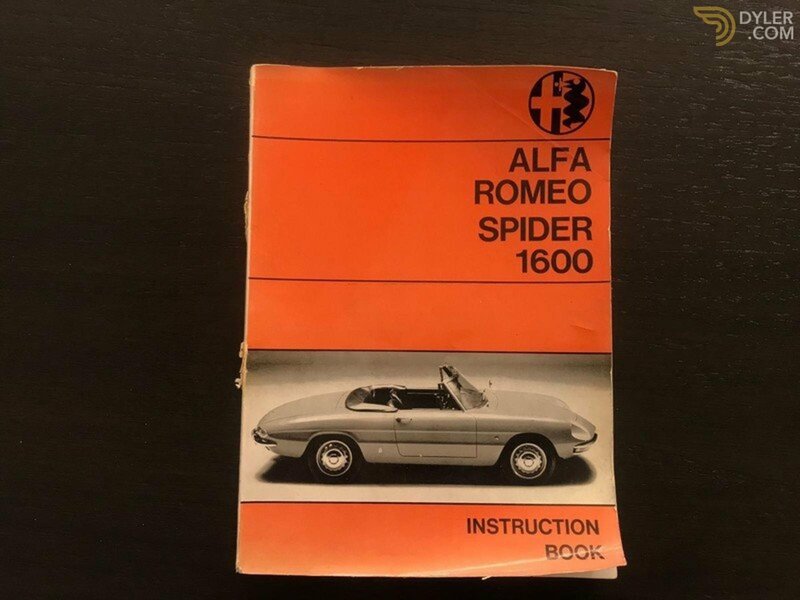 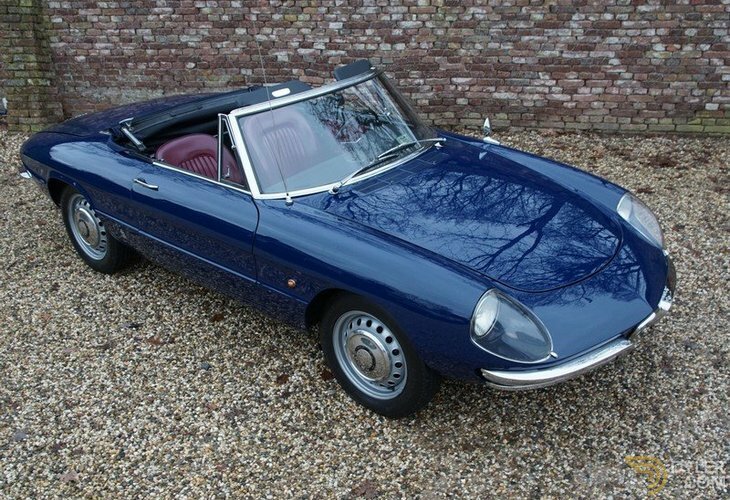 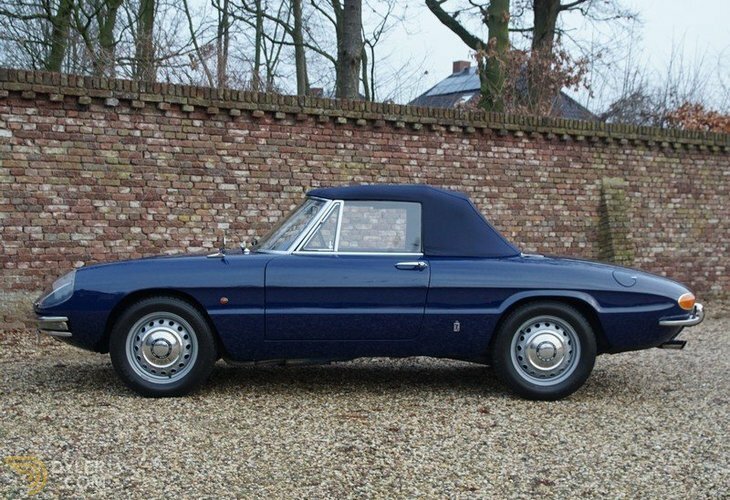 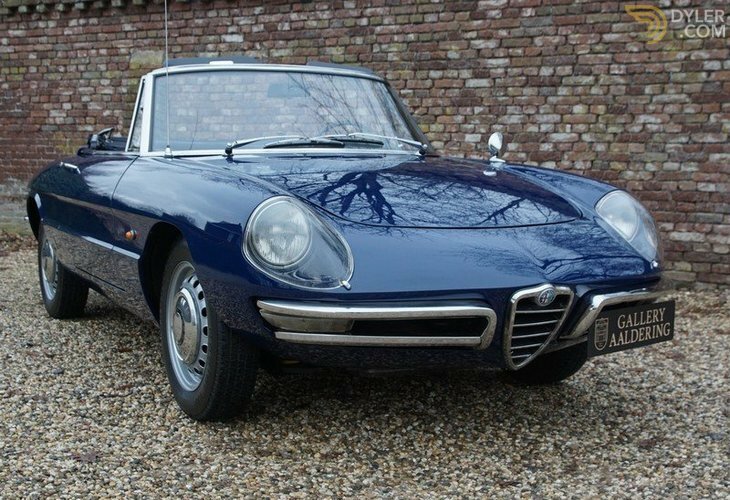 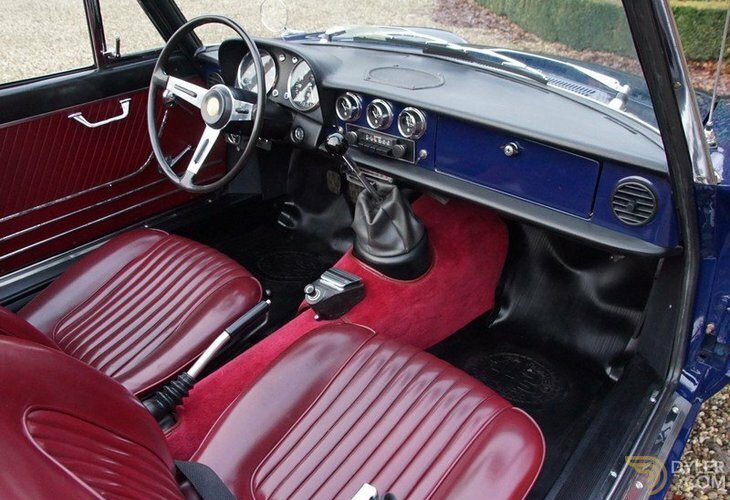 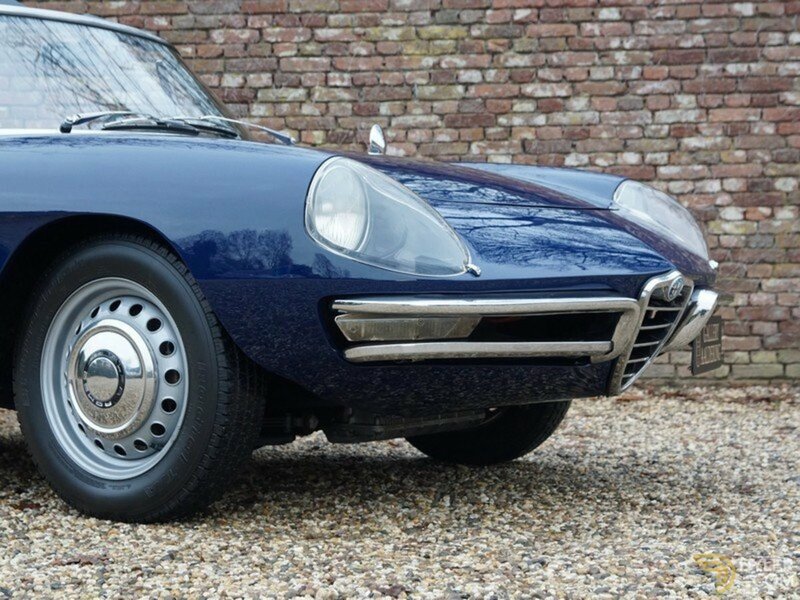 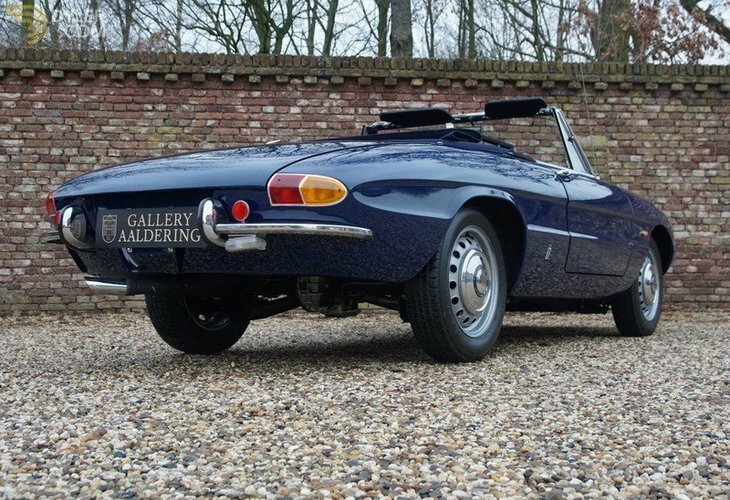 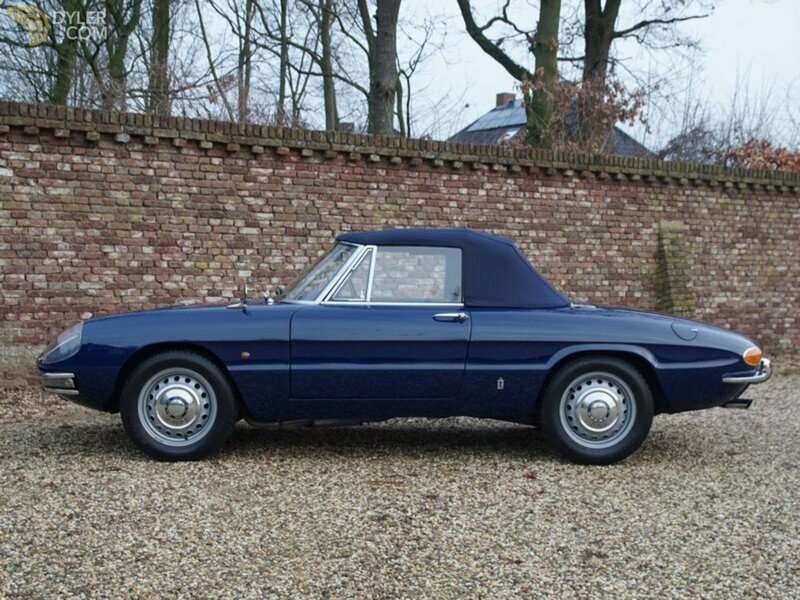 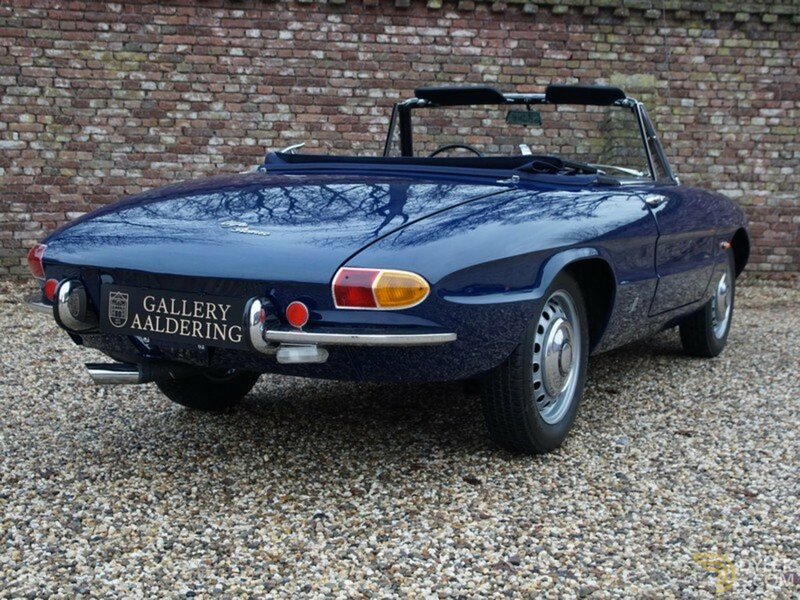 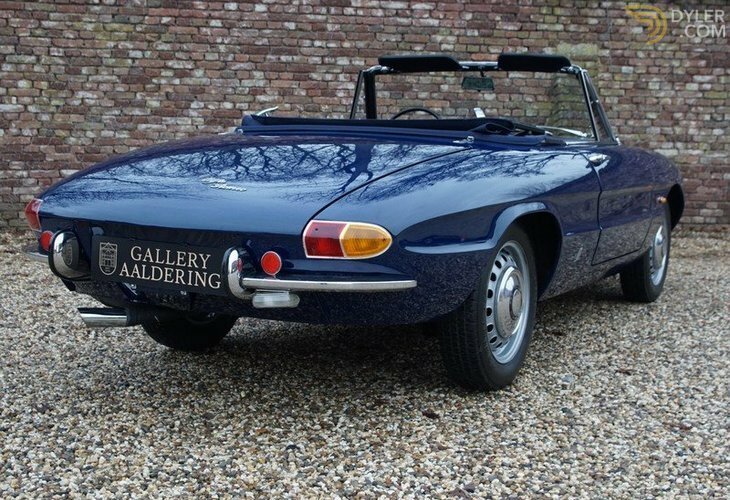 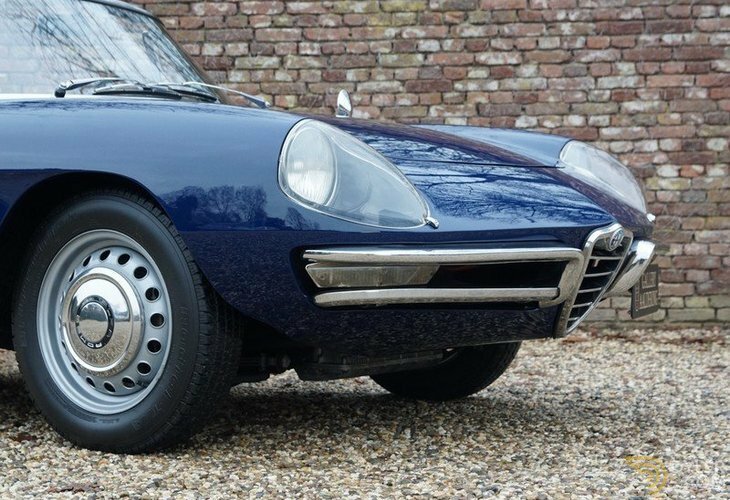 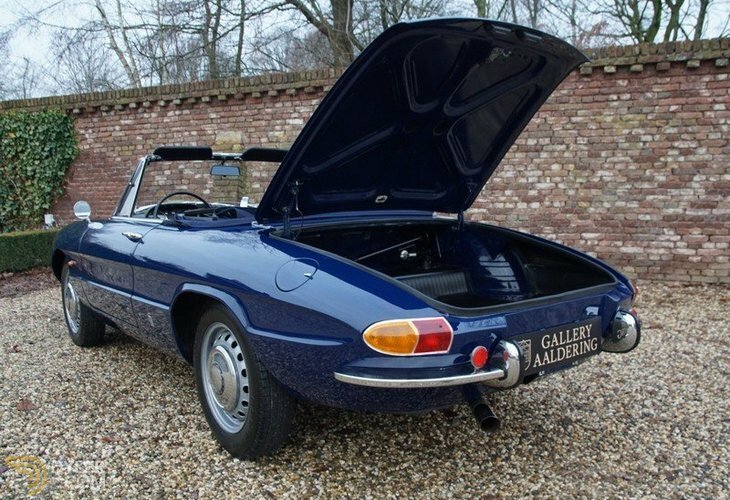 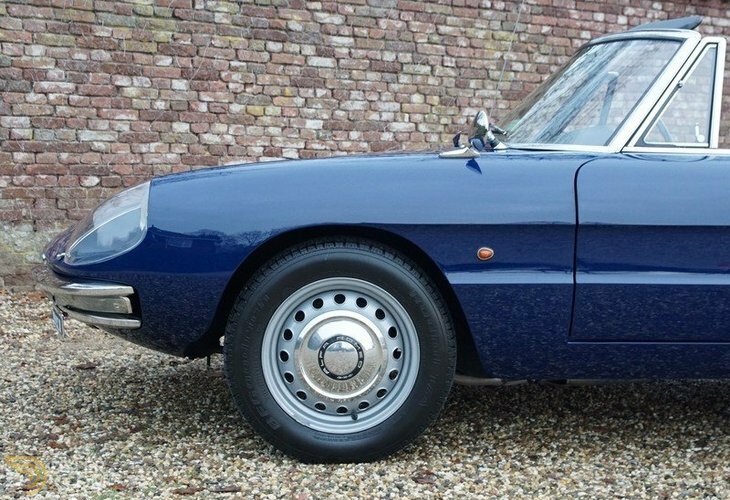 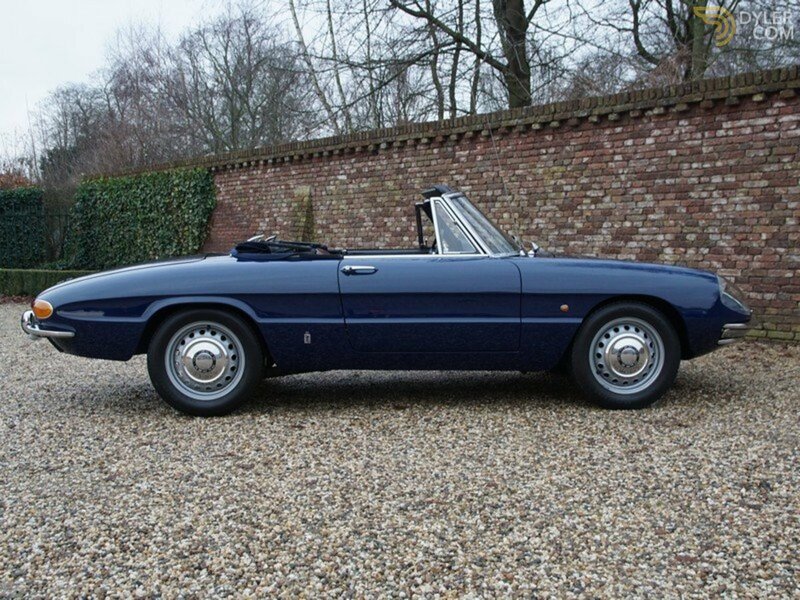 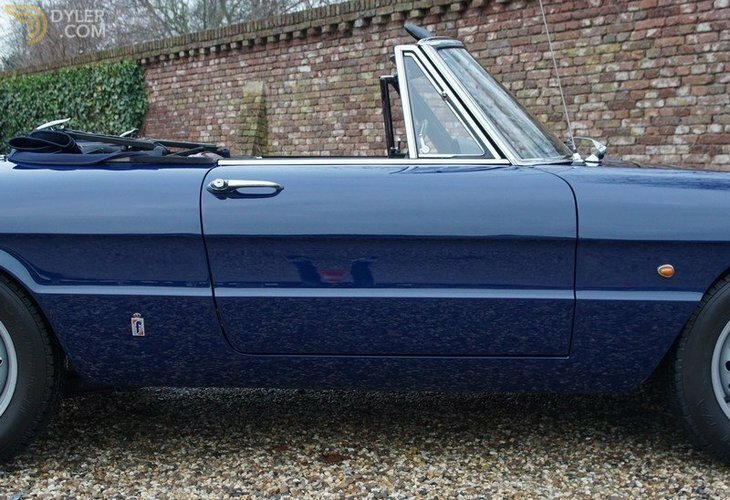 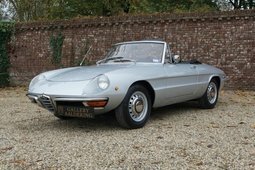 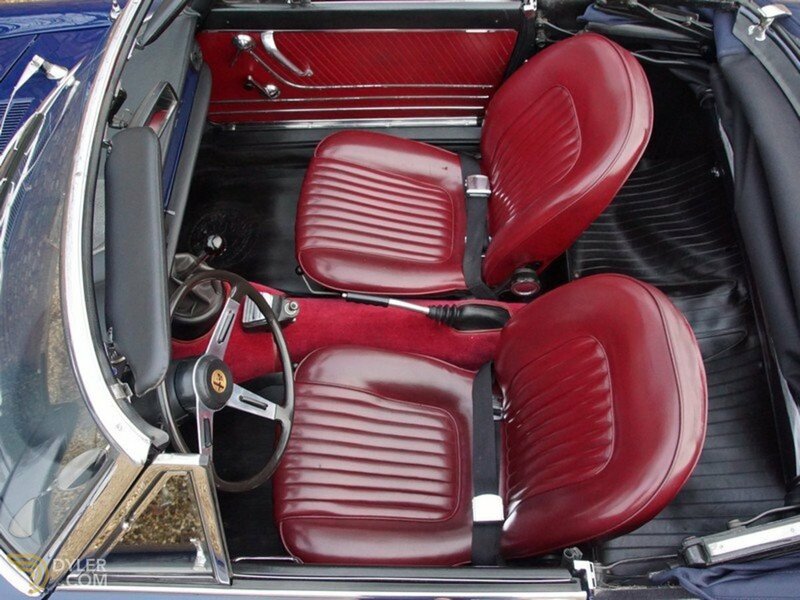 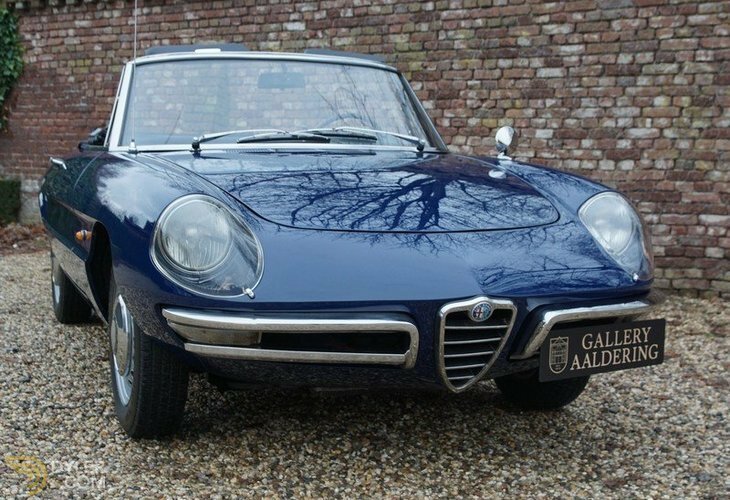 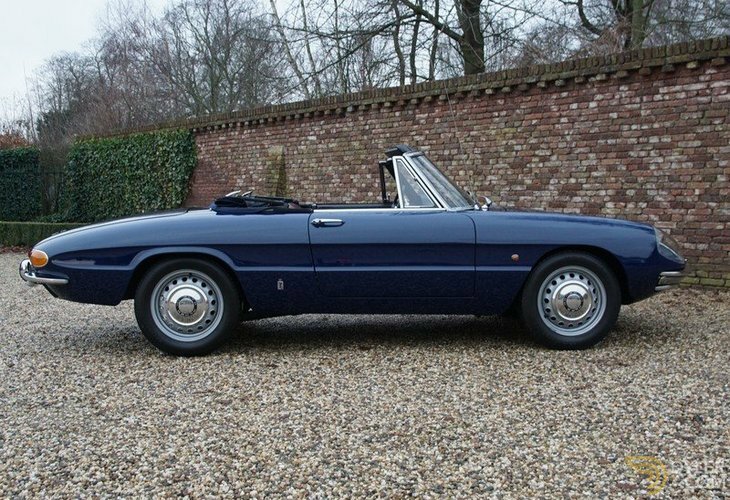 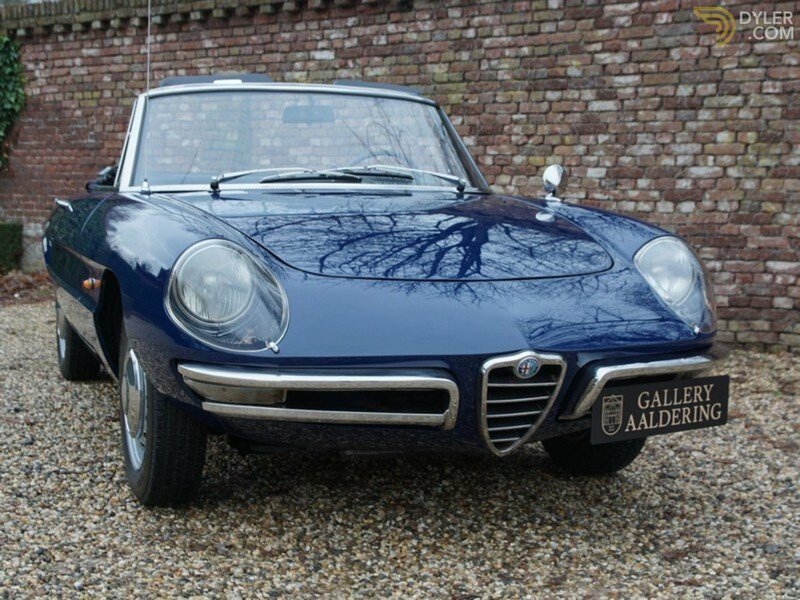 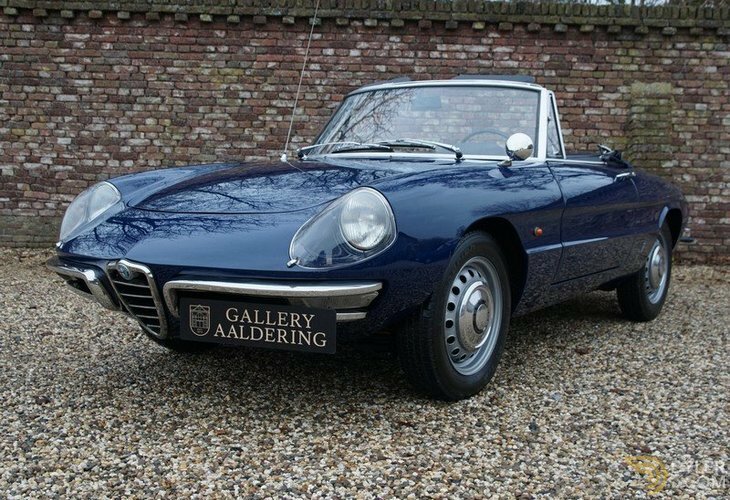 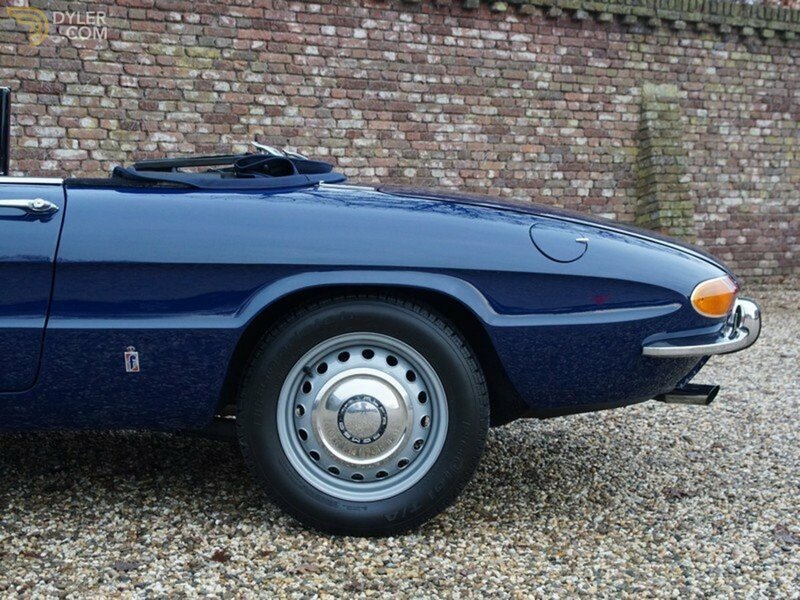 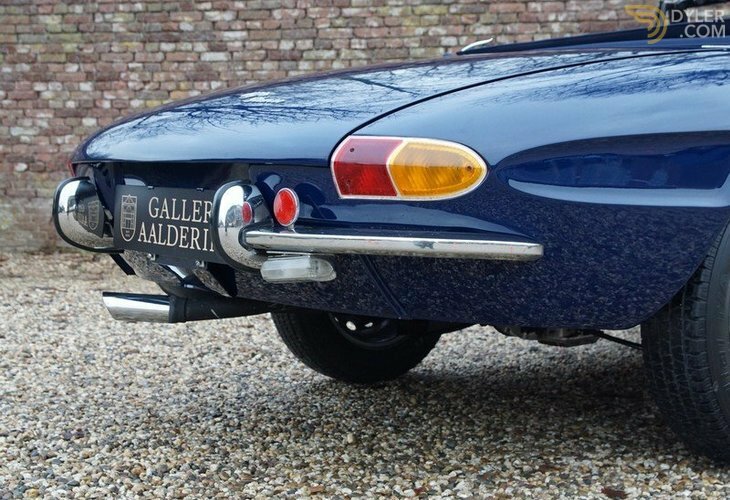 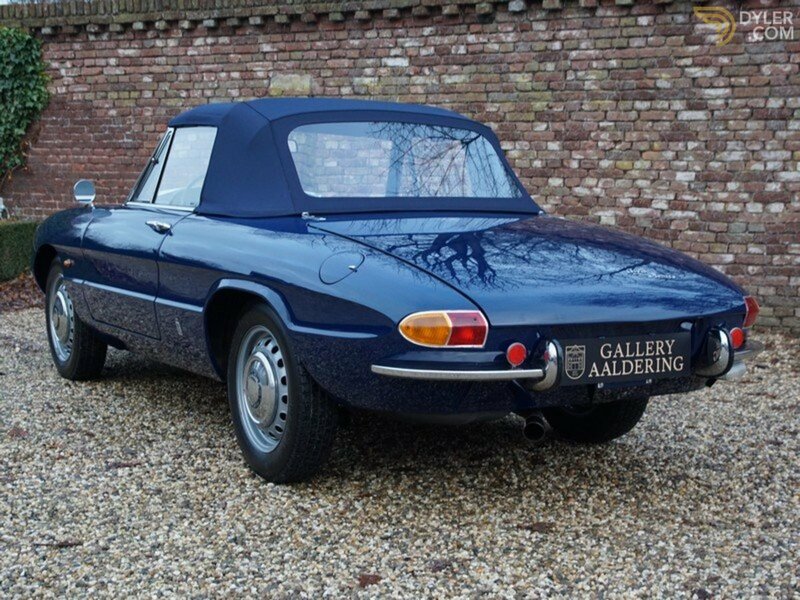 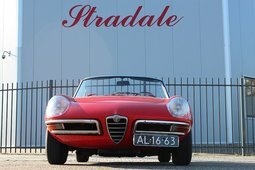 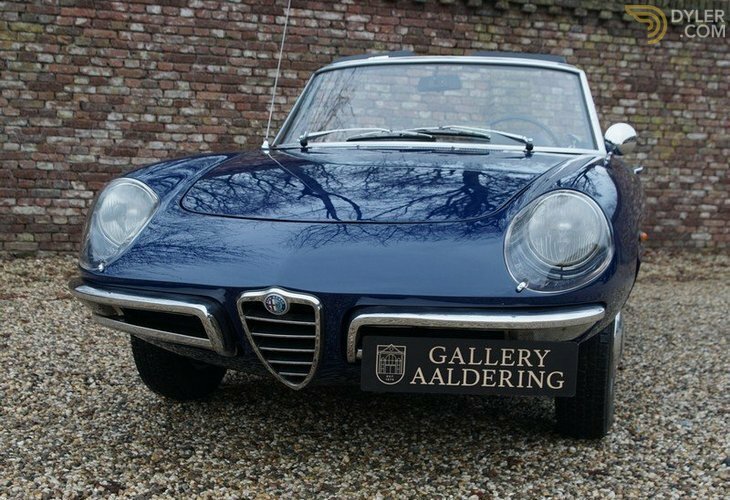 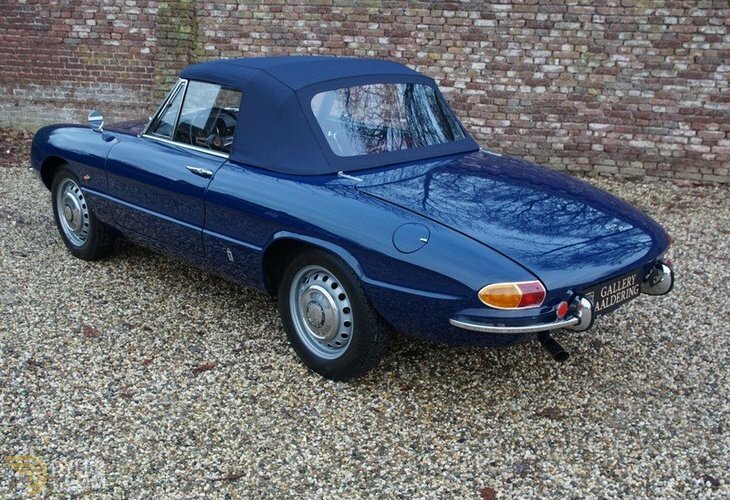 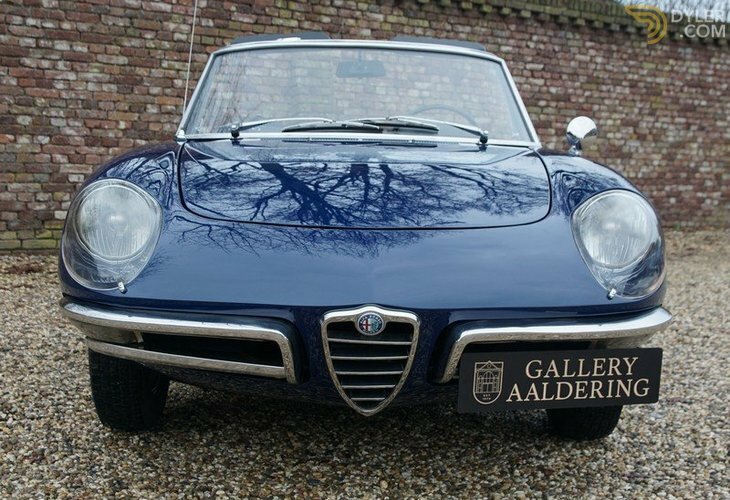 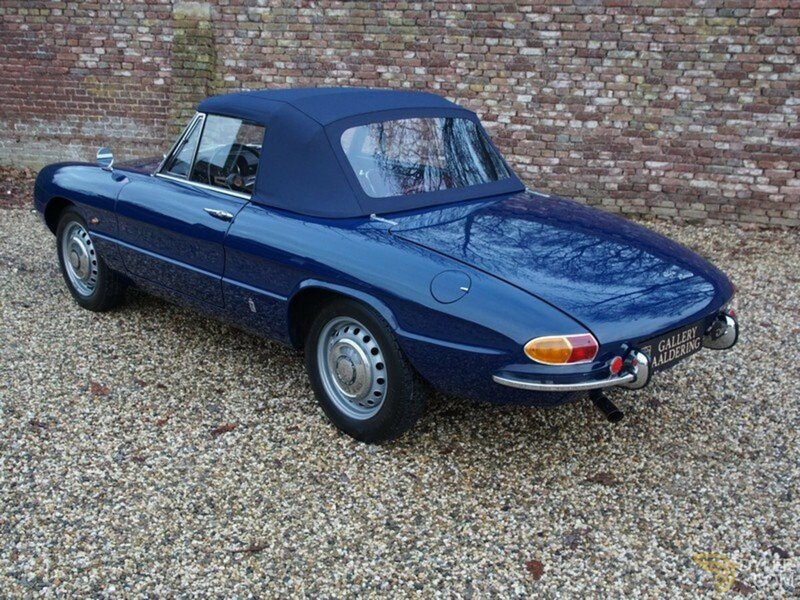 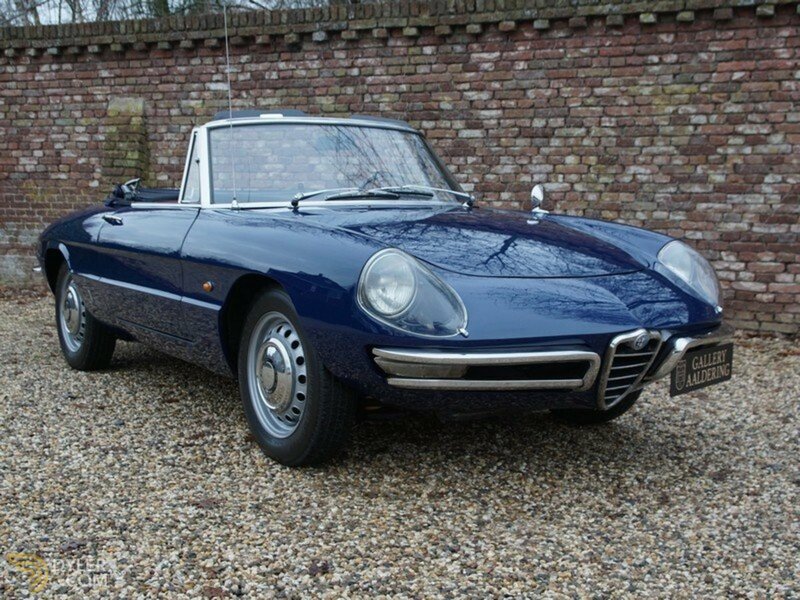 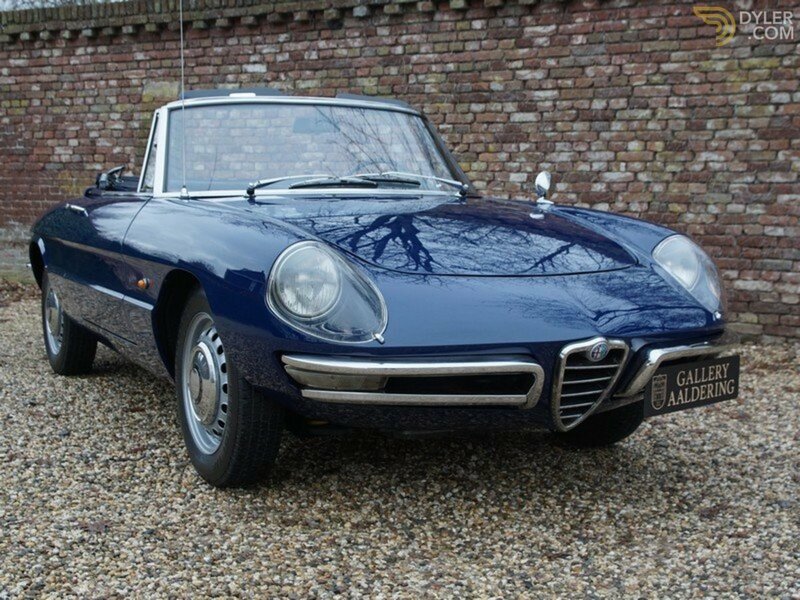 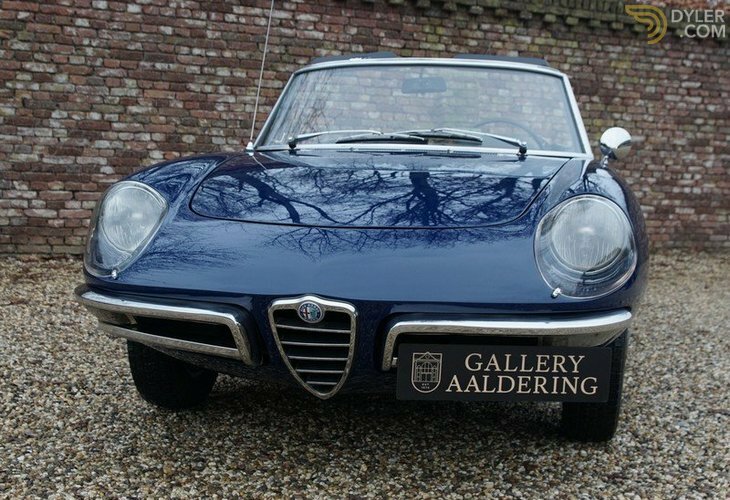 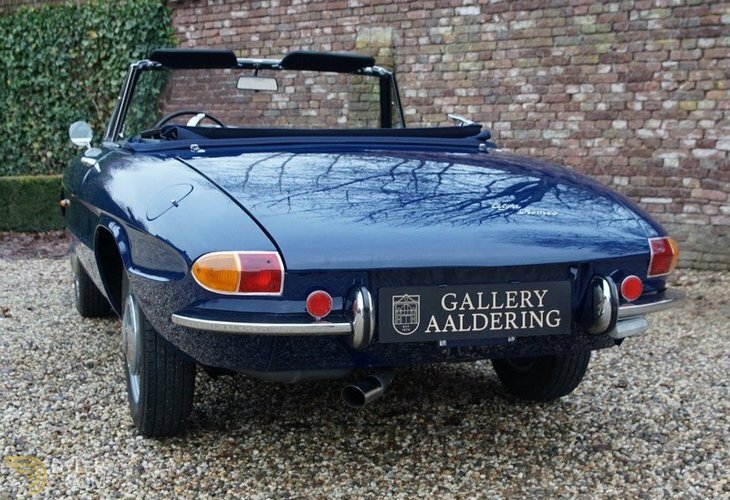 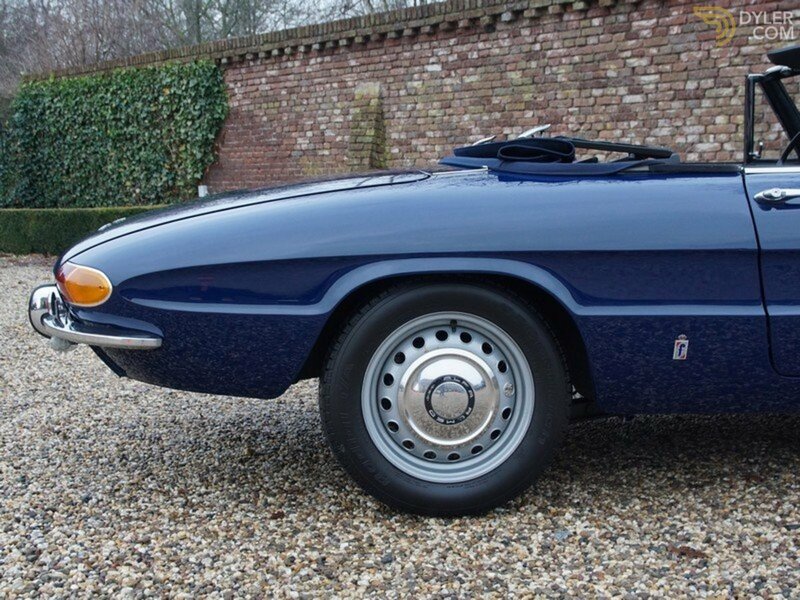 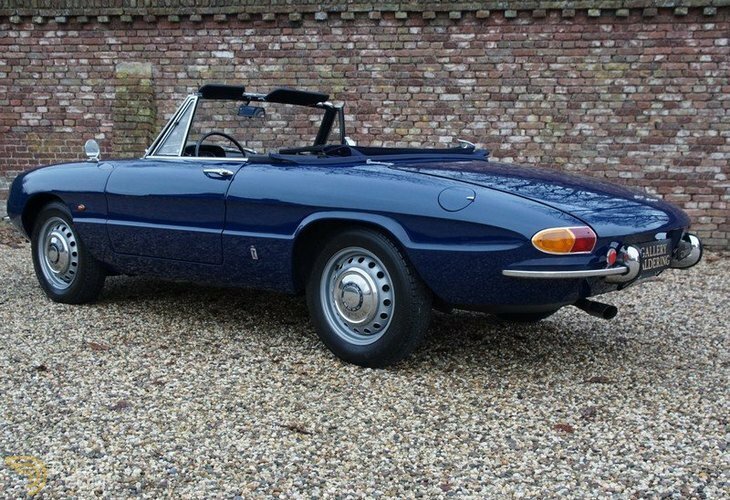 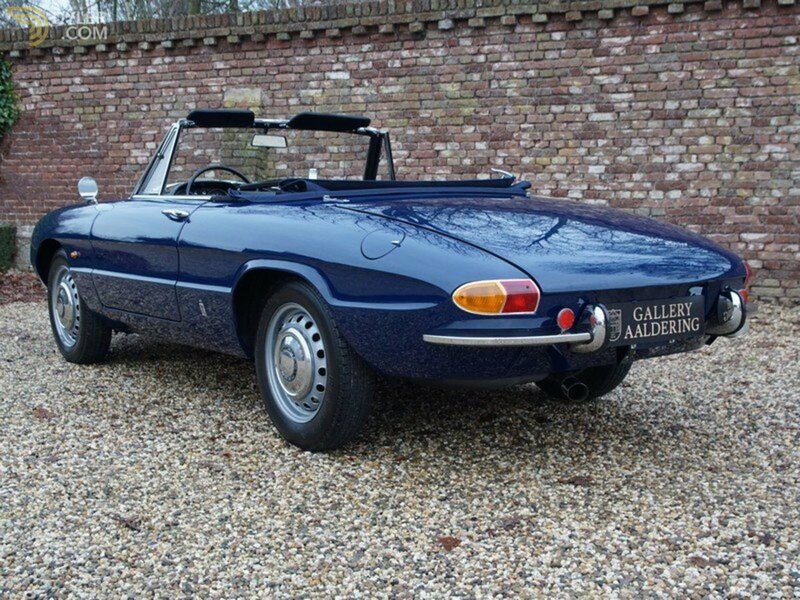 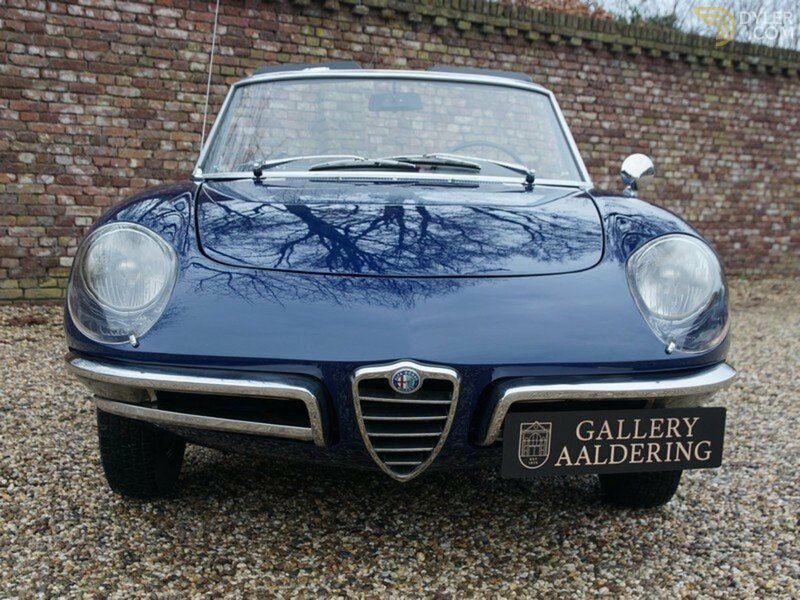 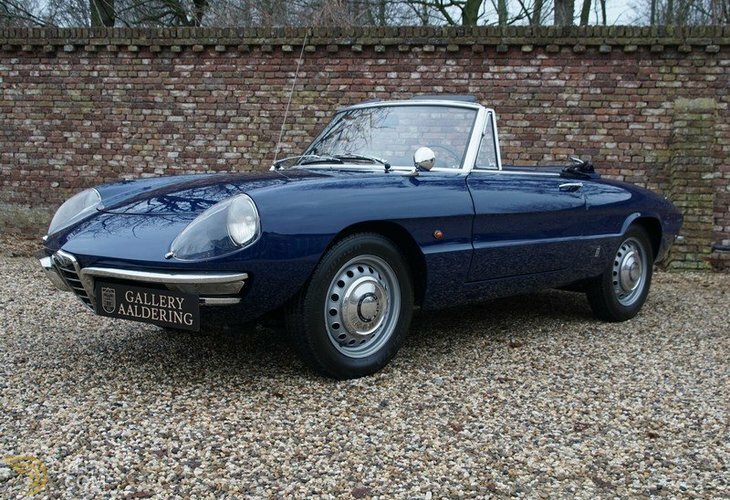 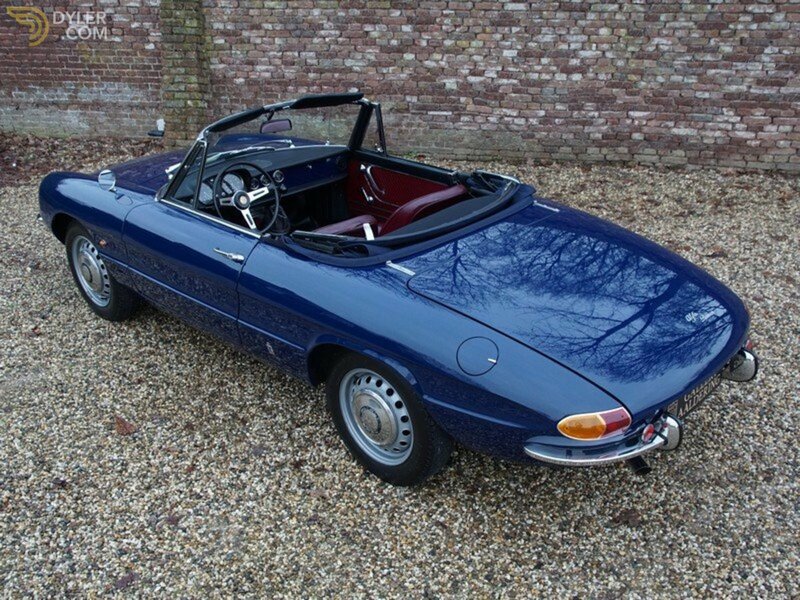 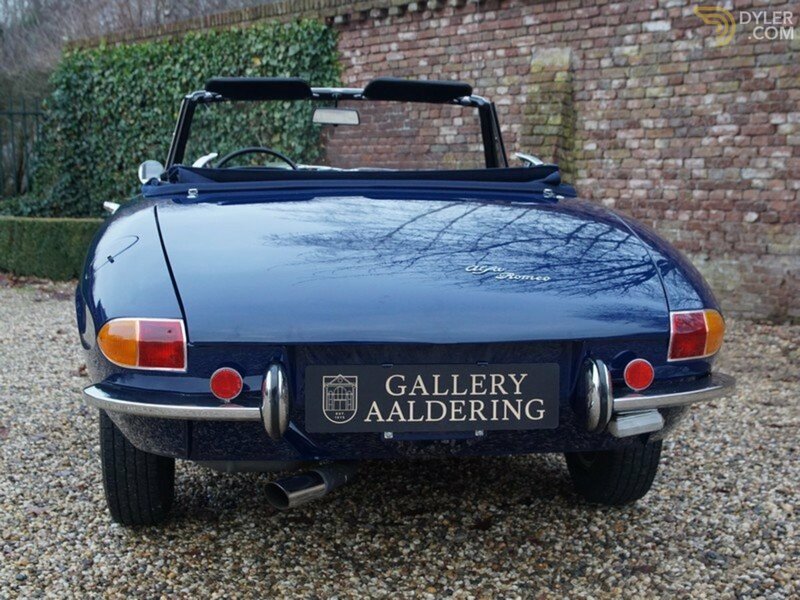 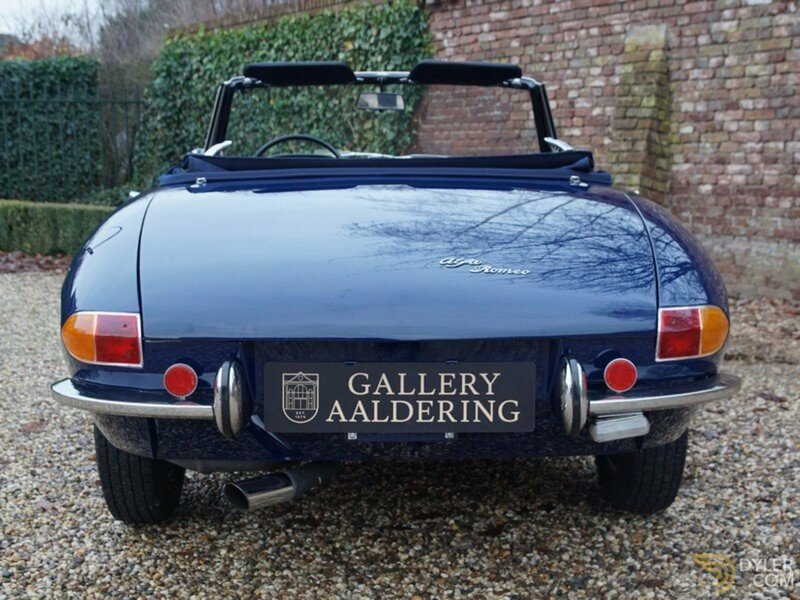 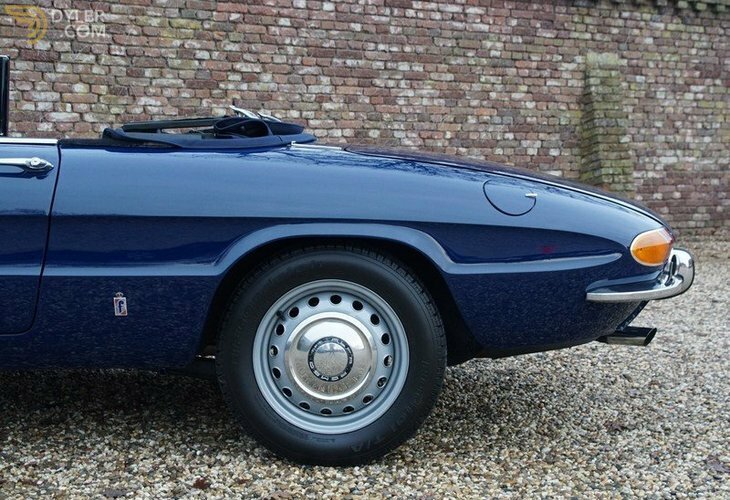 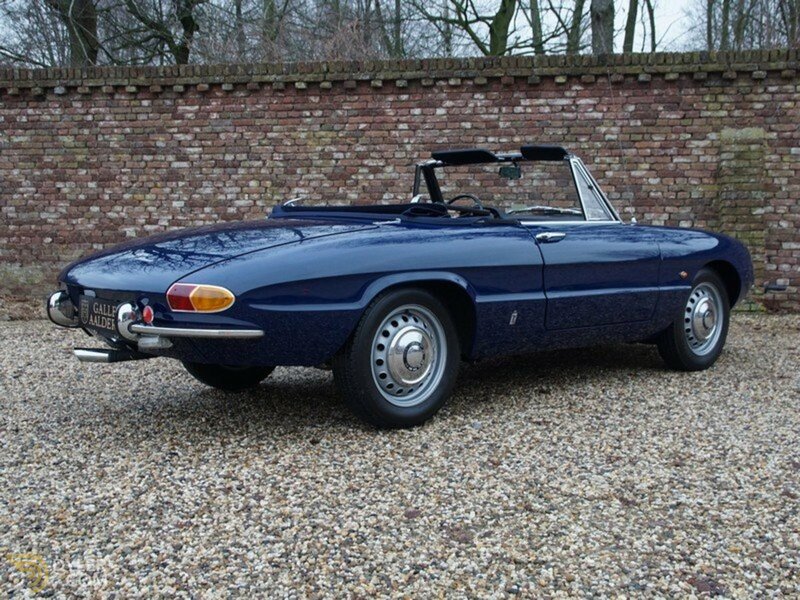 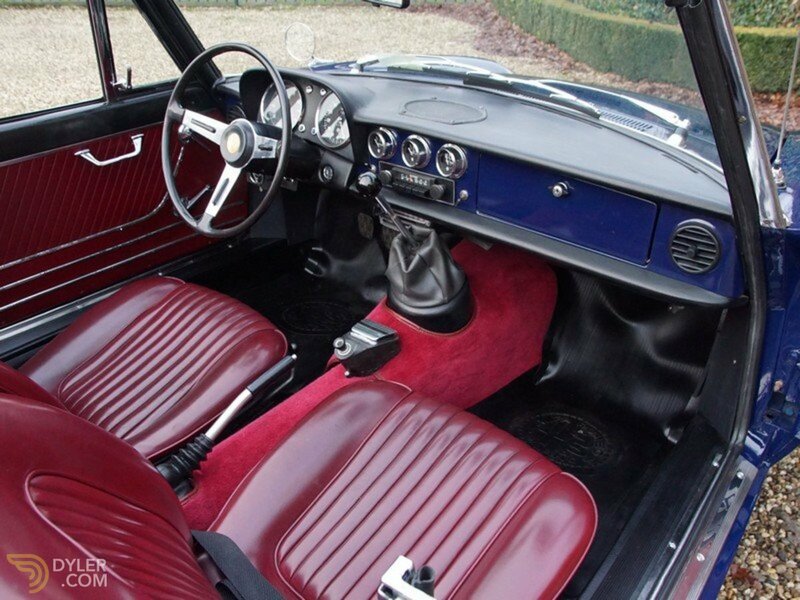 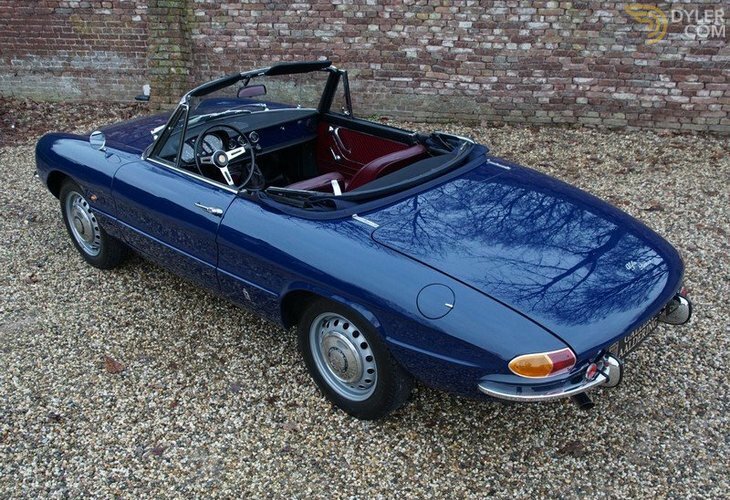 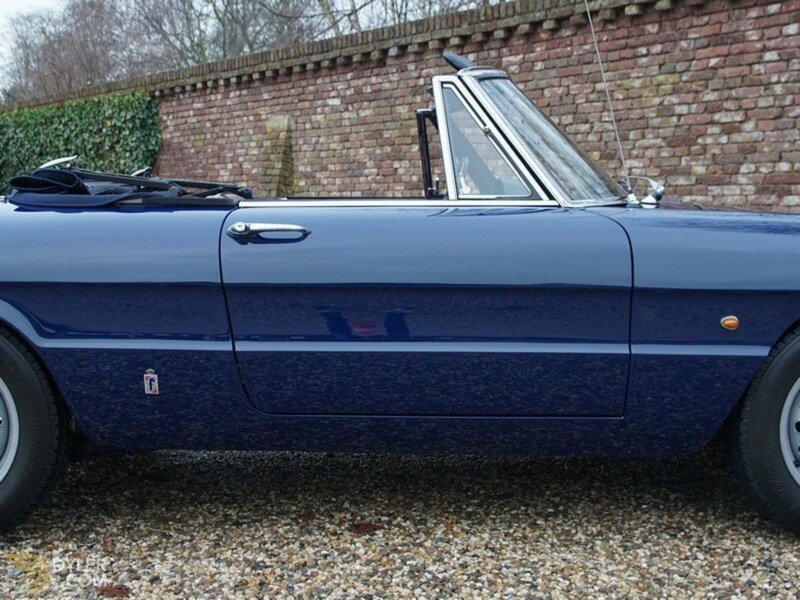 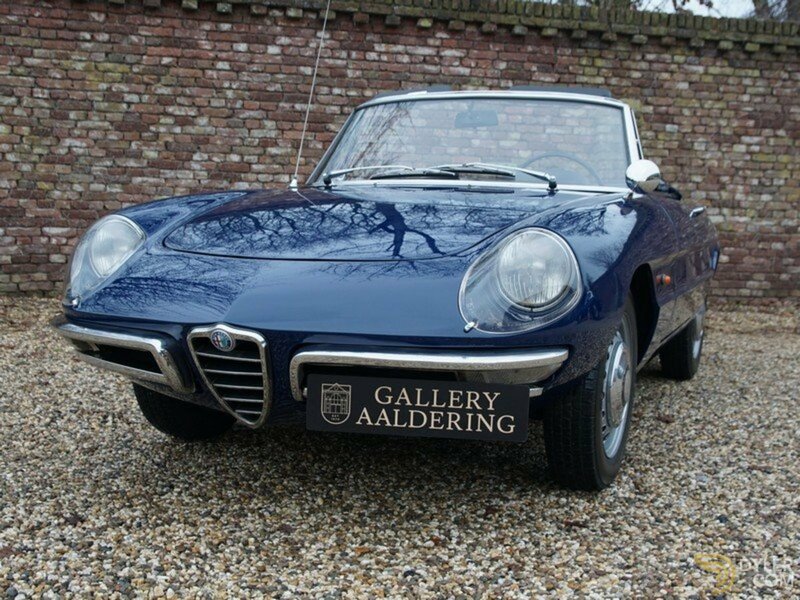 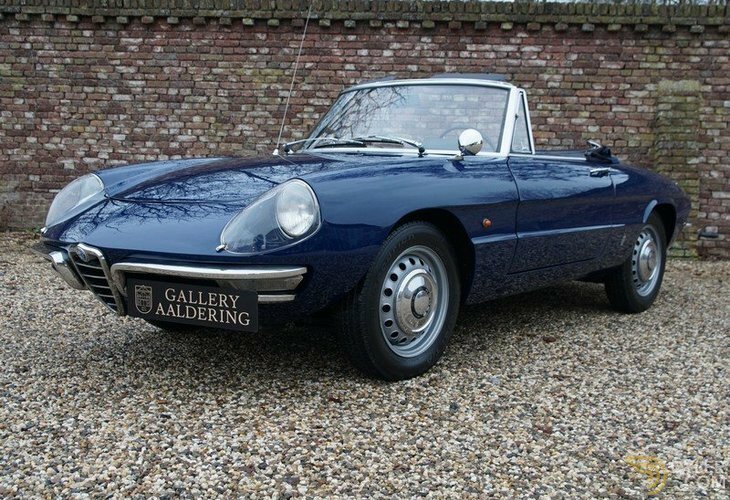 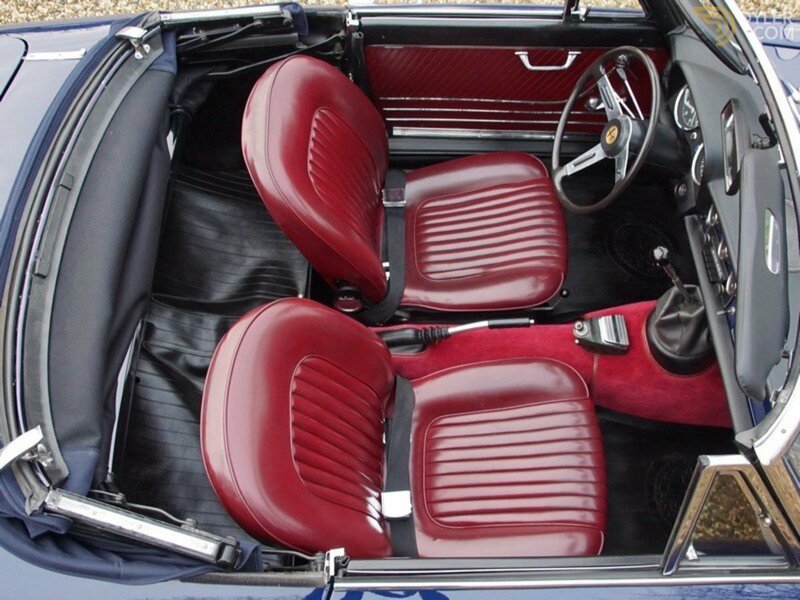 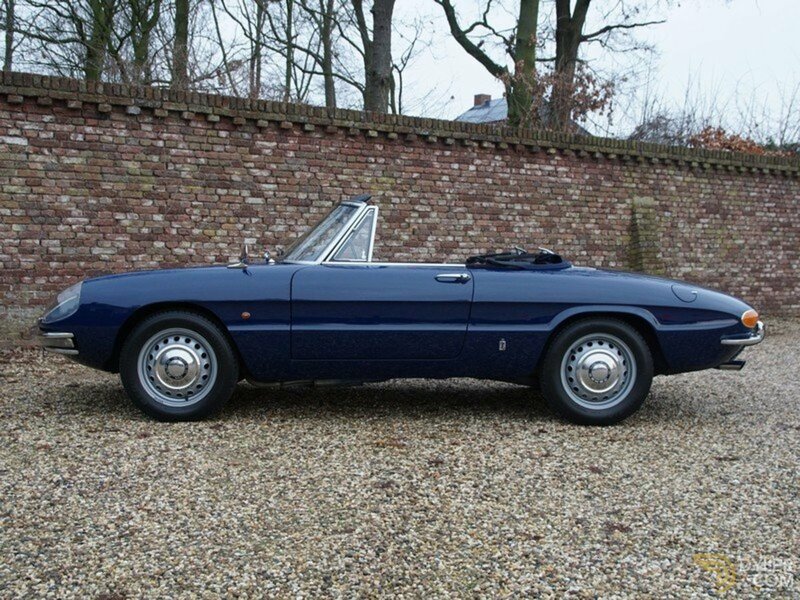 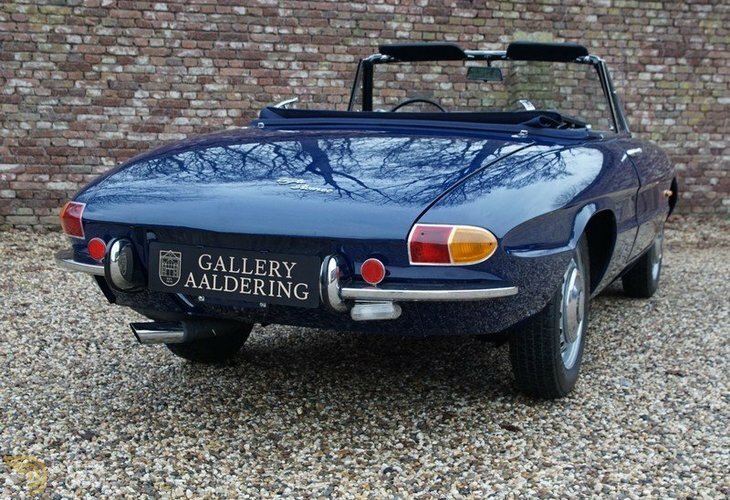 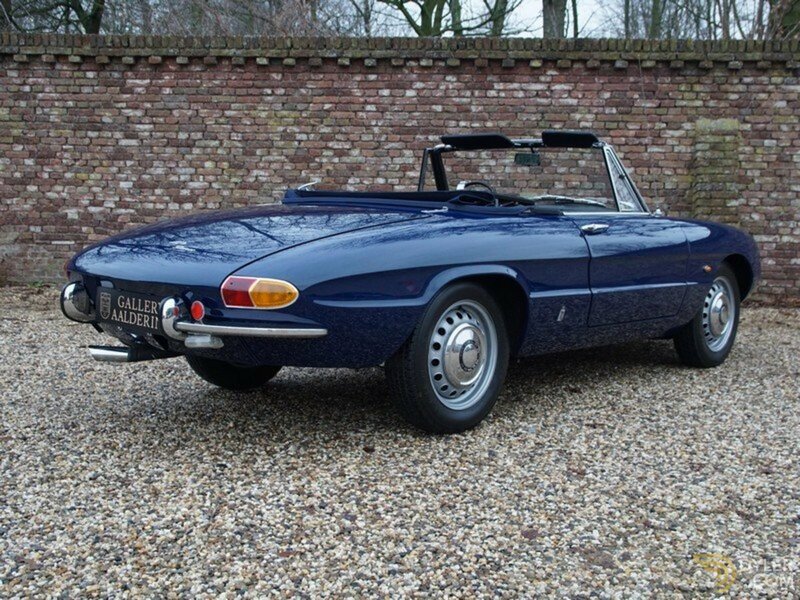 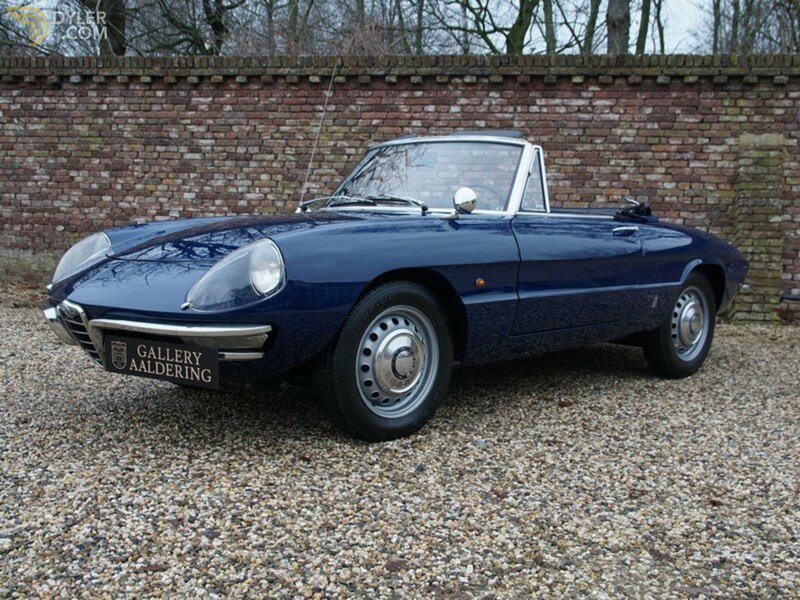 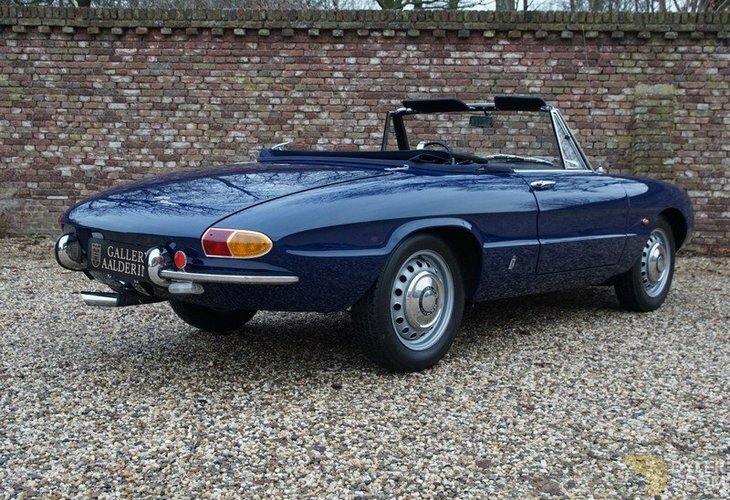 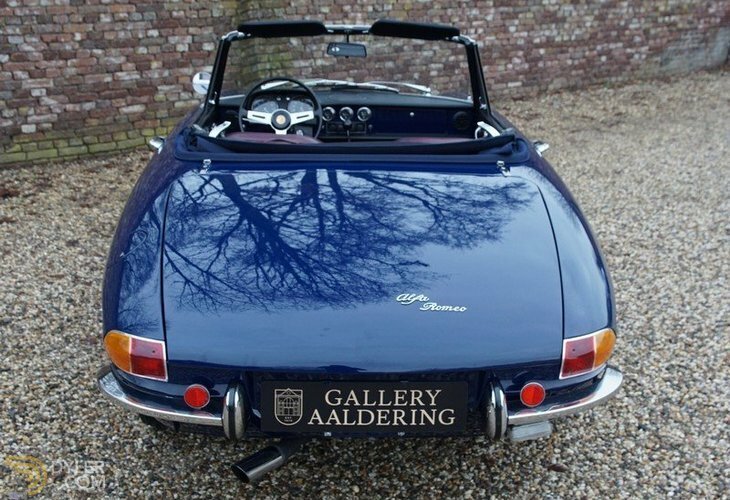 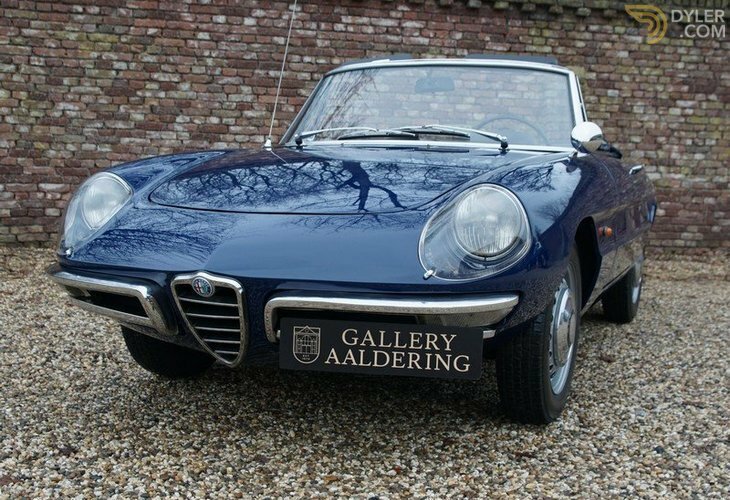 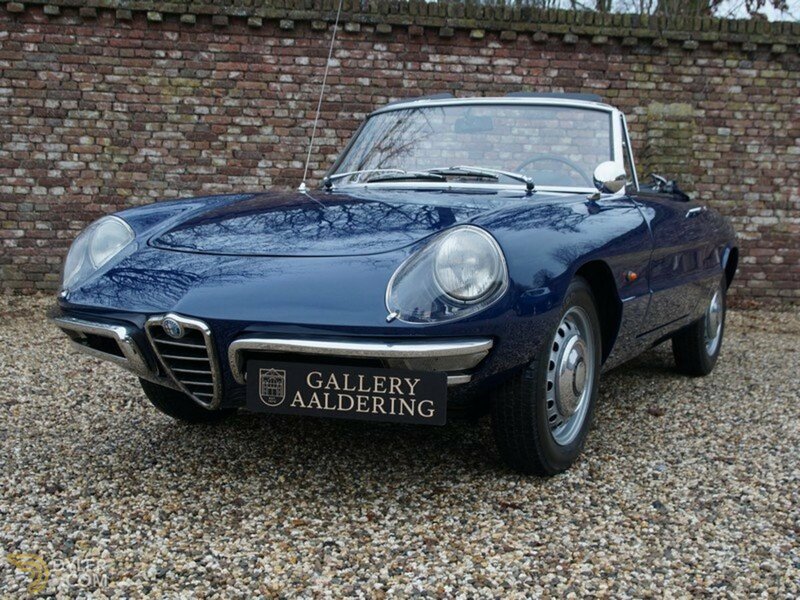 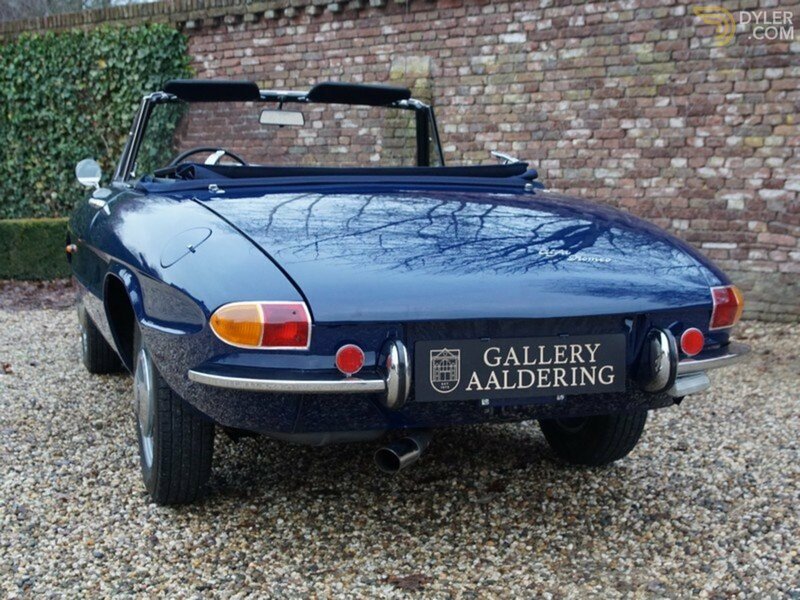 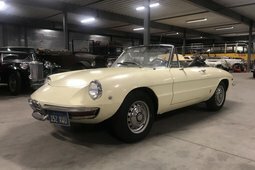 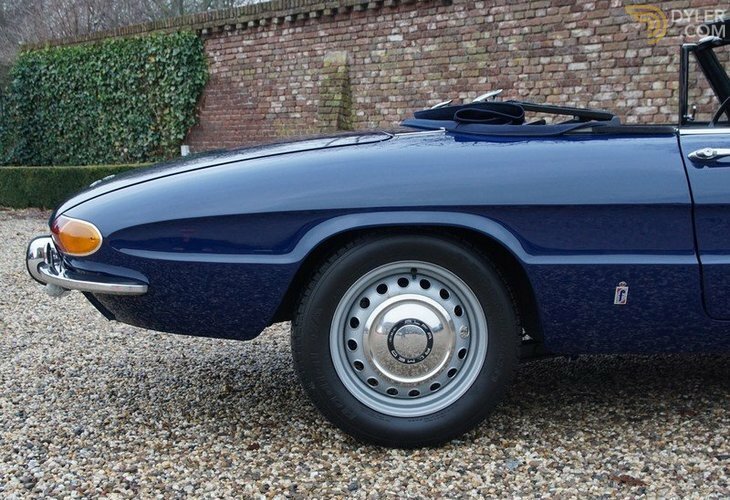 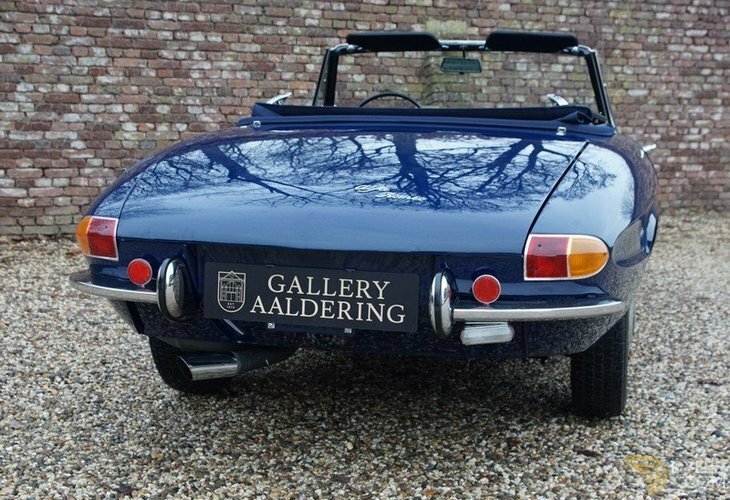 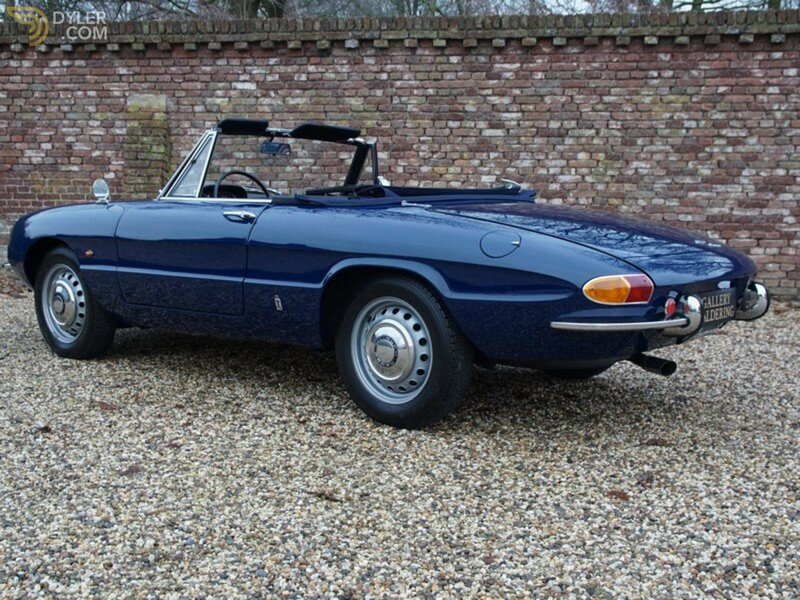 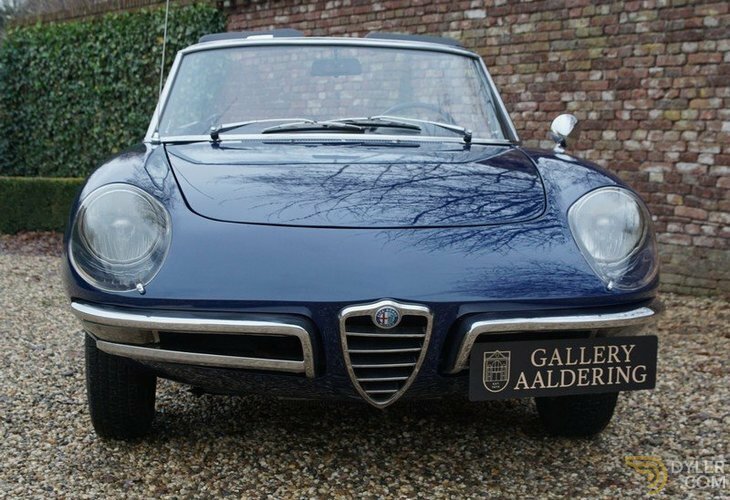 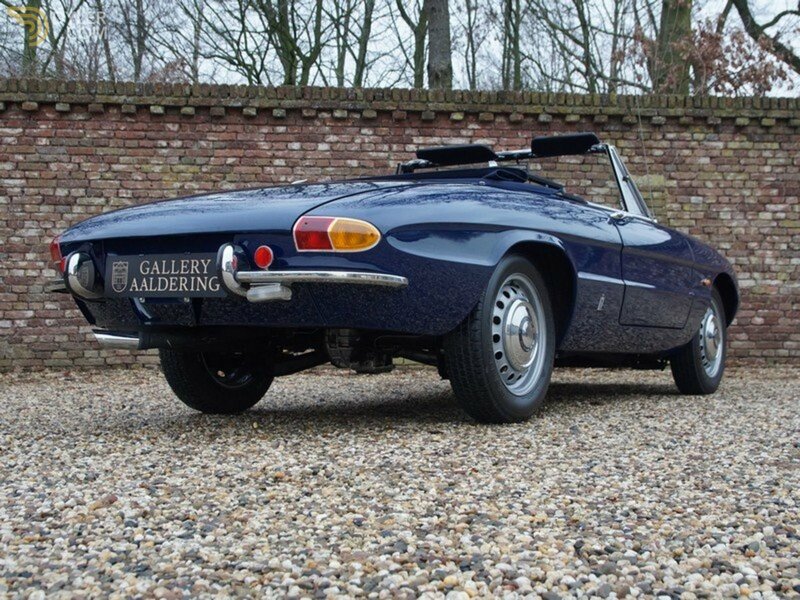 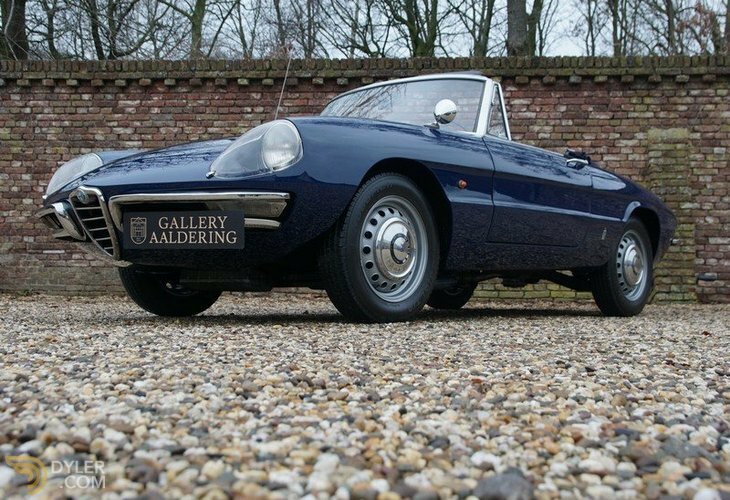 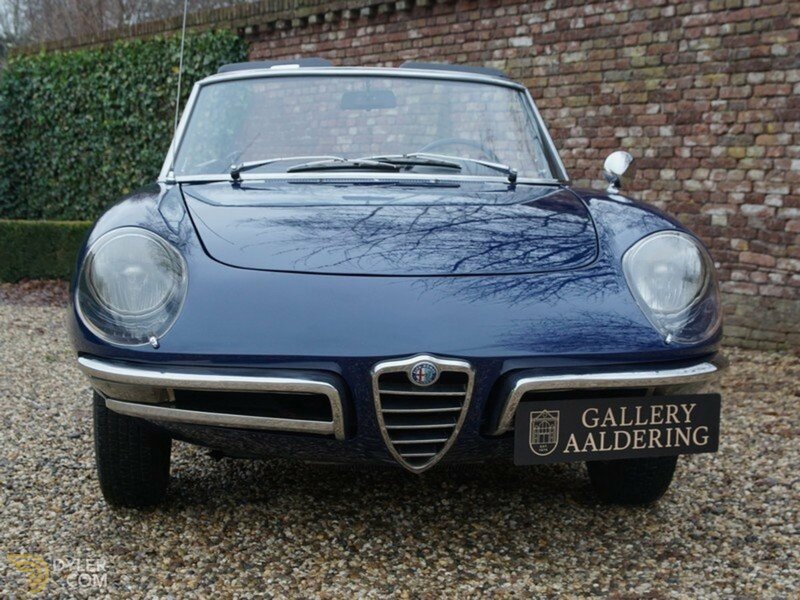 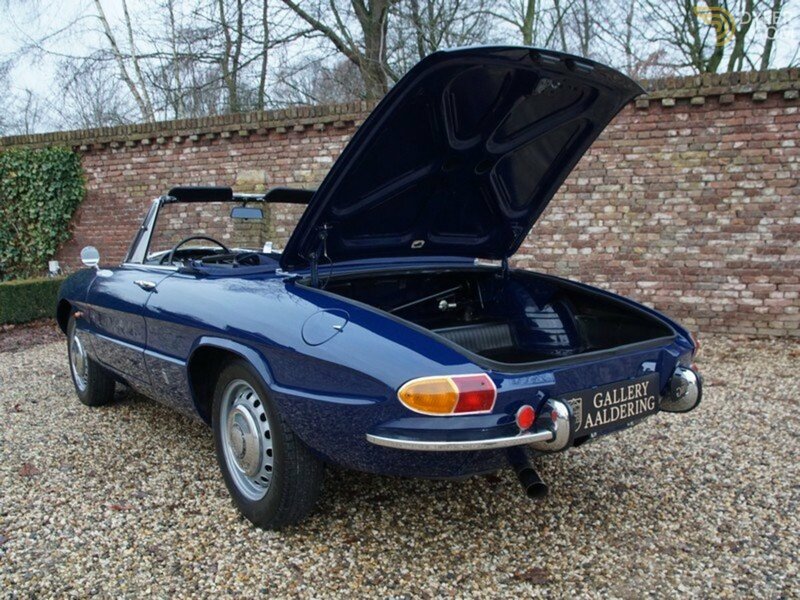 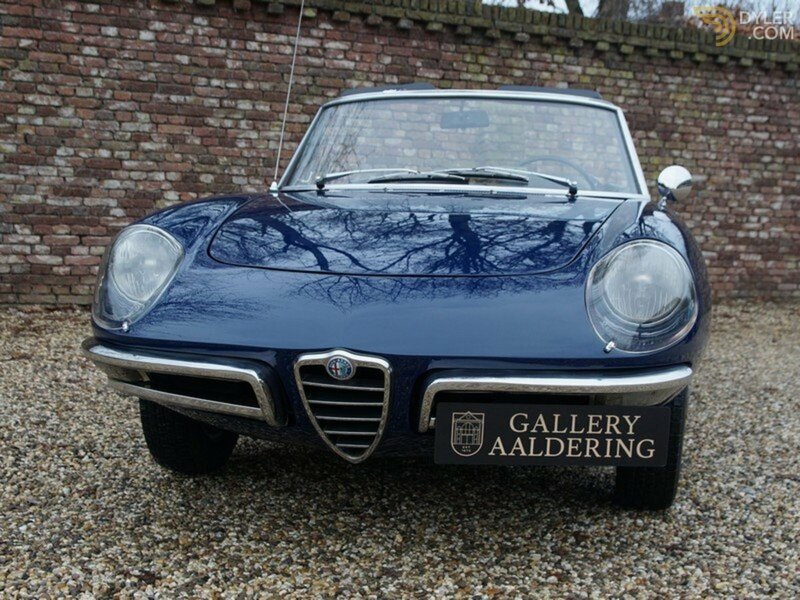 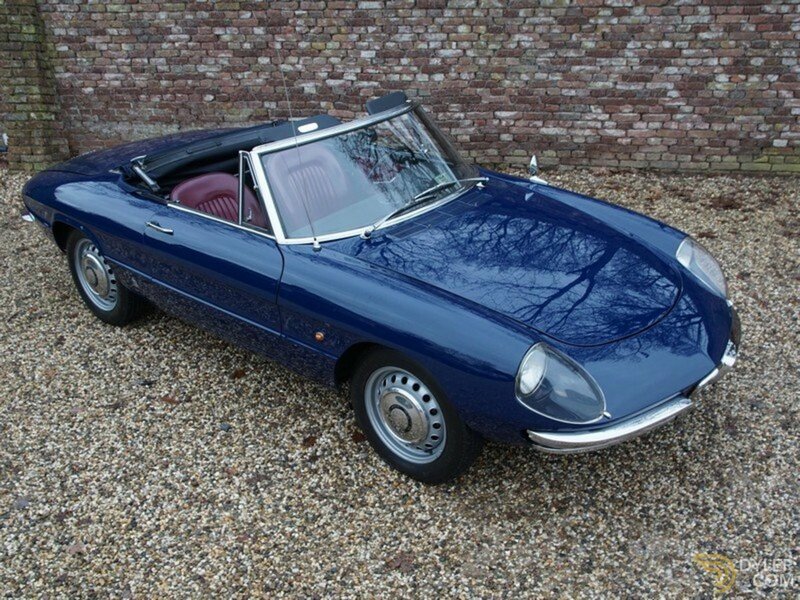 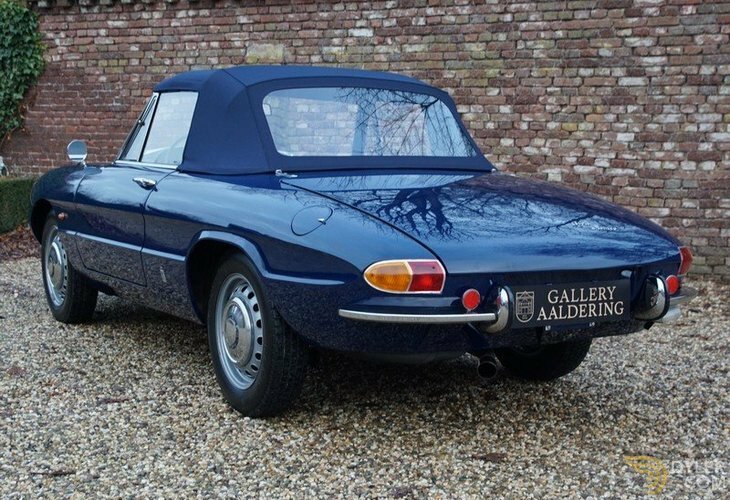 This superbly splendid Alfa Romeo 1600 Duetto Spider built in October 1966 and supplied to Alfa Romeo in Frankfurt, Germany on the 7th October 1966. 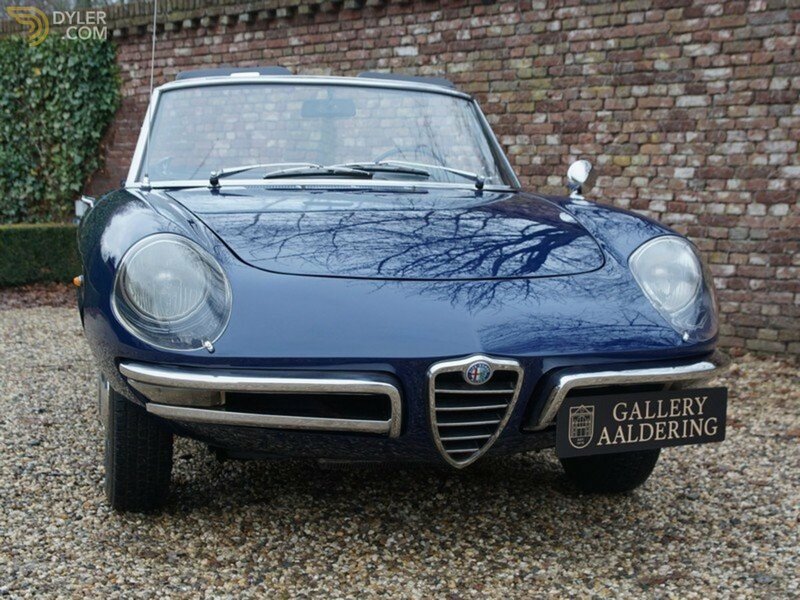 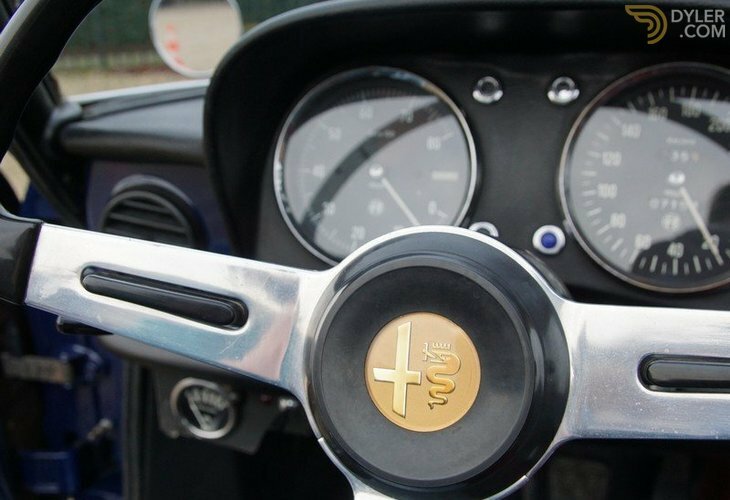 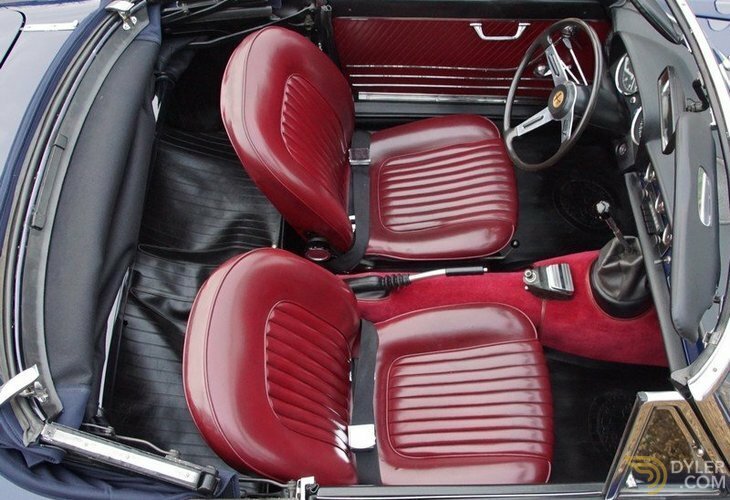 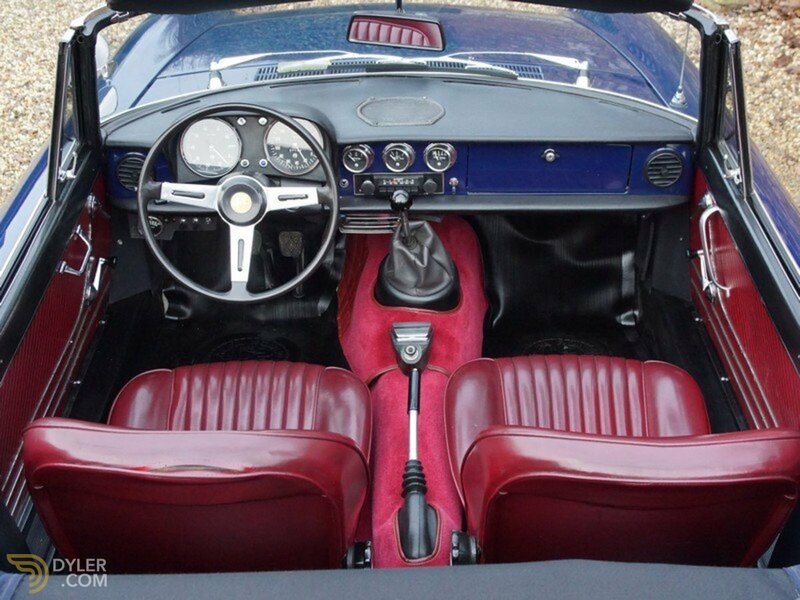 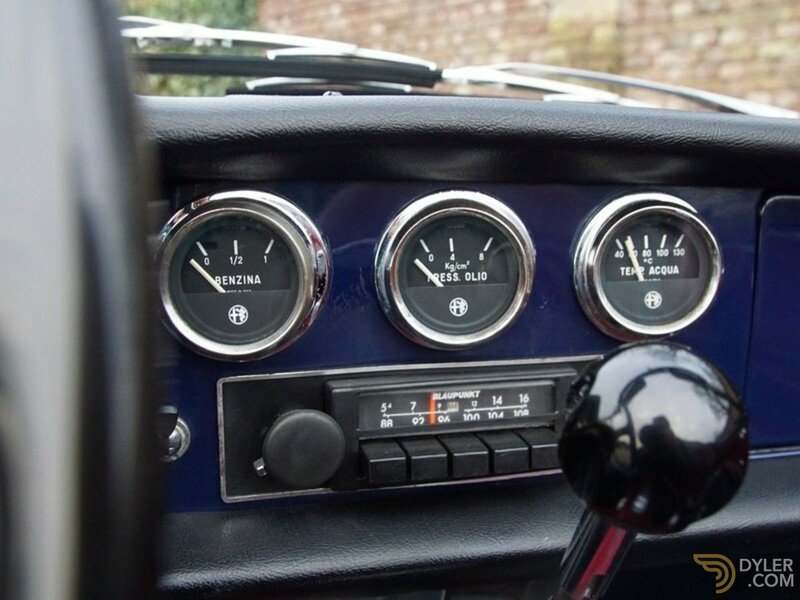 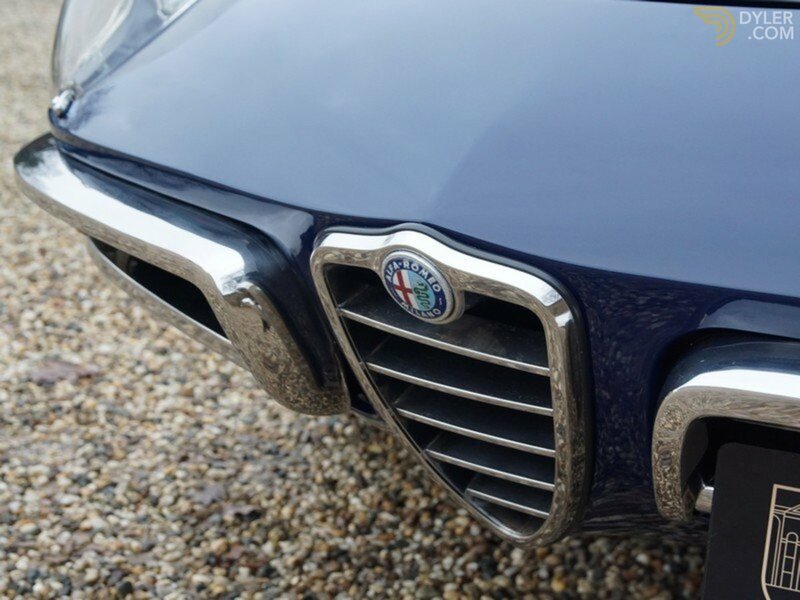 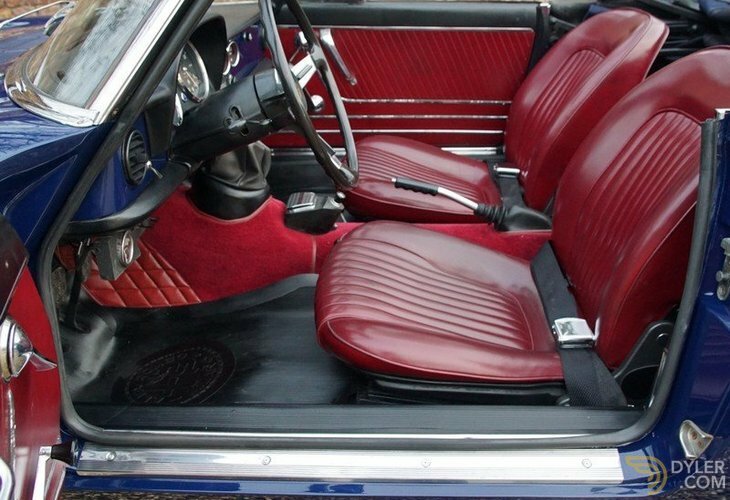 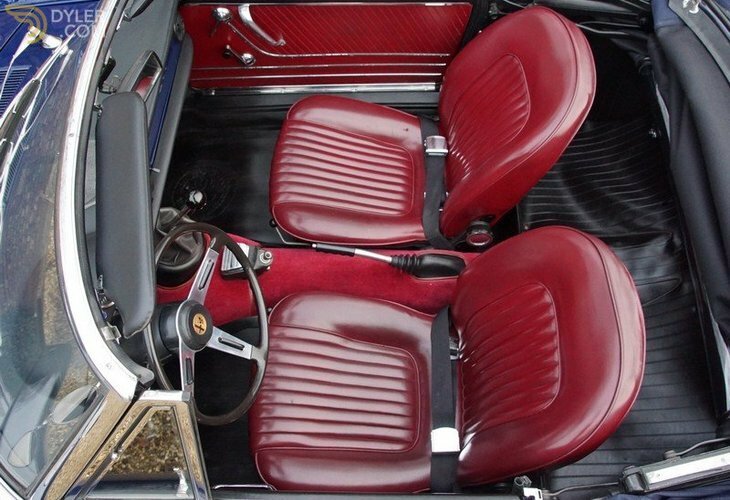 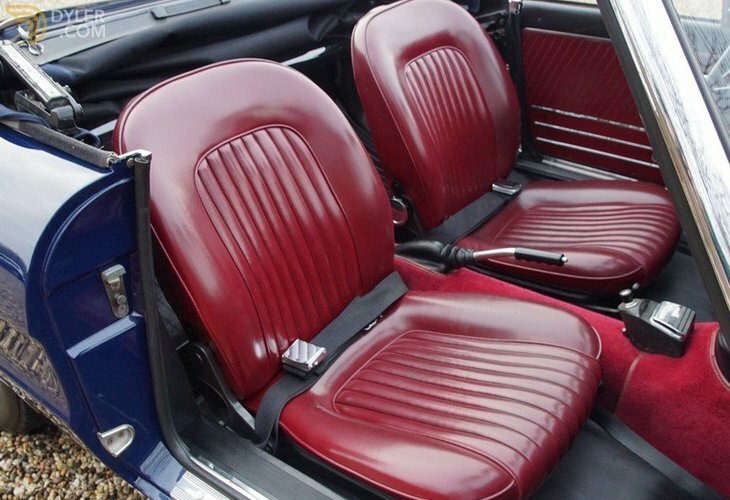 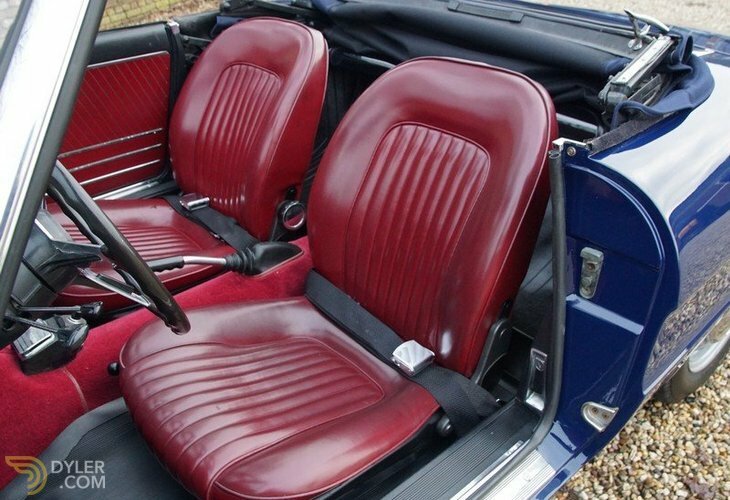 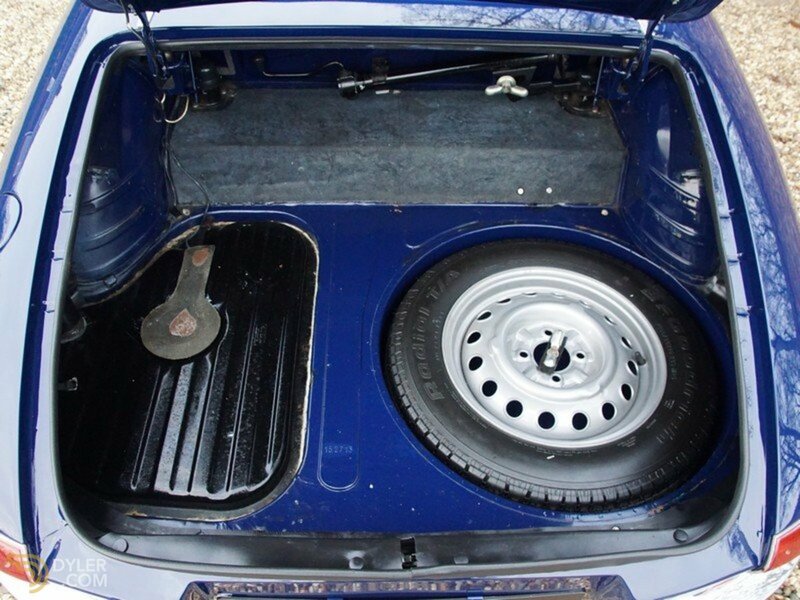 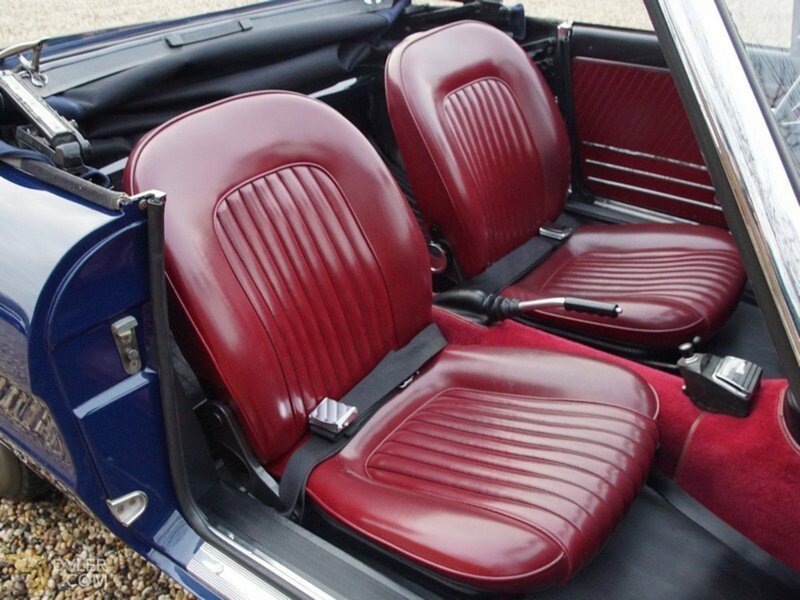 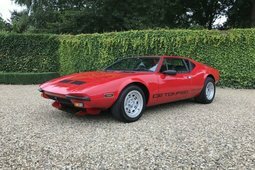 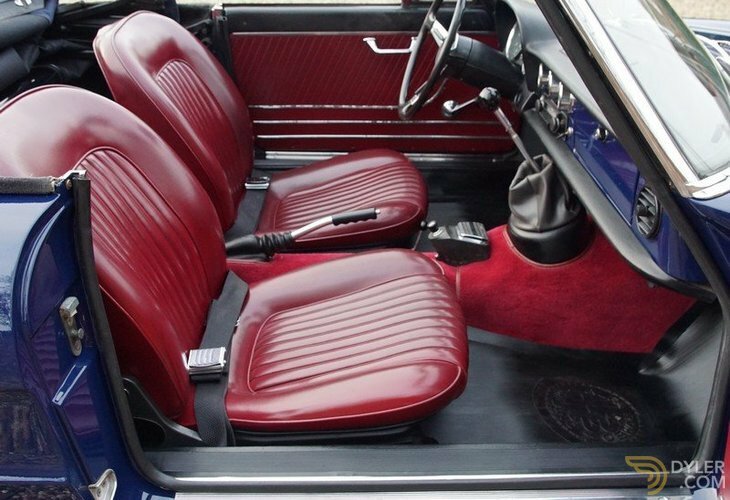 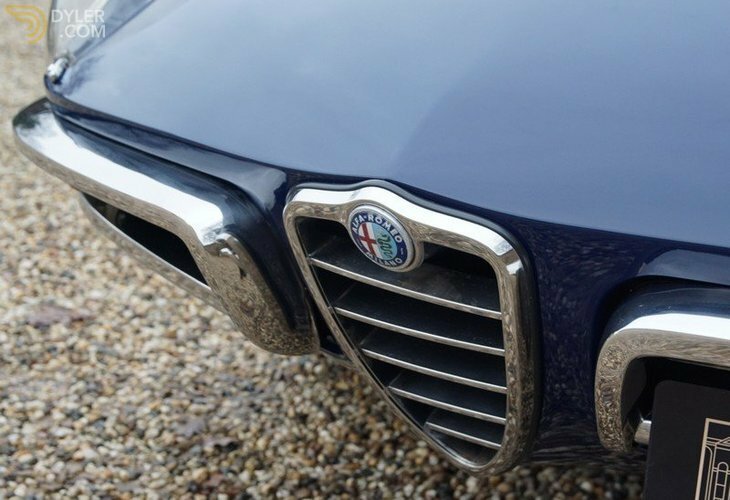 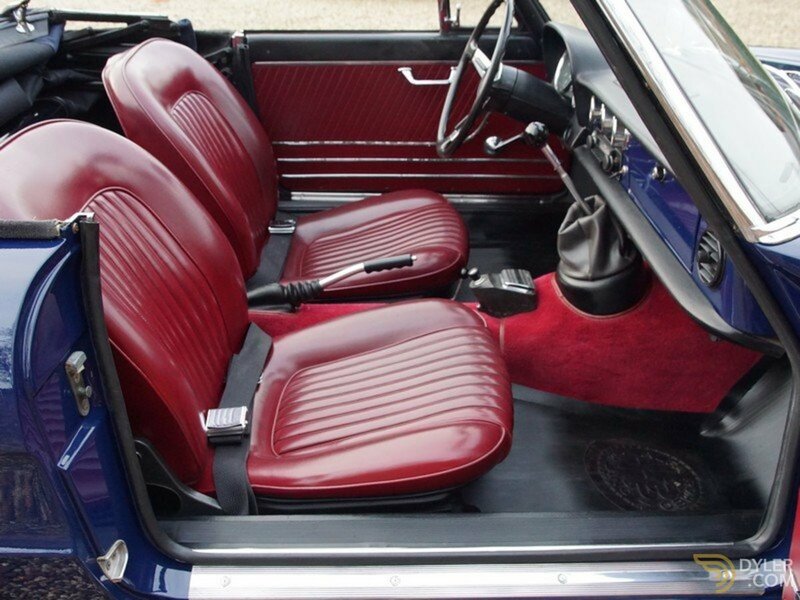 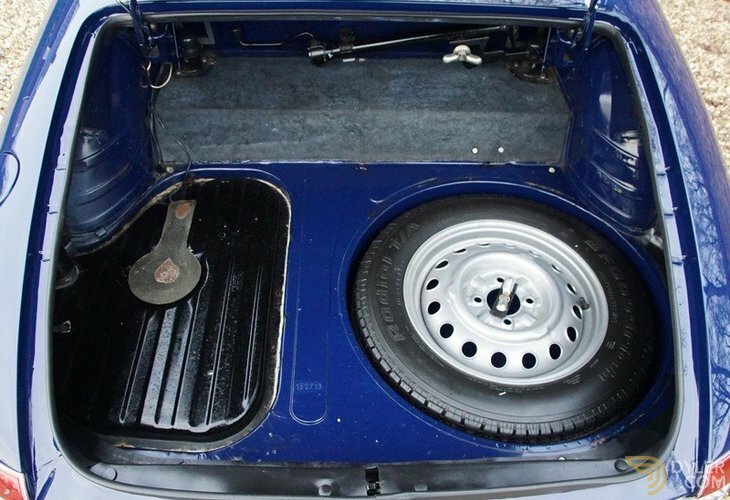 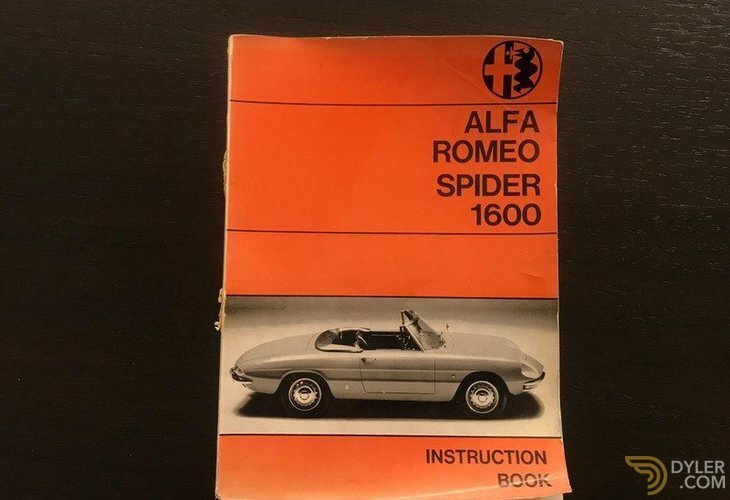 It left for the States in 1970 and found its way to an Alfa enthusiast in Cleveland, Ohio in 1971. 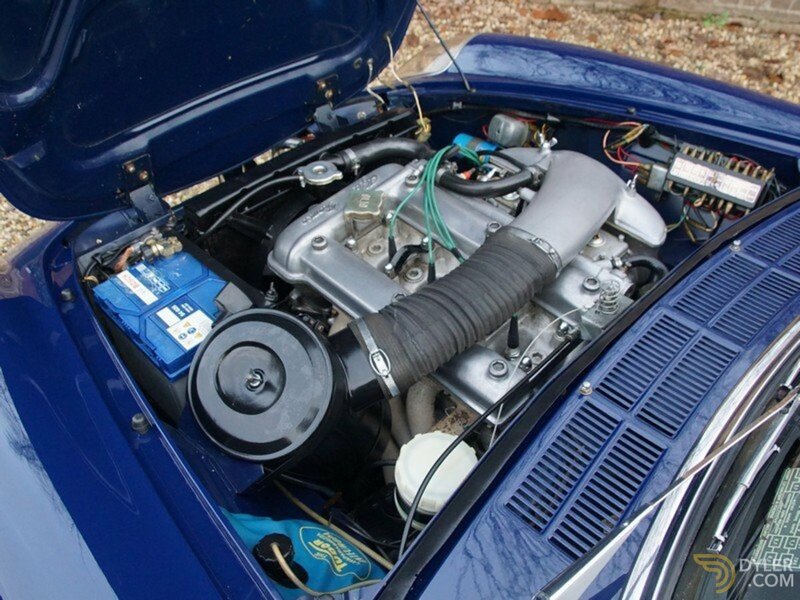 This enthusiast kept the car for an amazing 37 years! 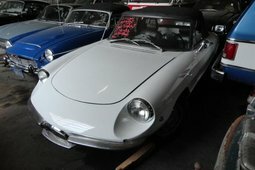 The last 10 years the car has stood still in storage. 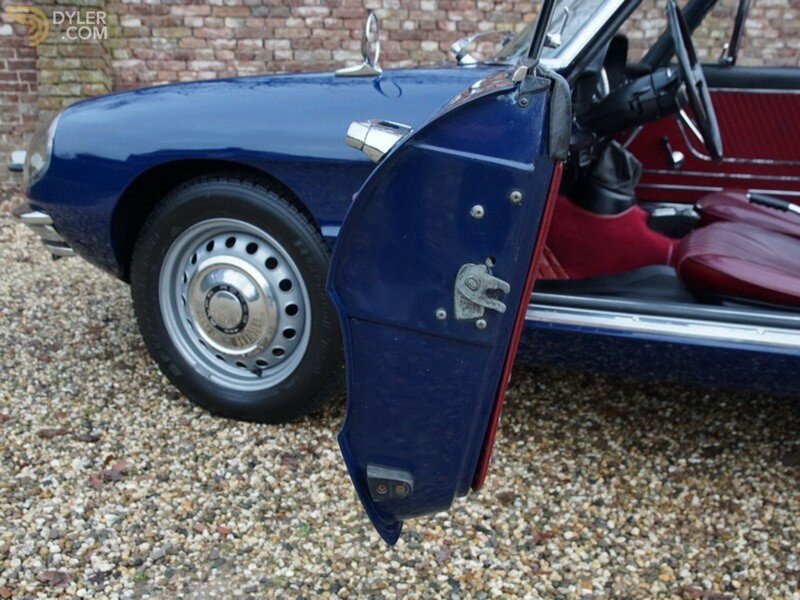 Its last owner bought the car in 2008 and set to work over the next 8 years in bringing this car into a not expense spared top quality condition. 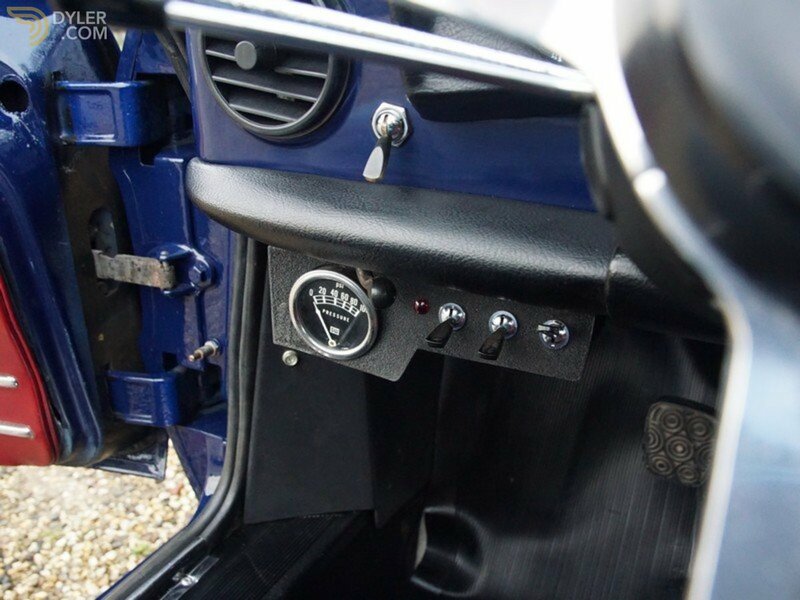 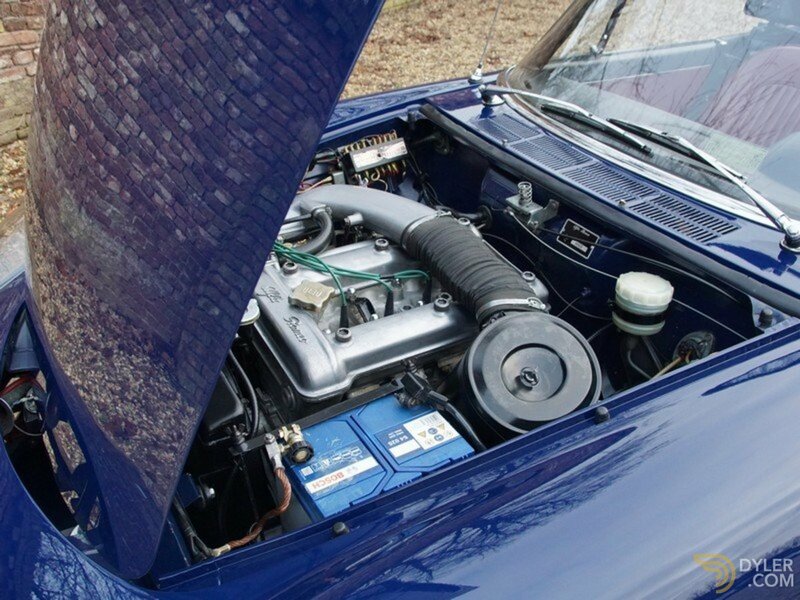 The Webers have been fully revised, worn parts replaced and a new hood was fitted amongst many other items attended to. 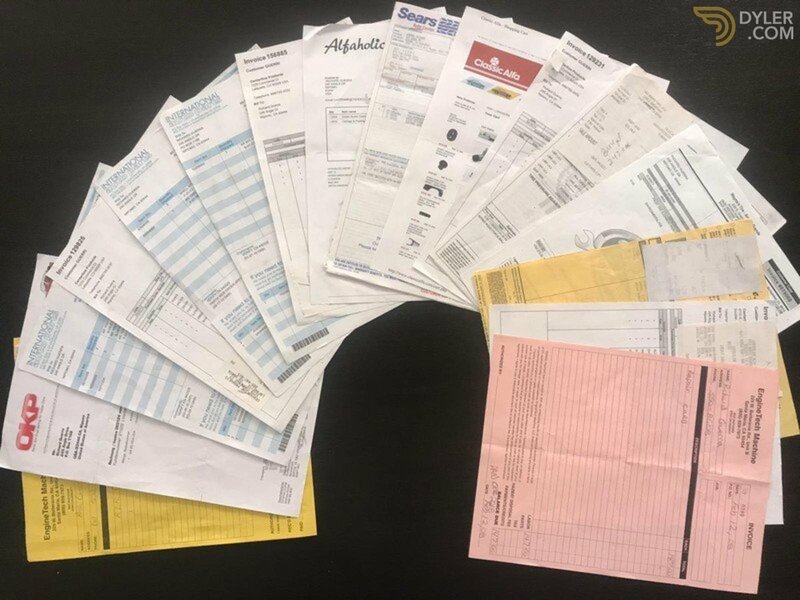 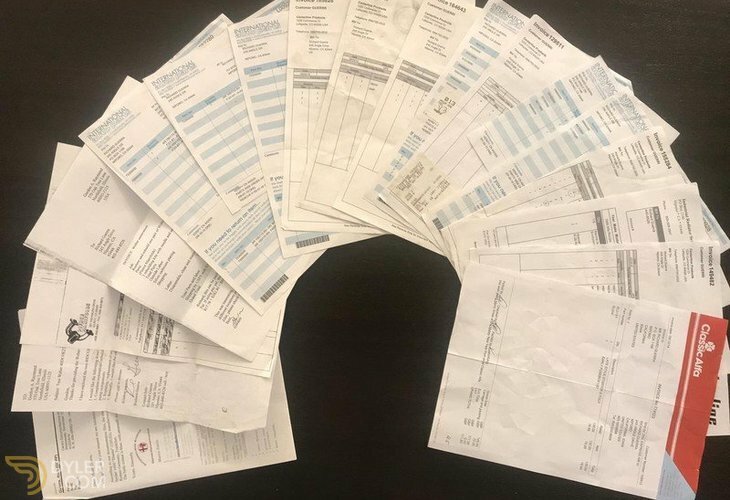 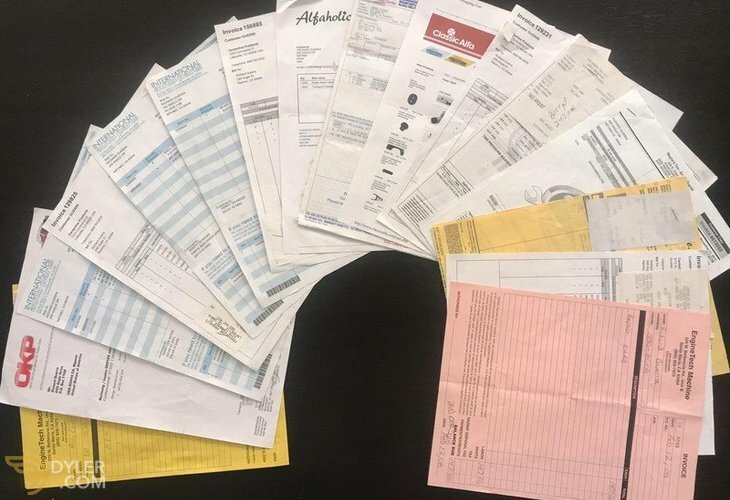 The many invoices present support the work carried out. 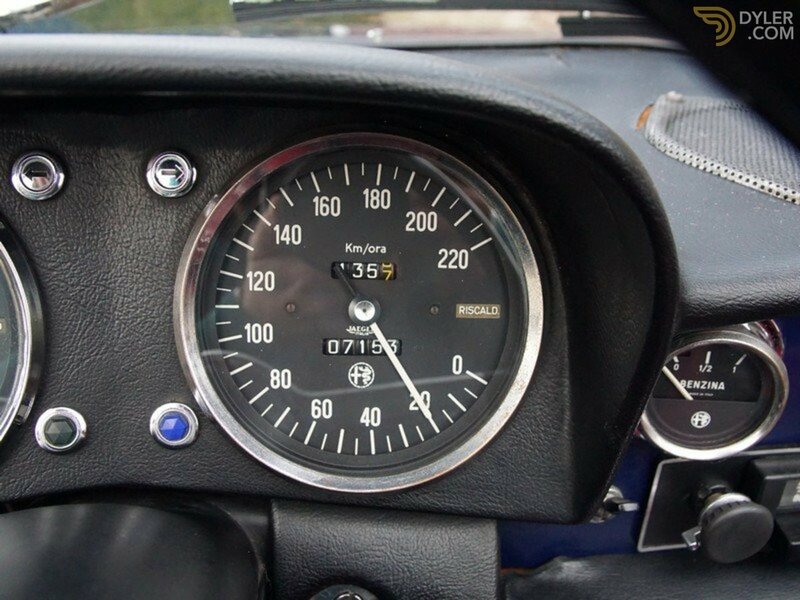 Mechanically the car is in excellent working order. 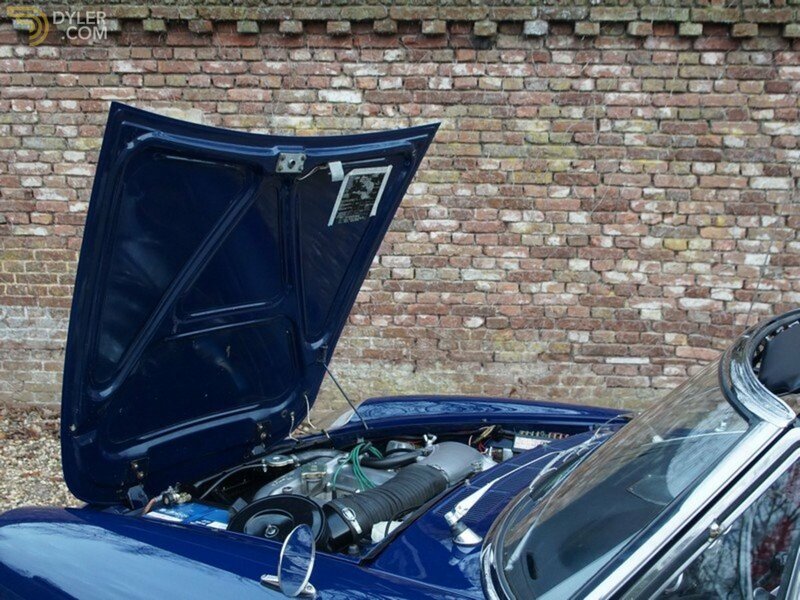 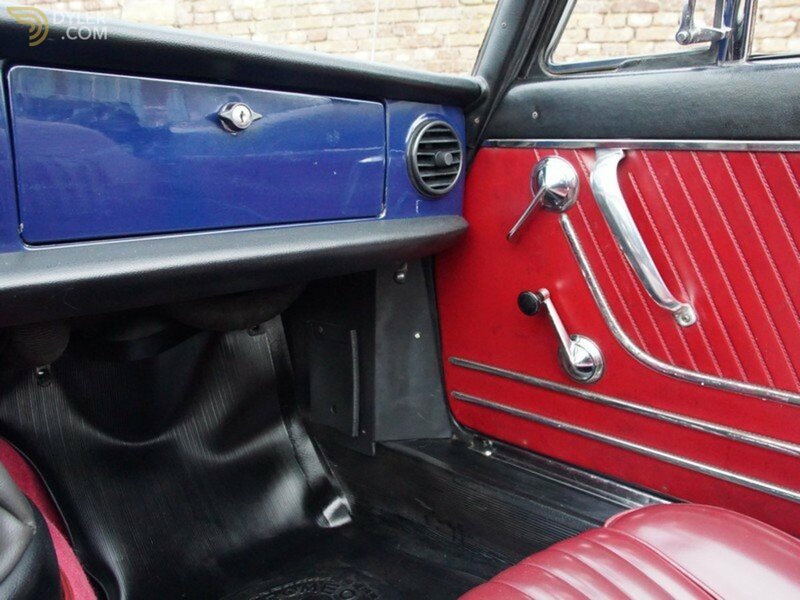 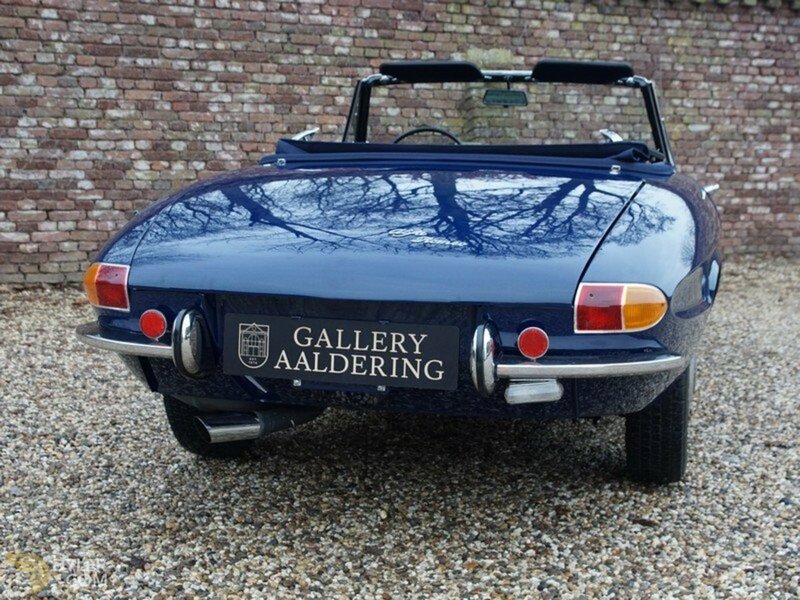 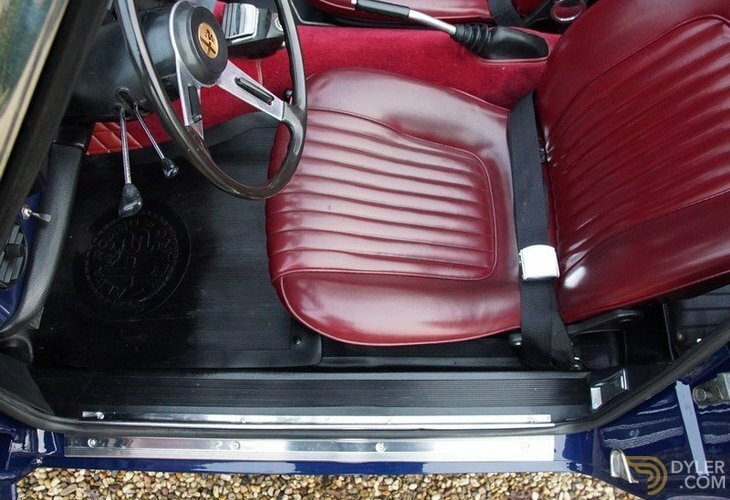 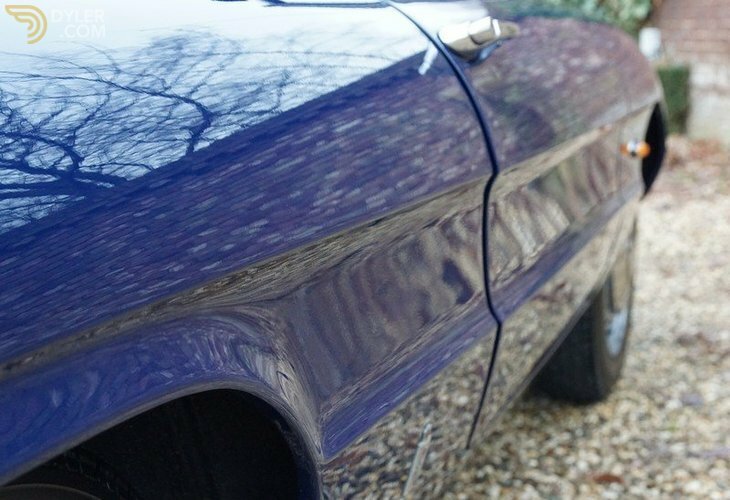 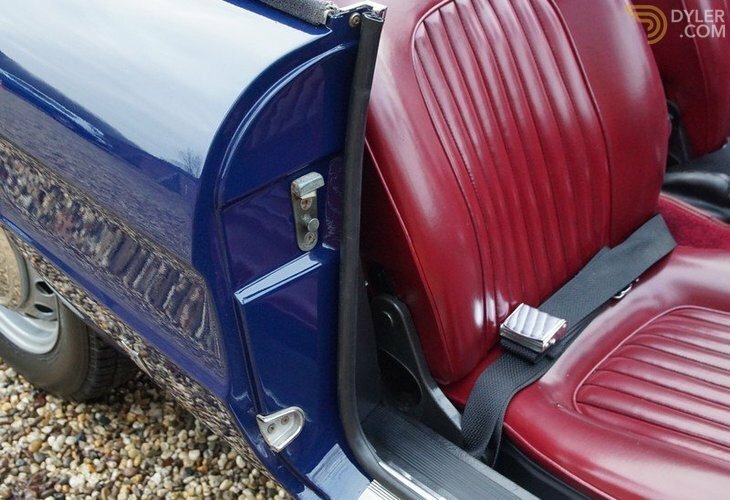 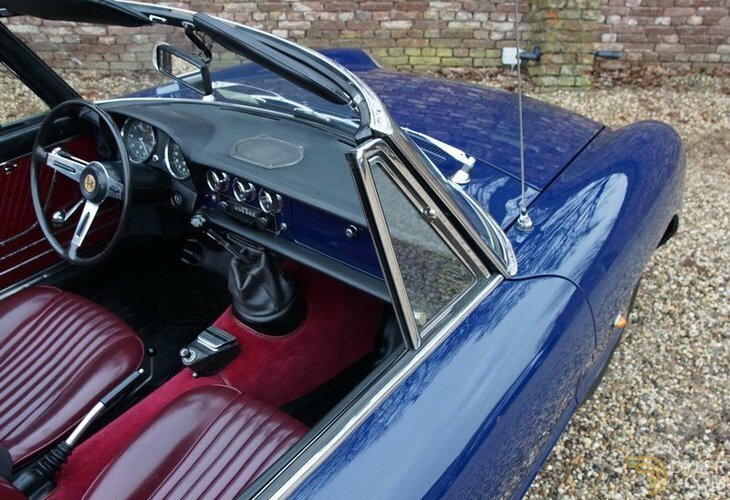 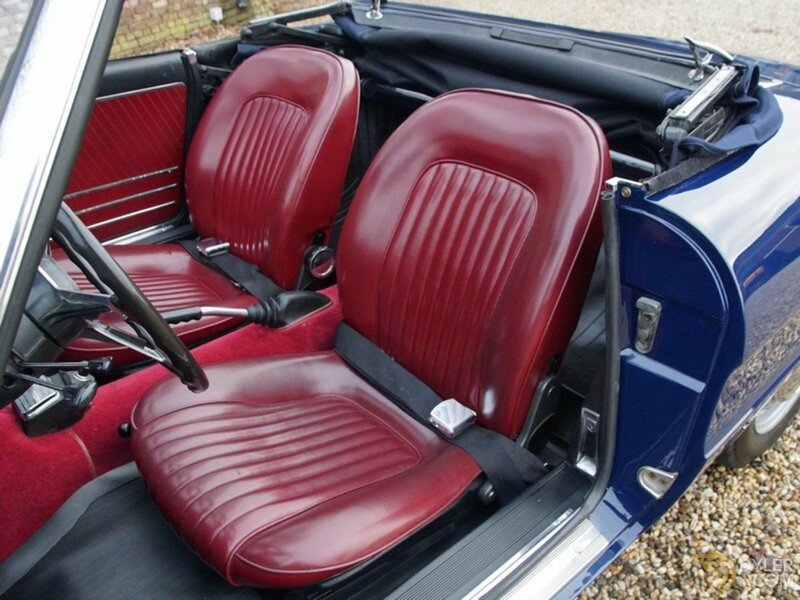 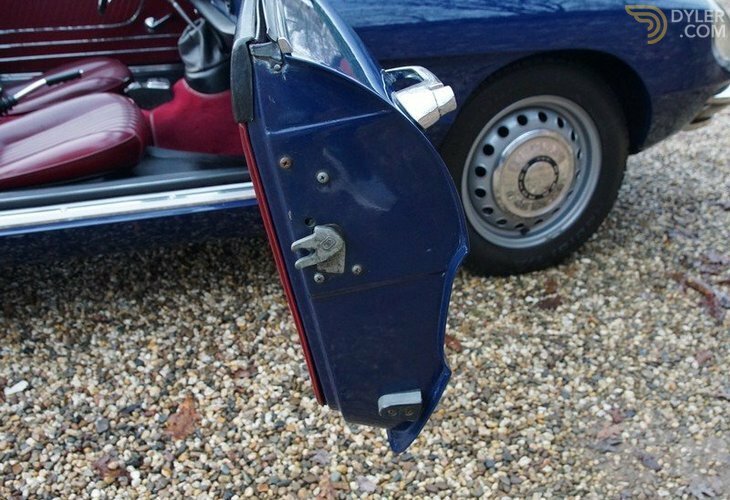 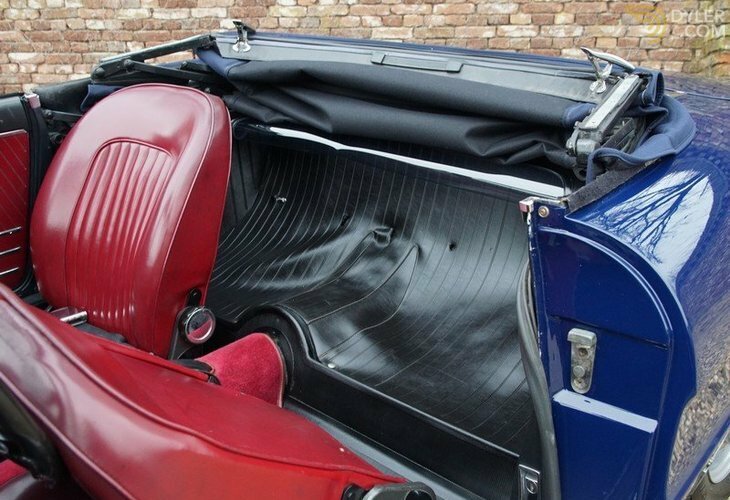 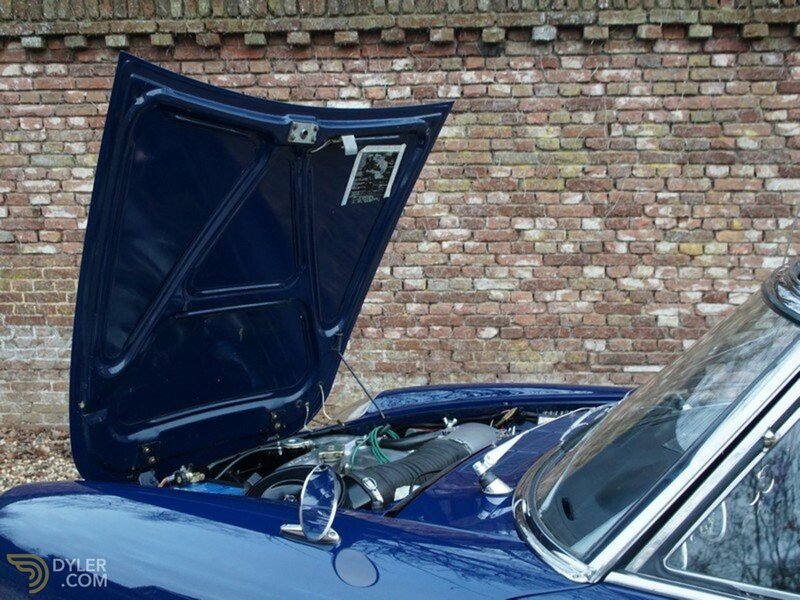 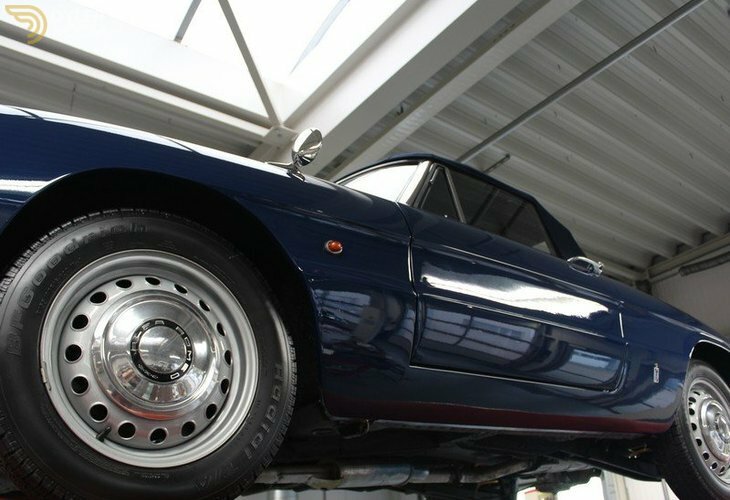 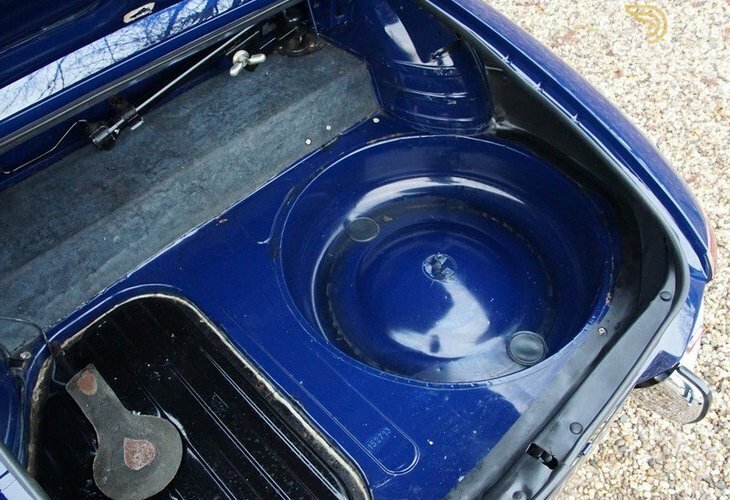 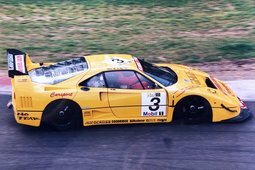 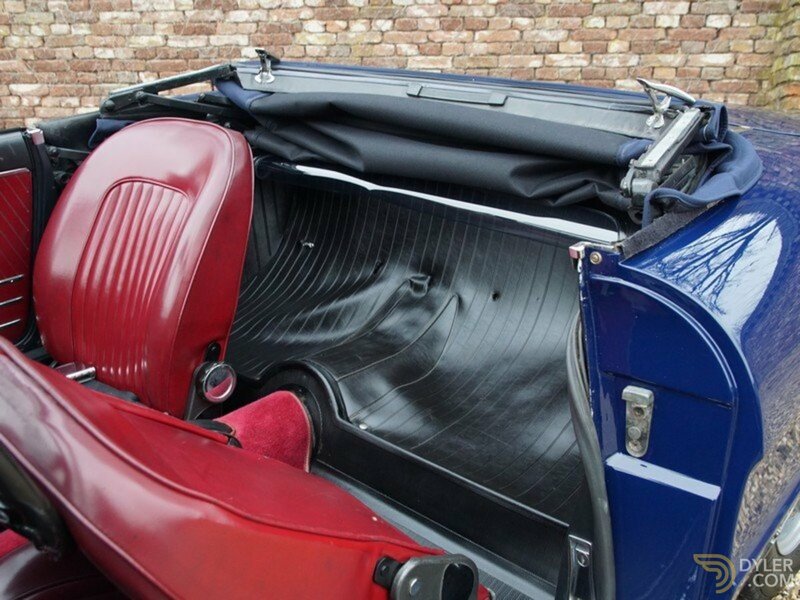 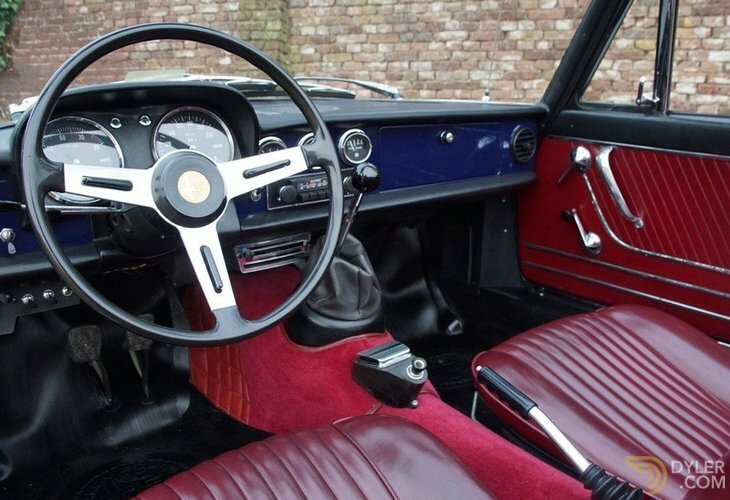 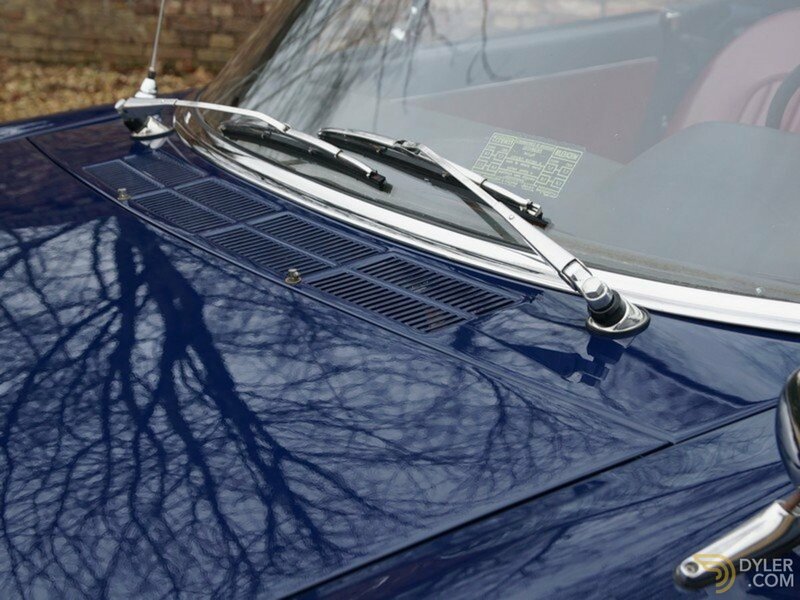 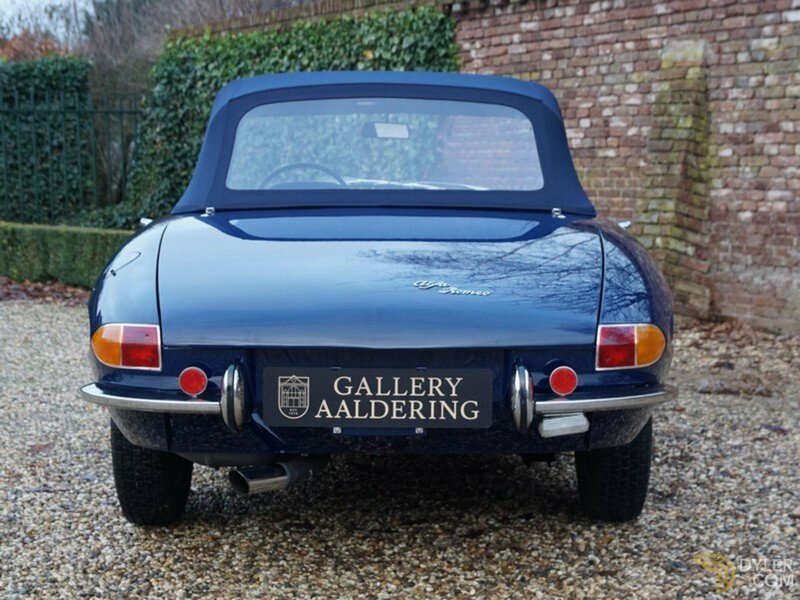 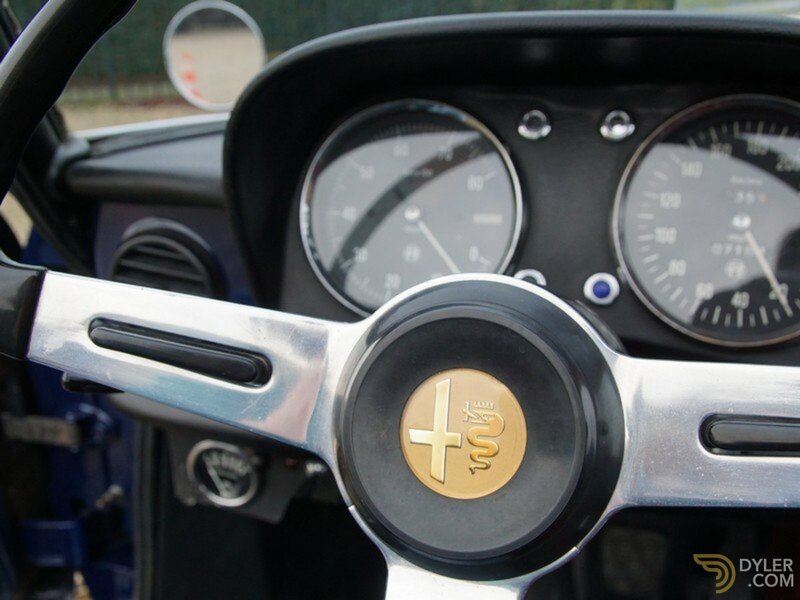 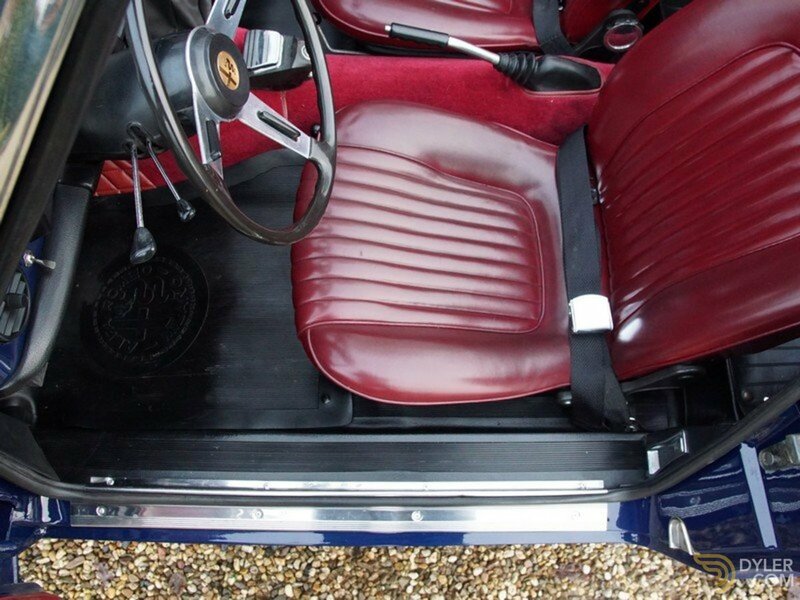 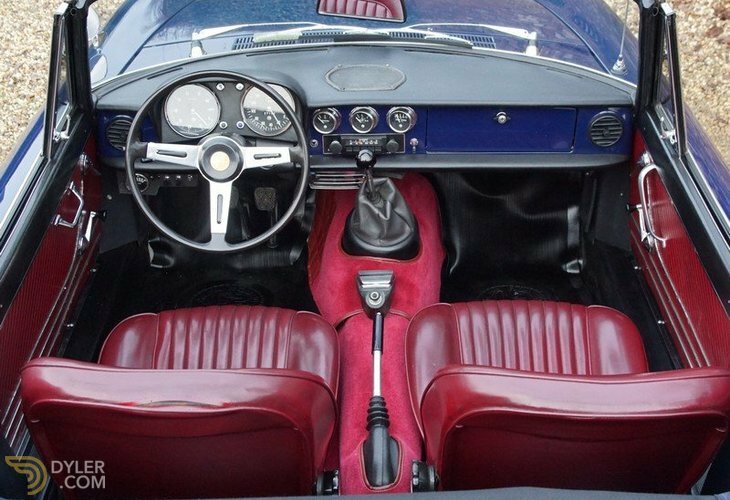 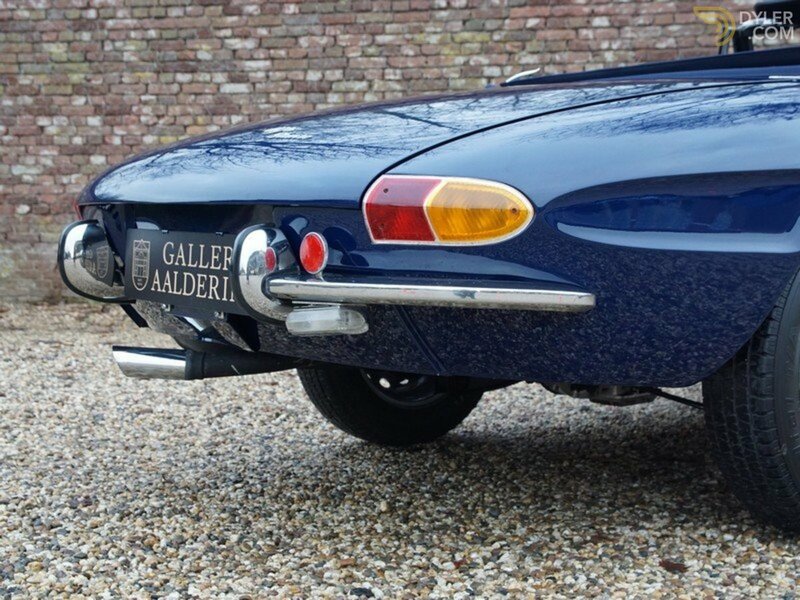 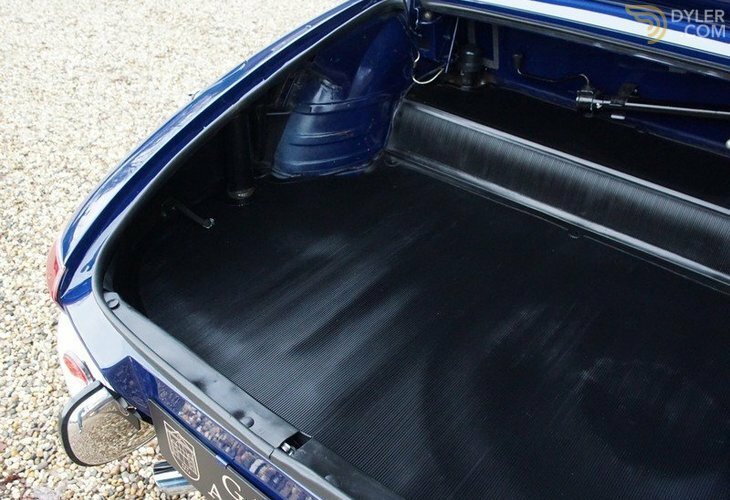 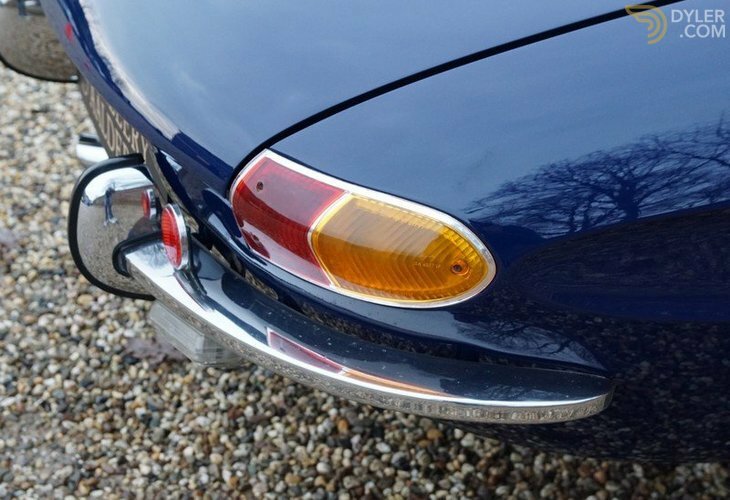 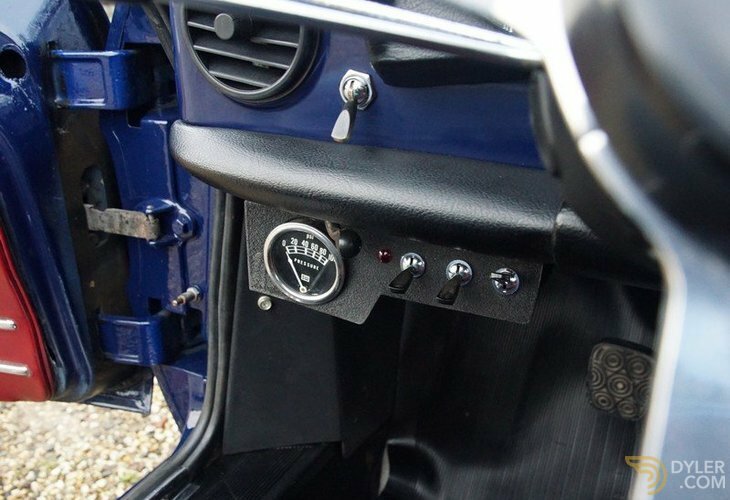 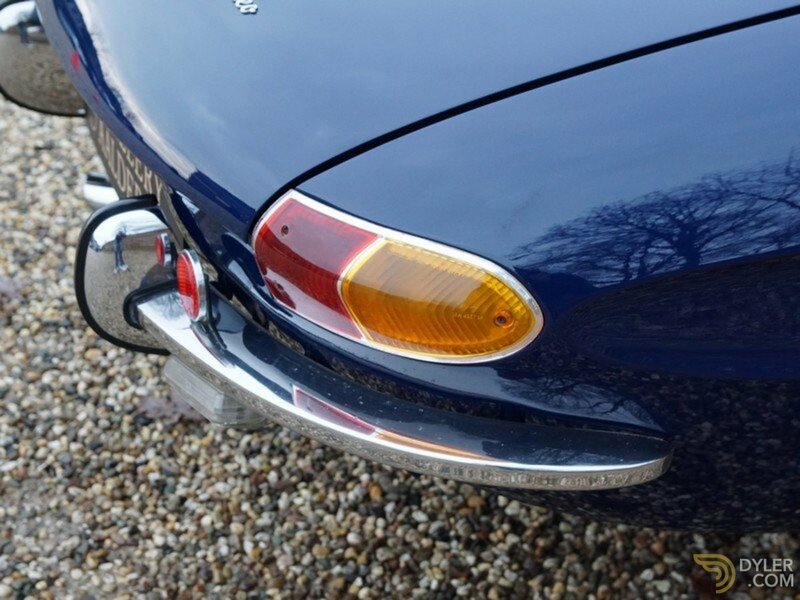 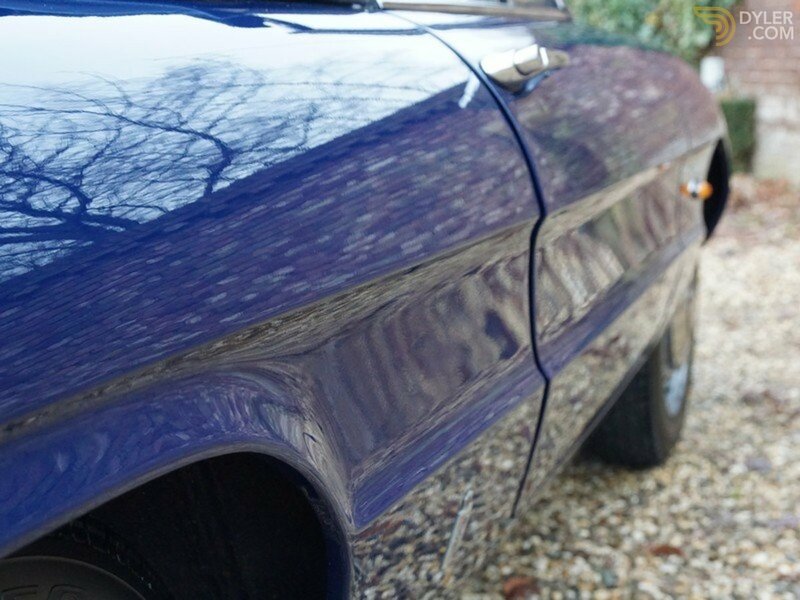 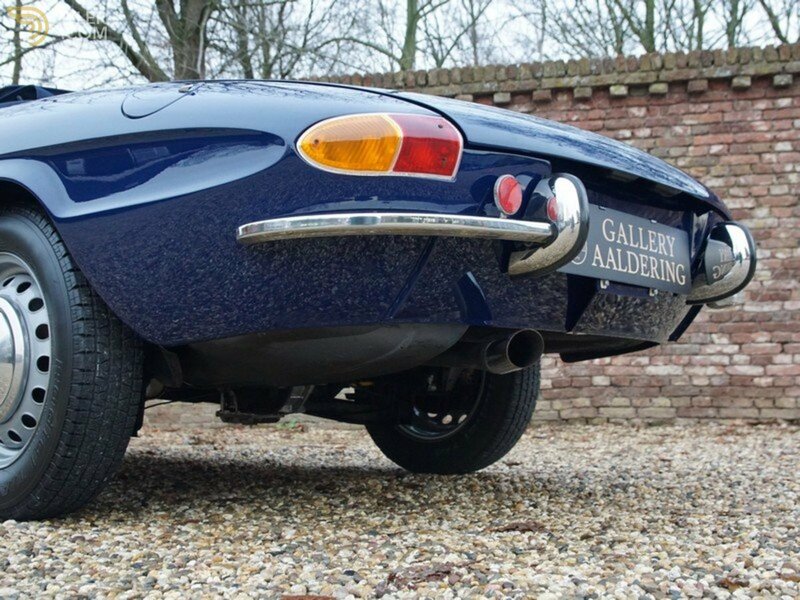 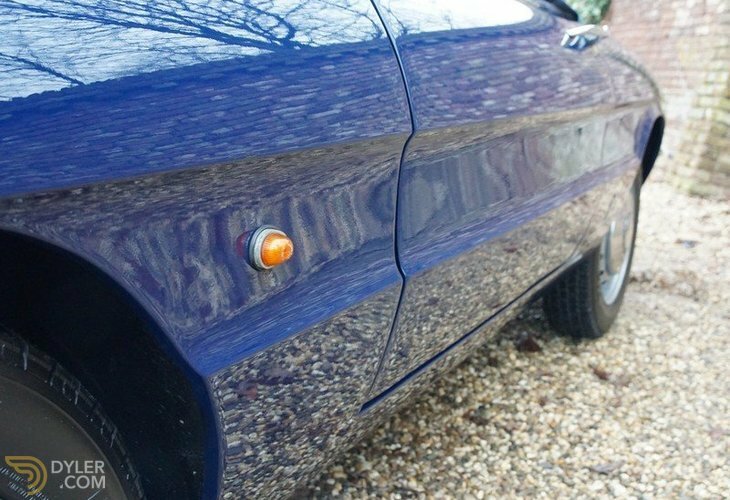 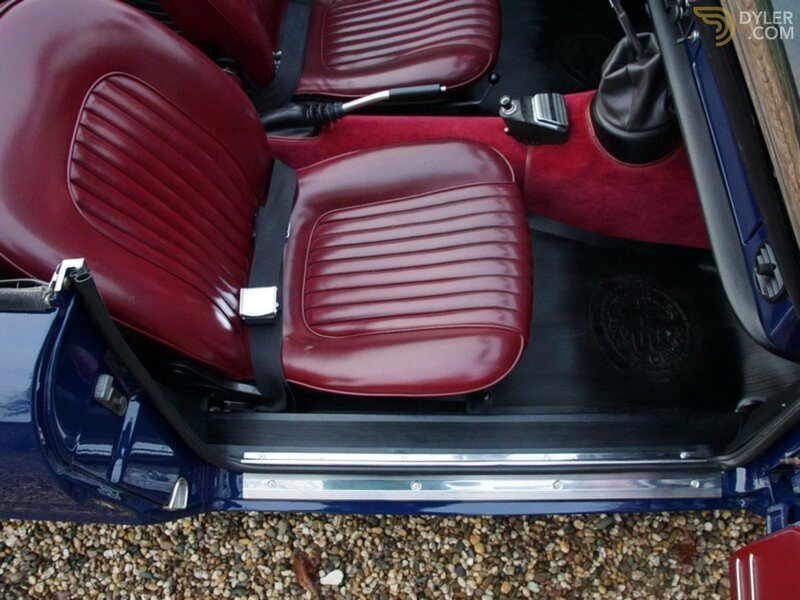 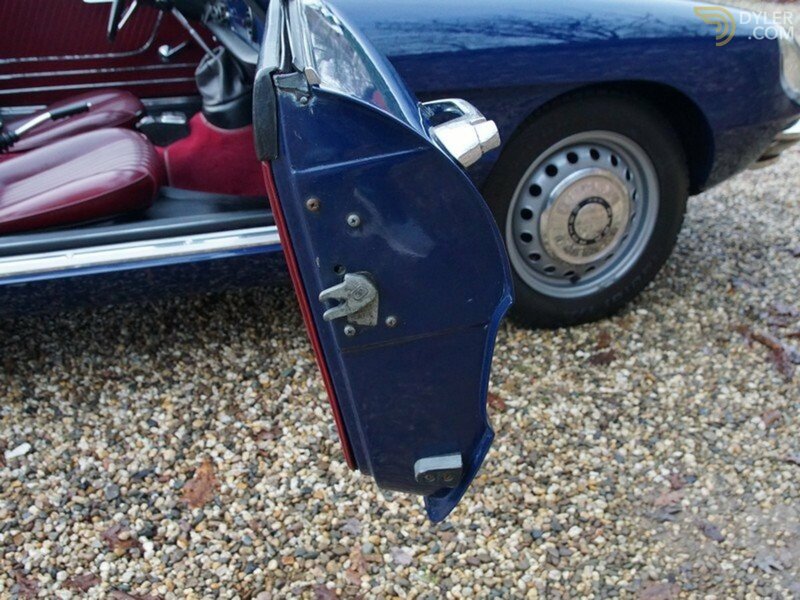 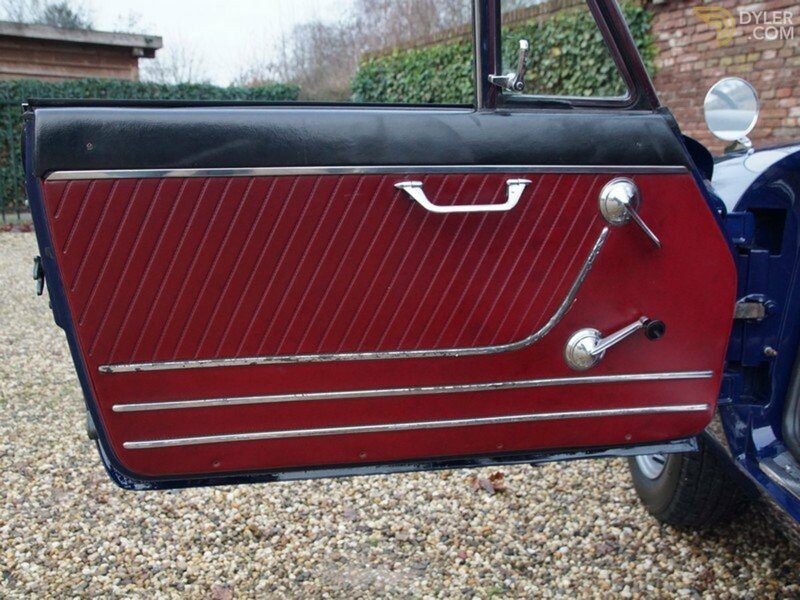 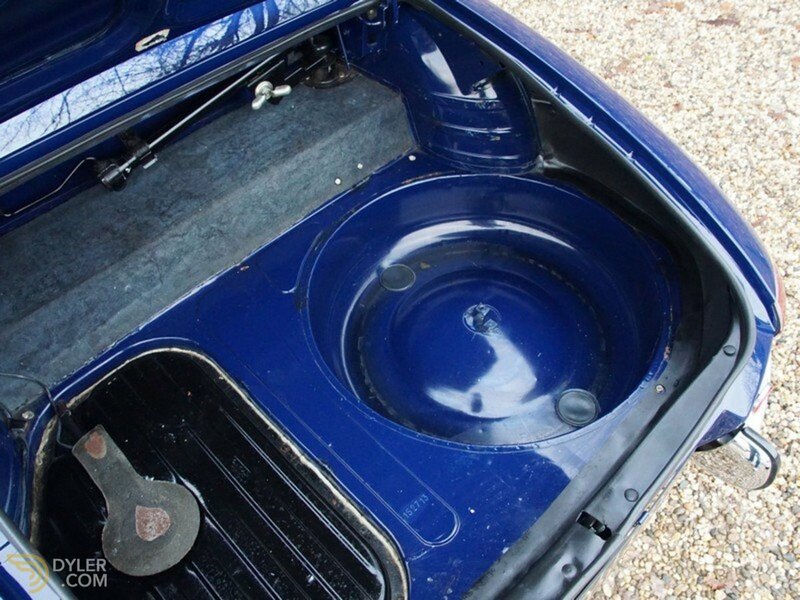 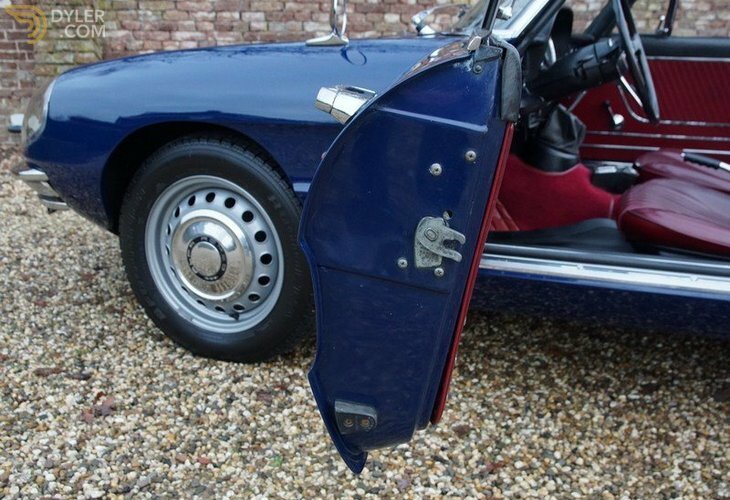 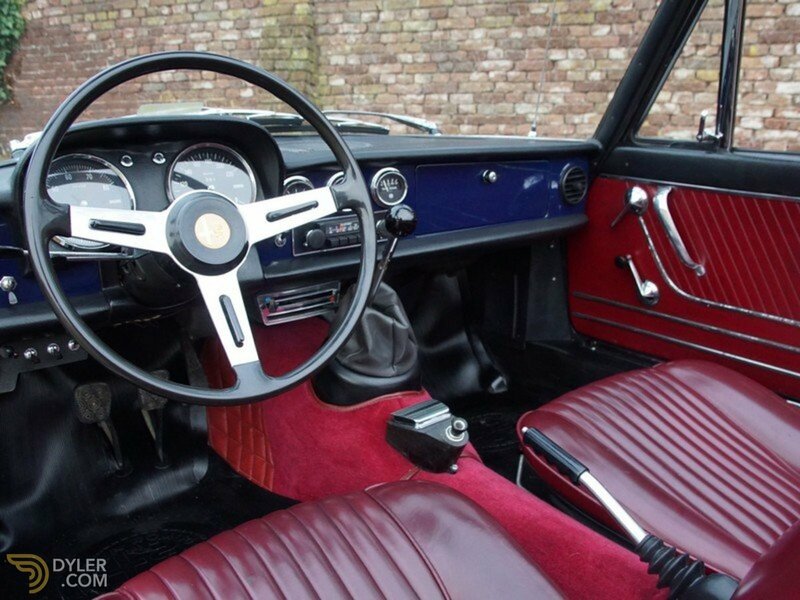 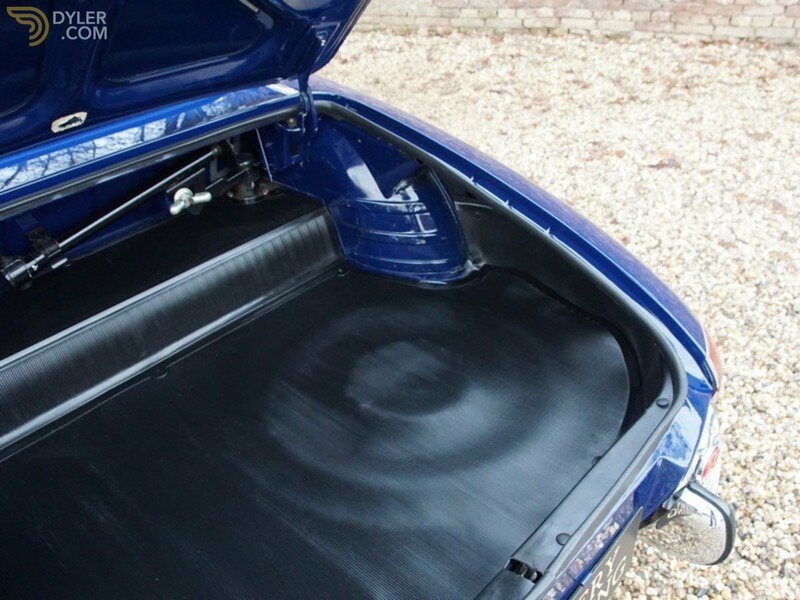 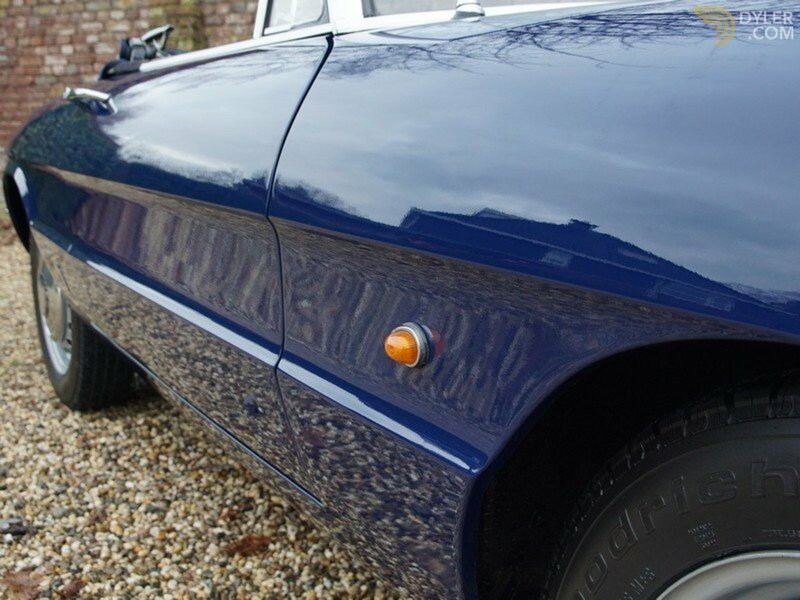 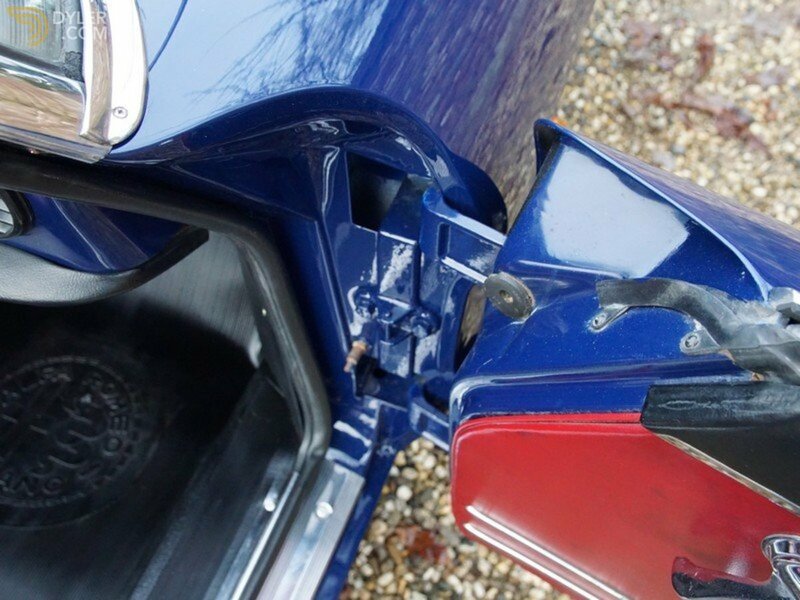 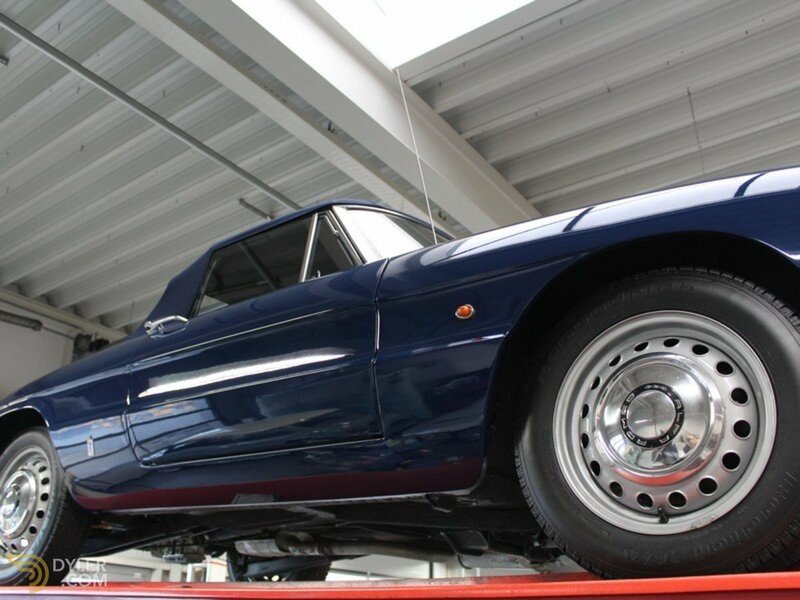 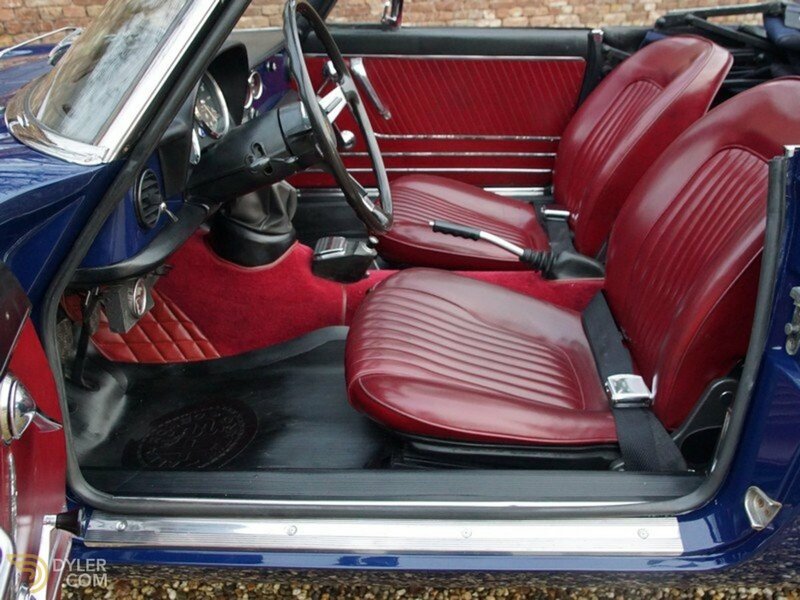 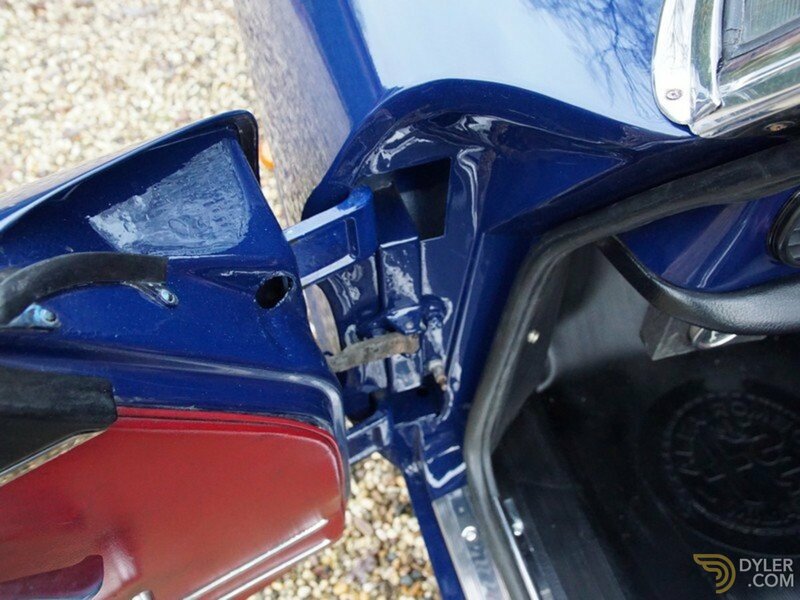 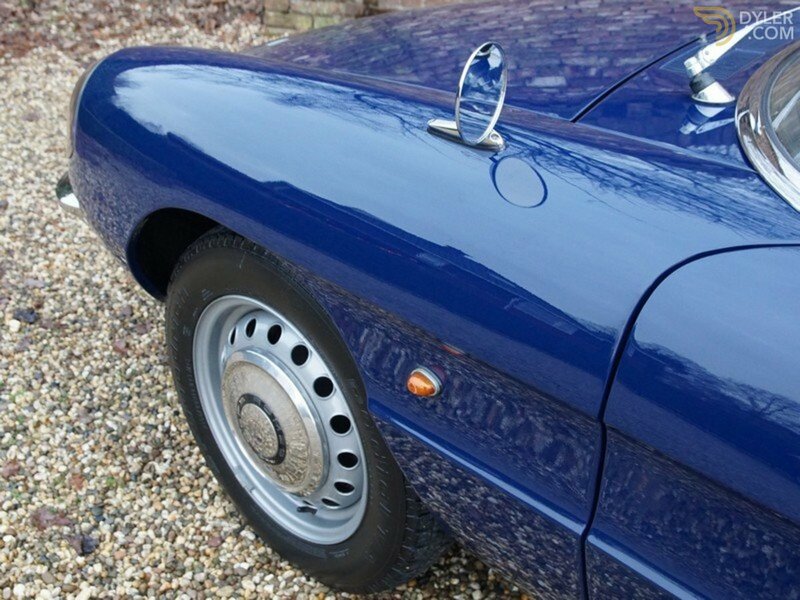 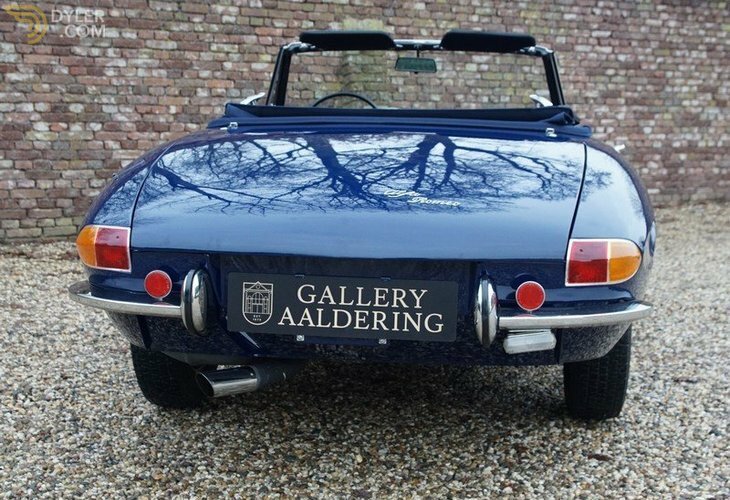 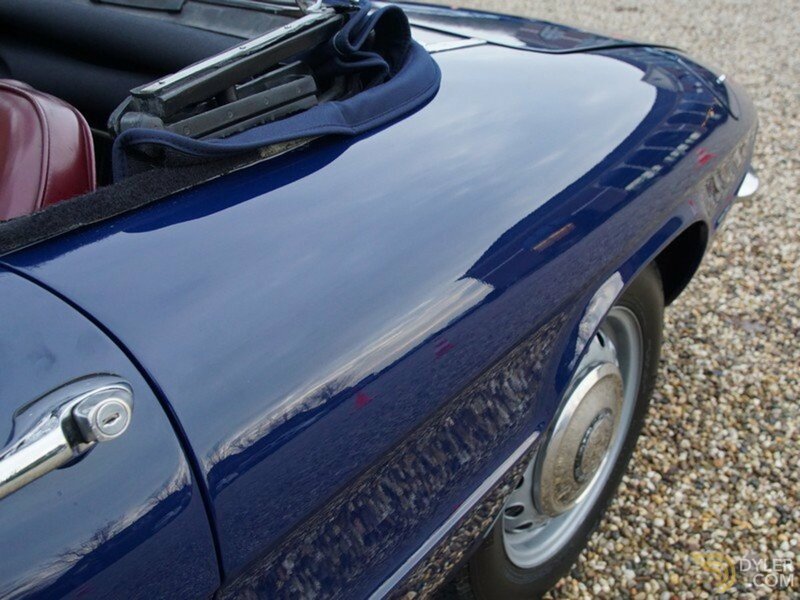 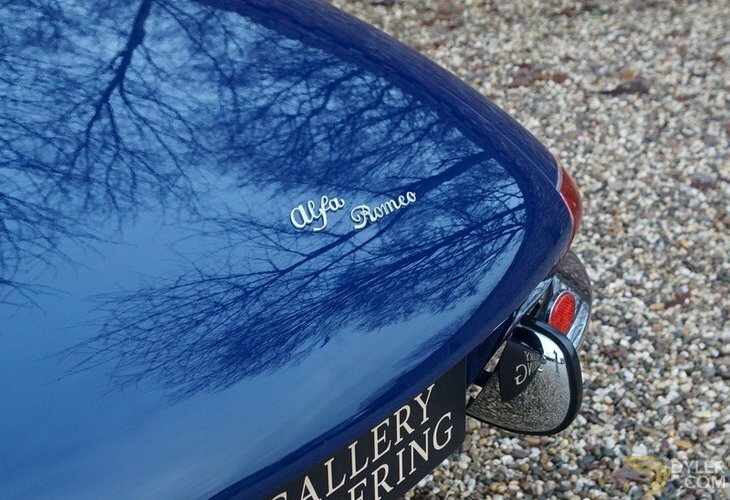 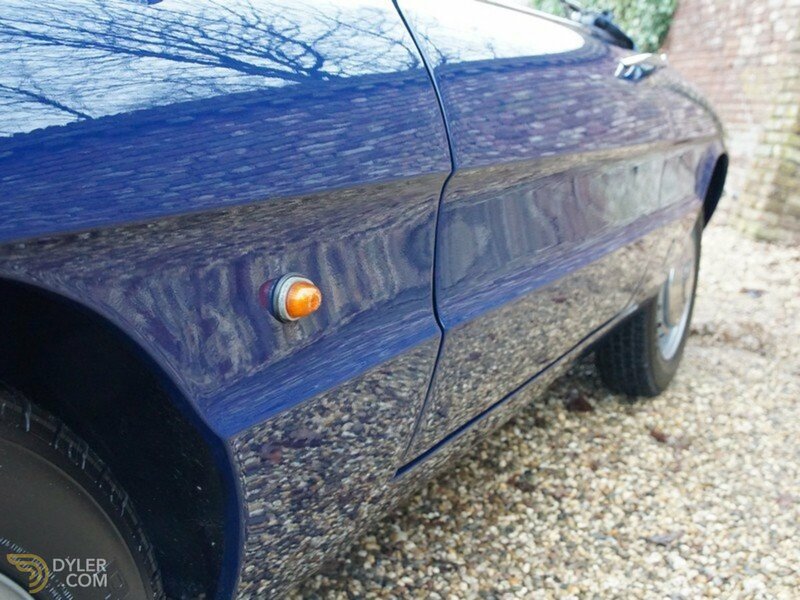 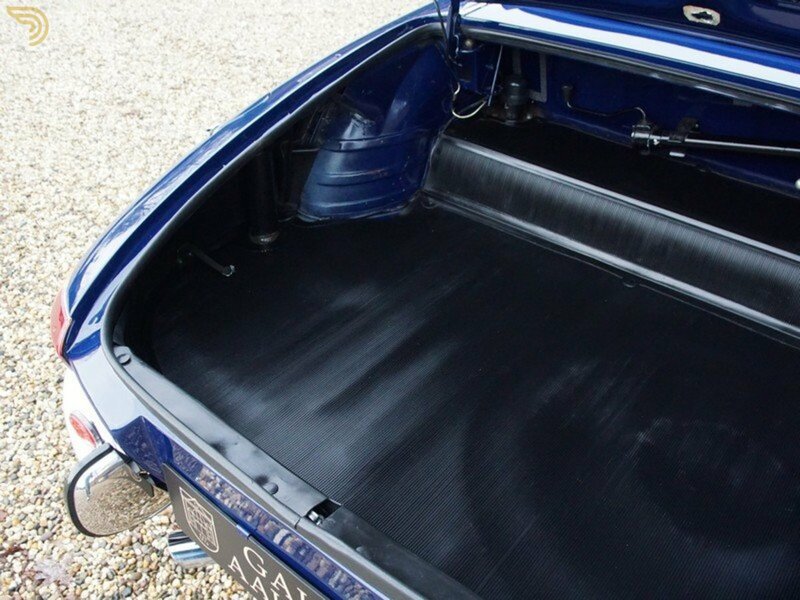 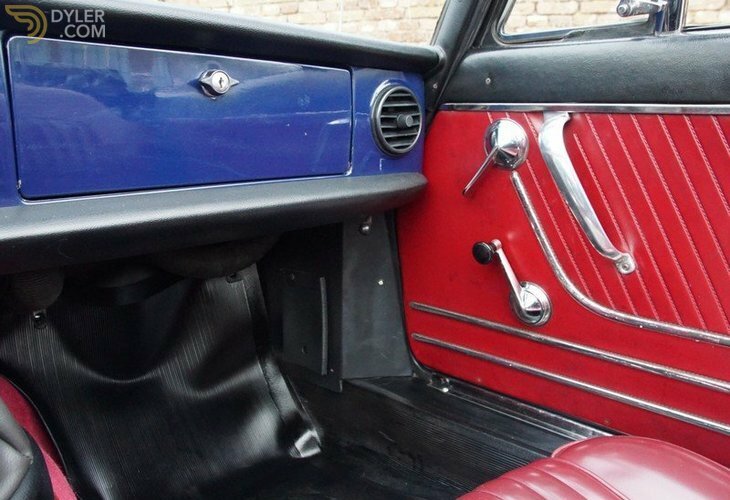 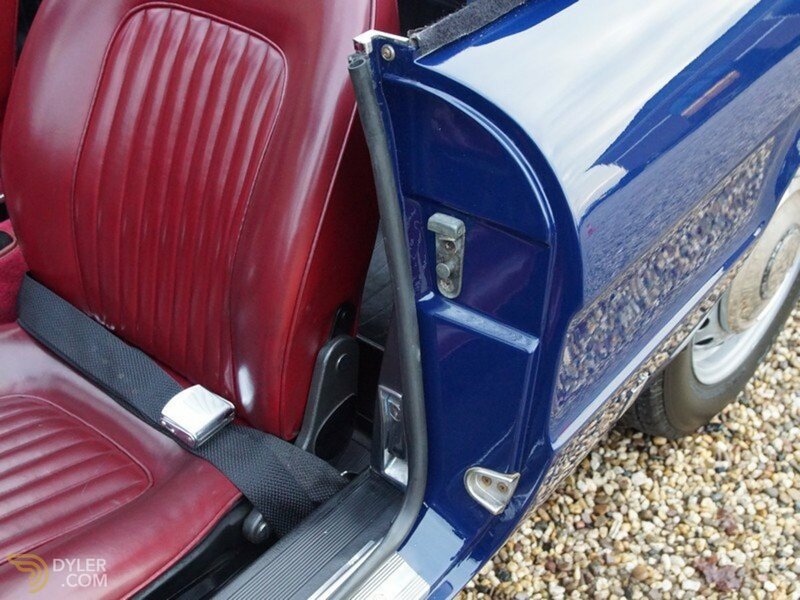 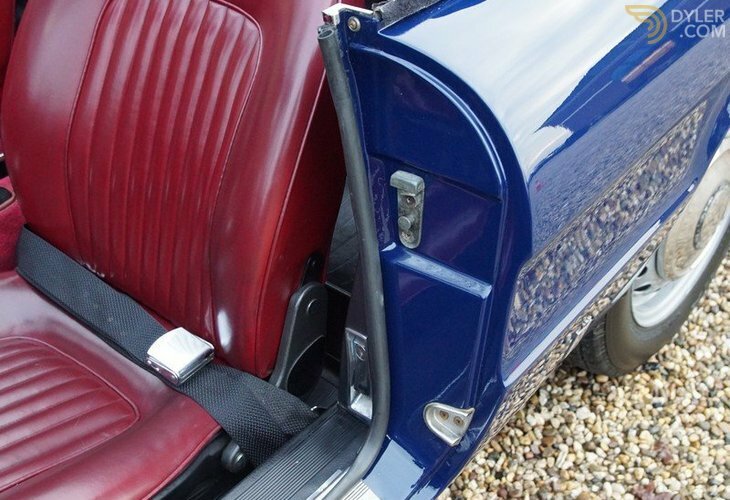 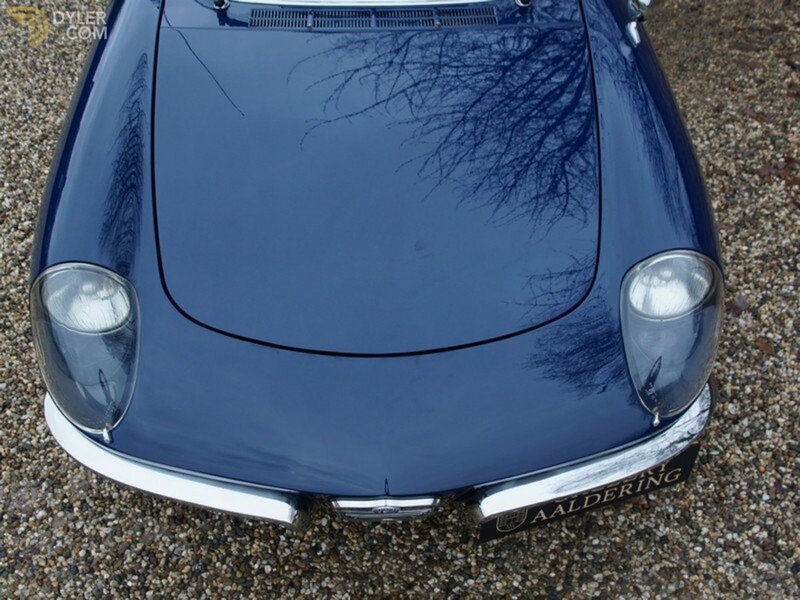 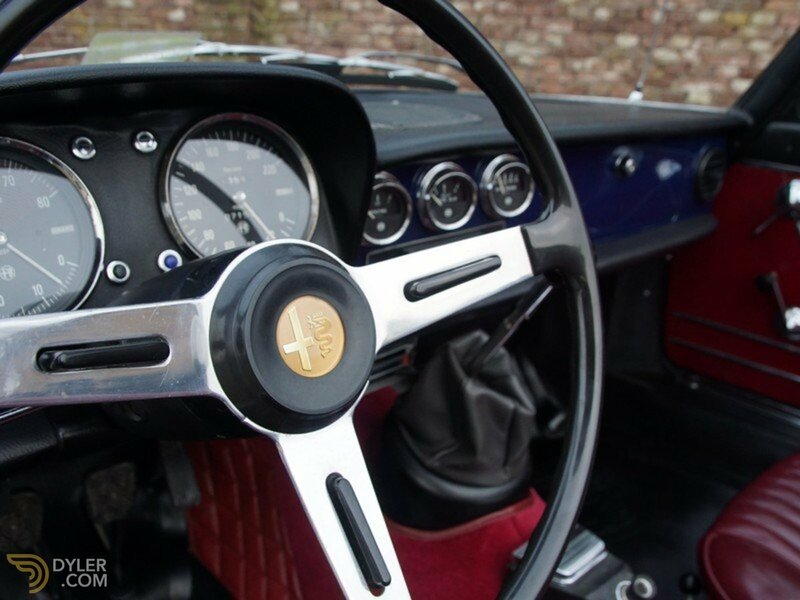 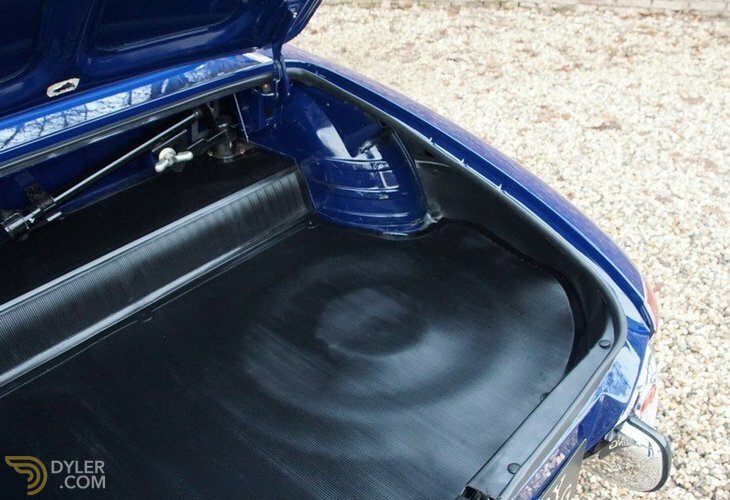 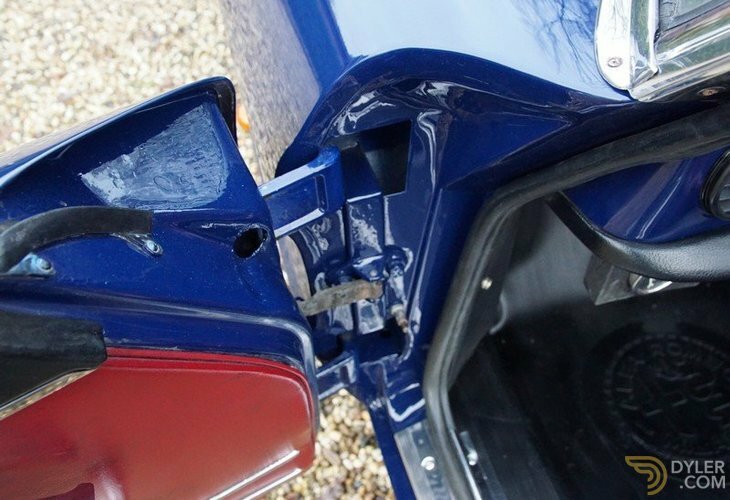 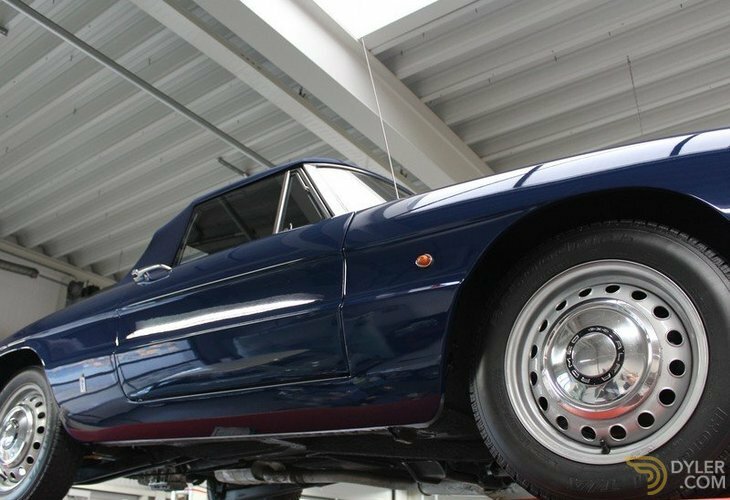 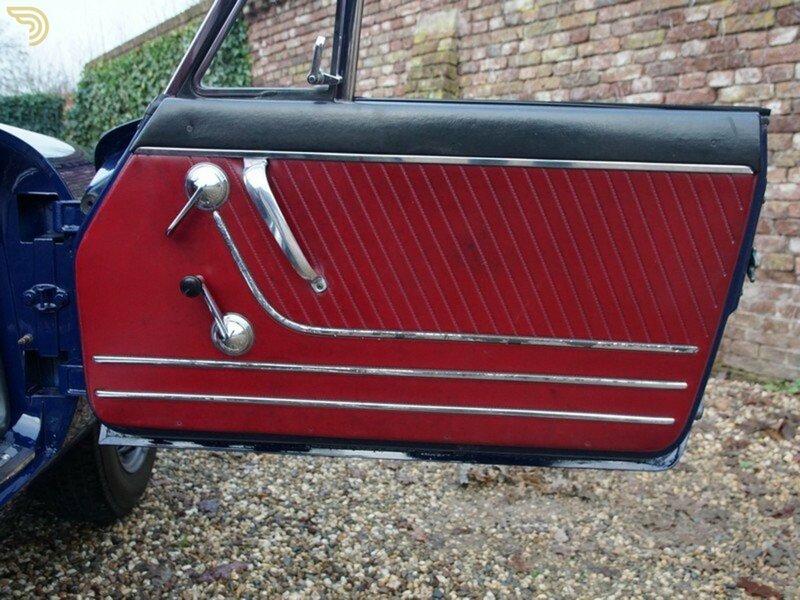 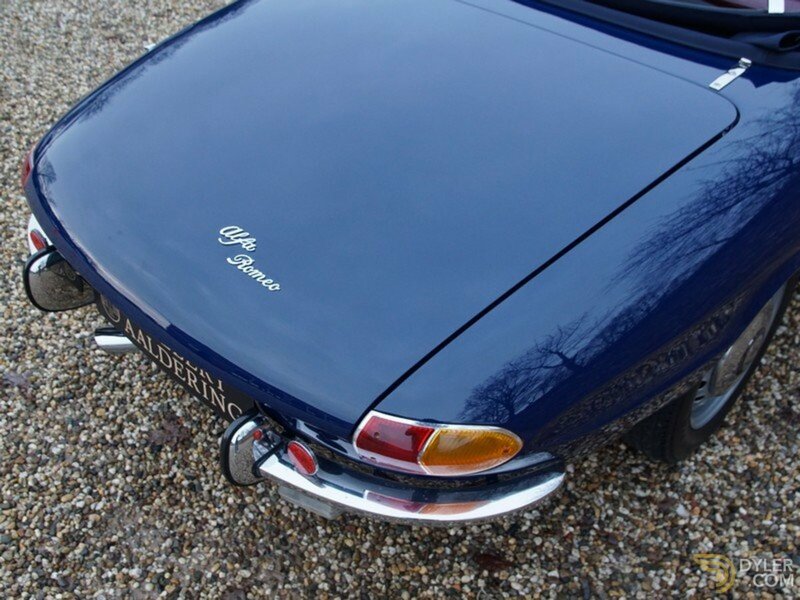 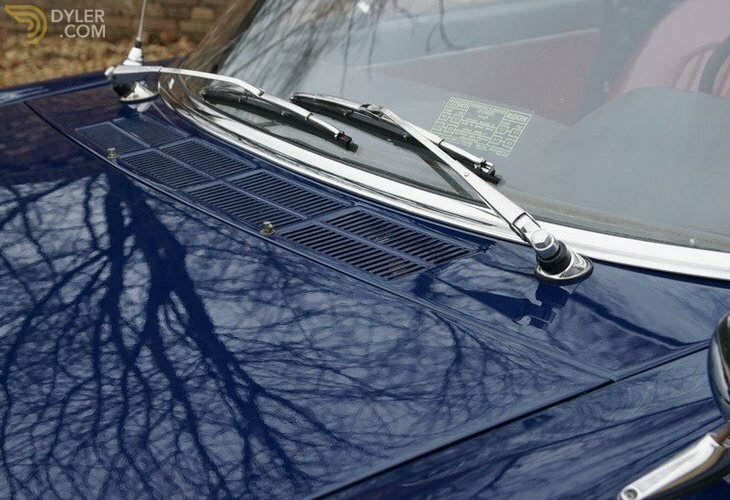 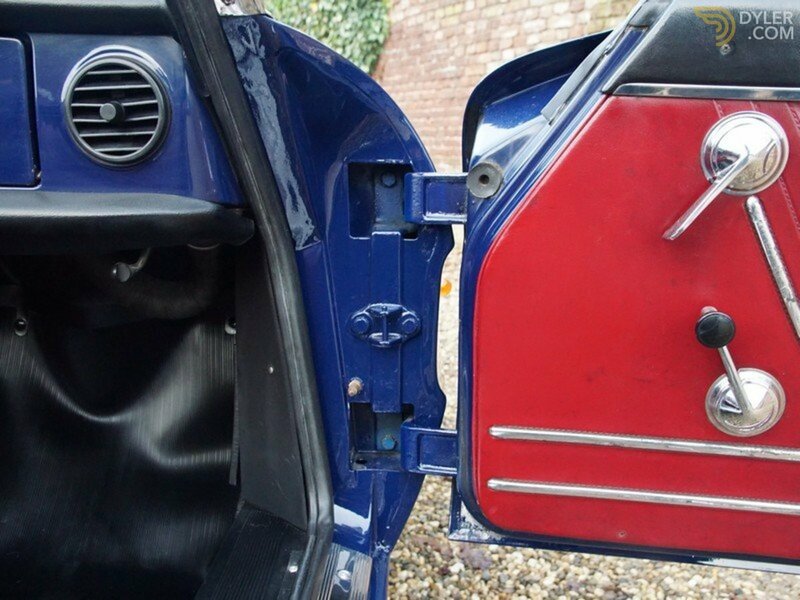 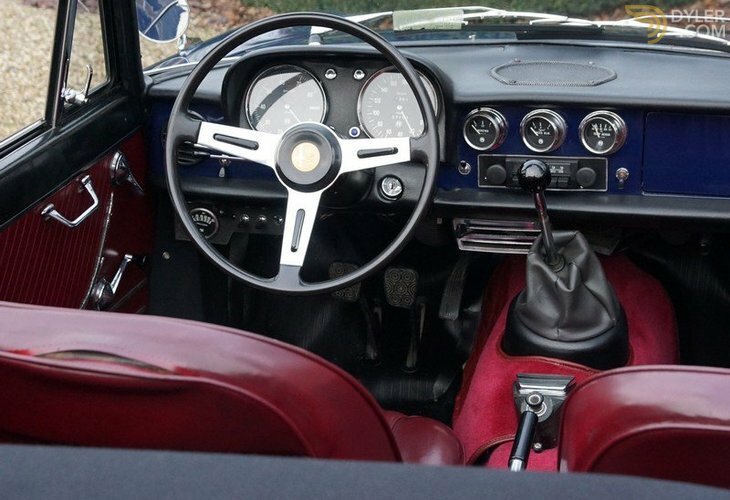 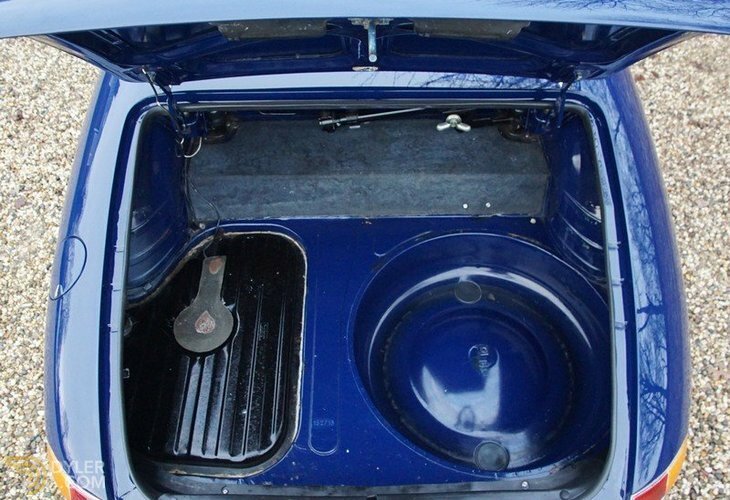 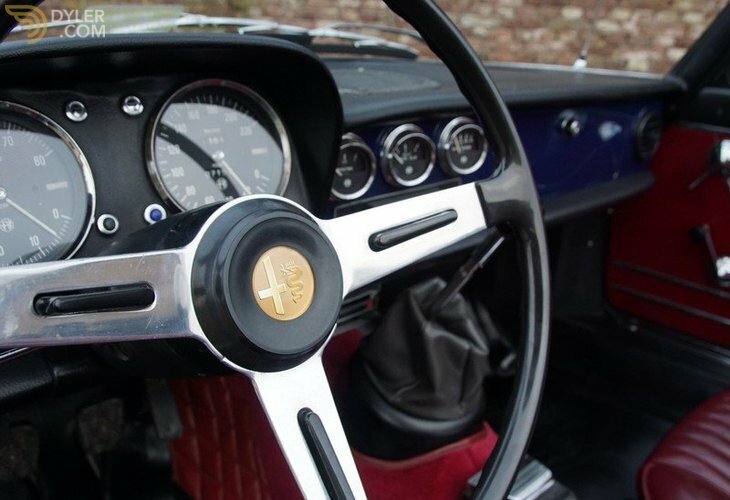 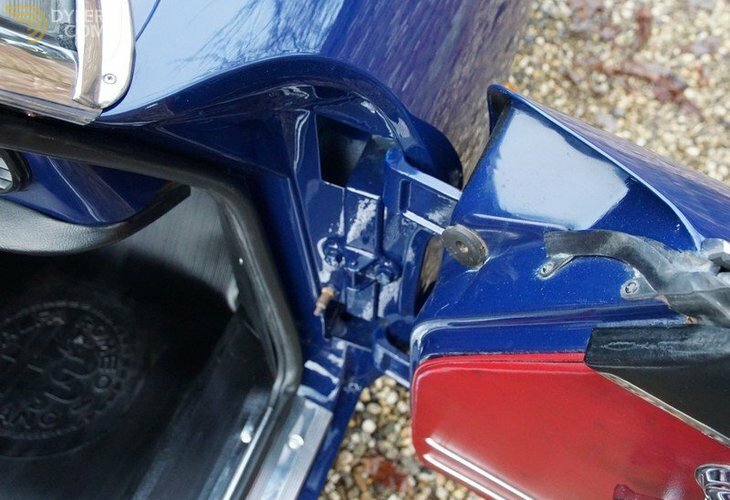 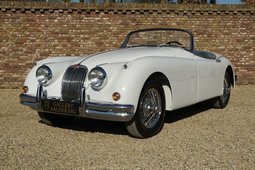 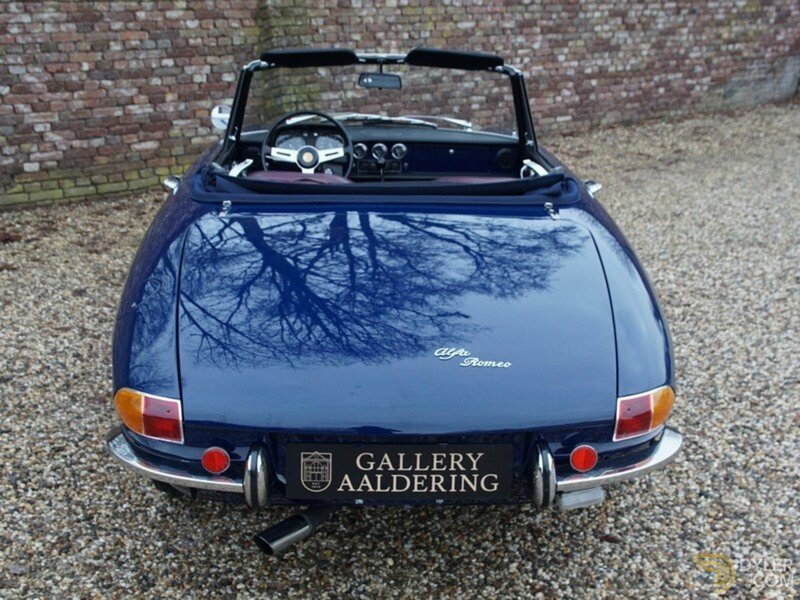 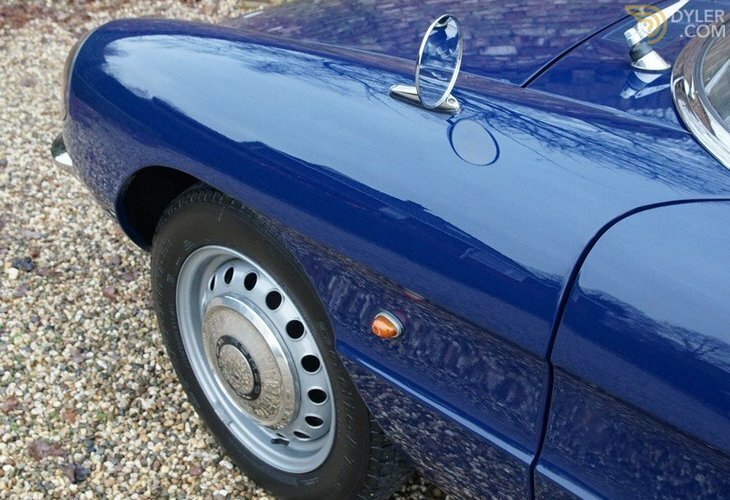 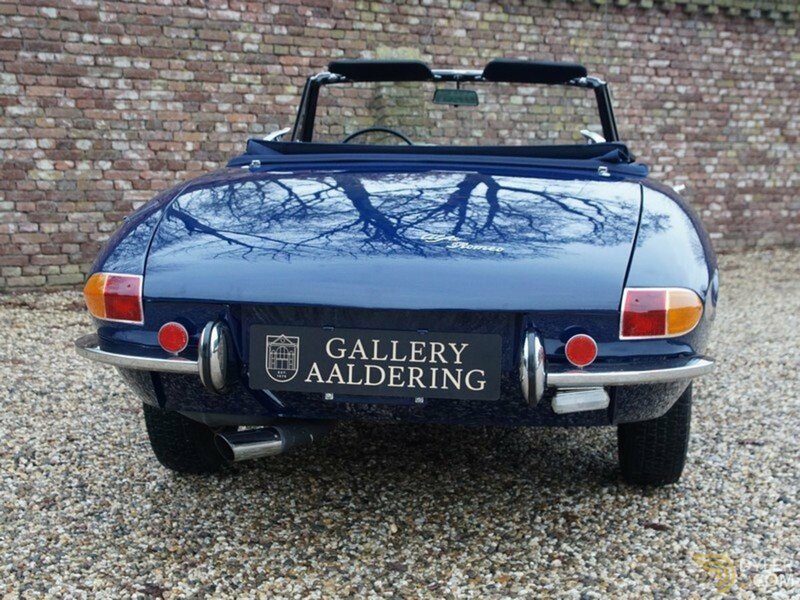 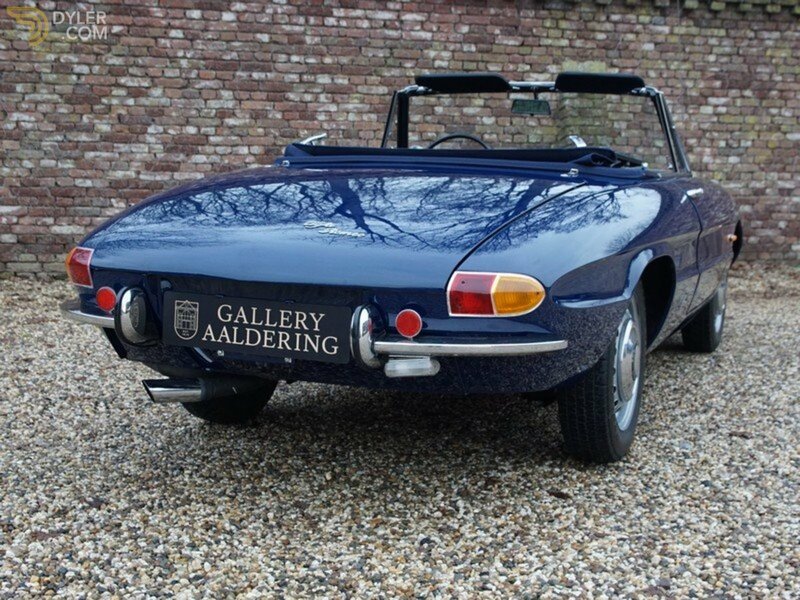 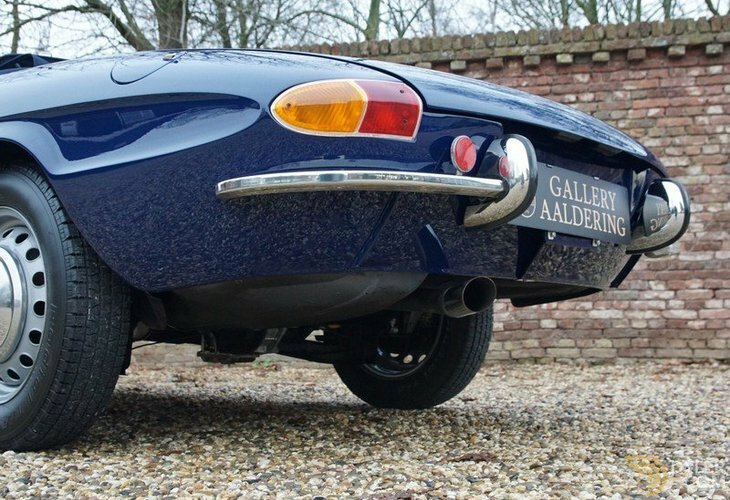 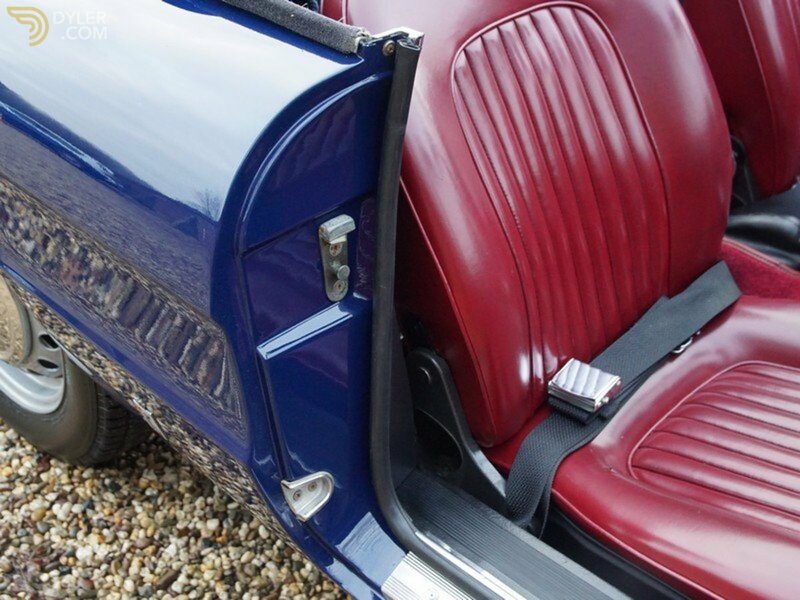 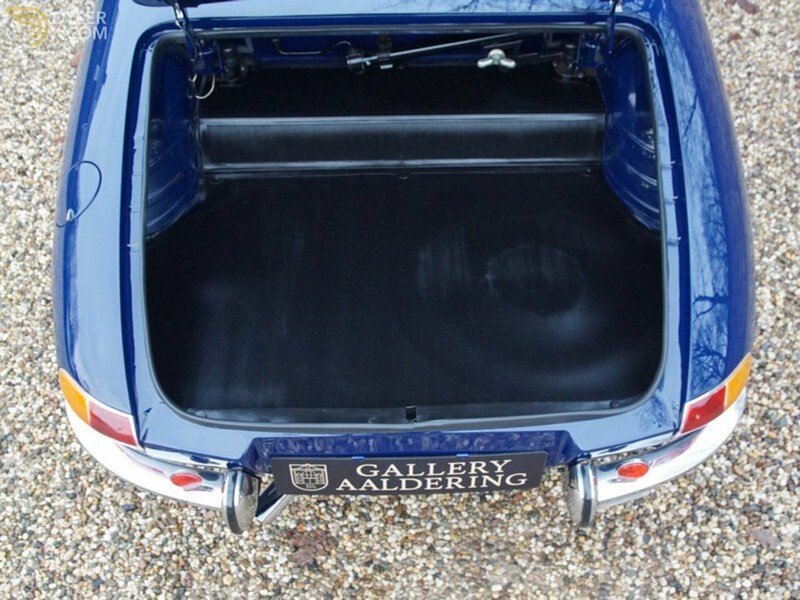 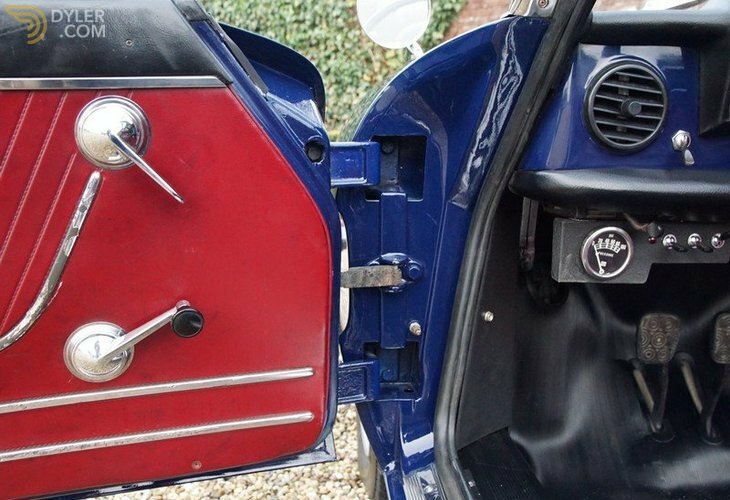 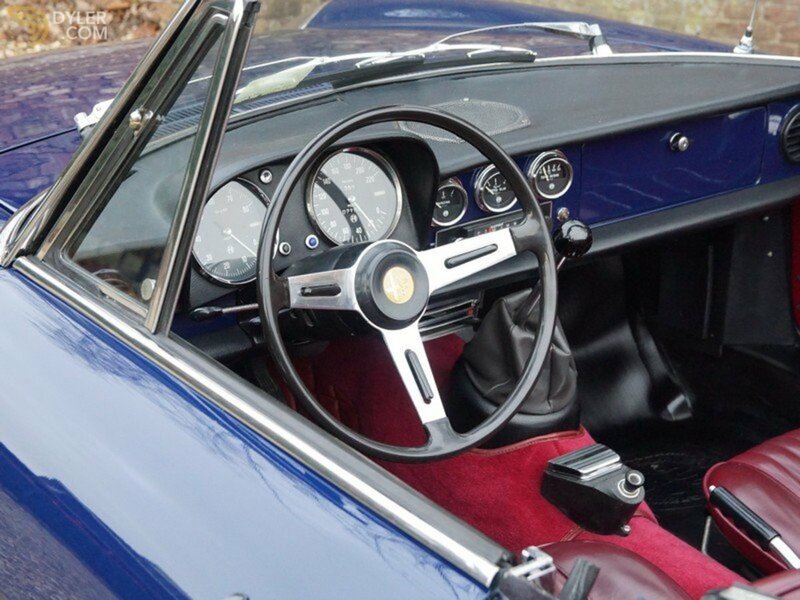 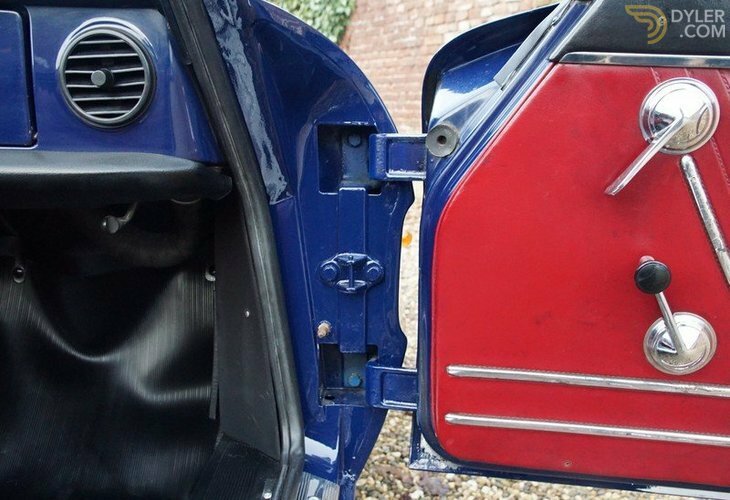 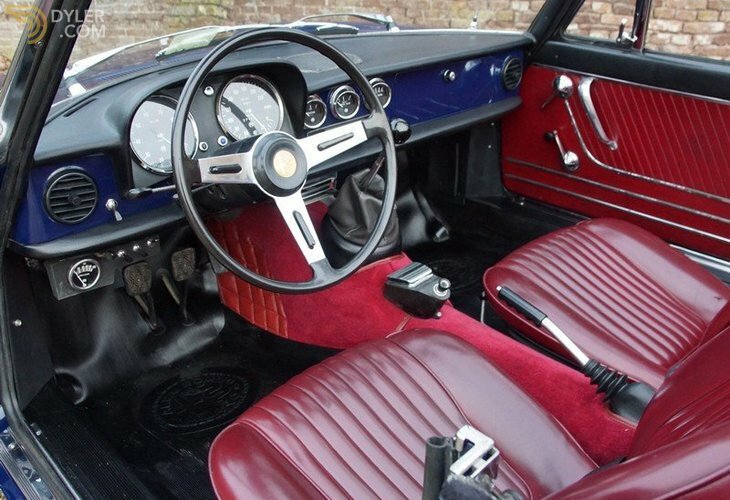 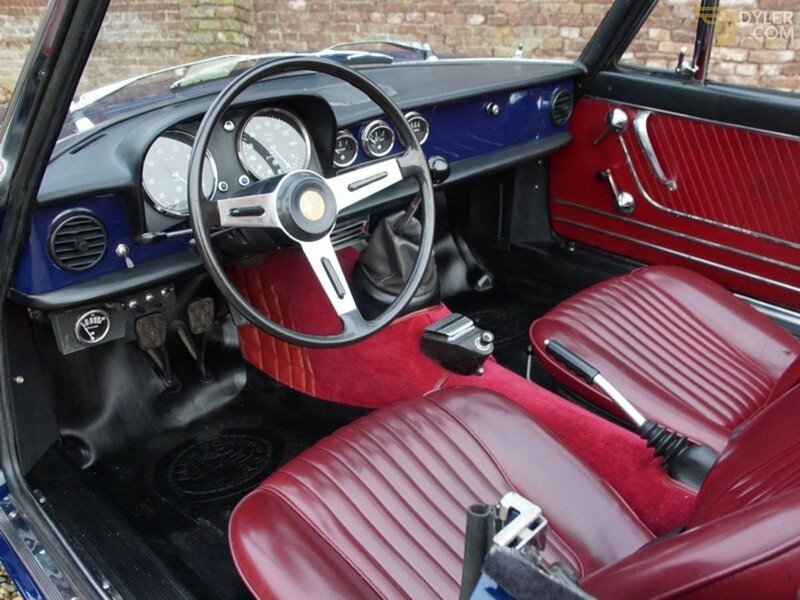 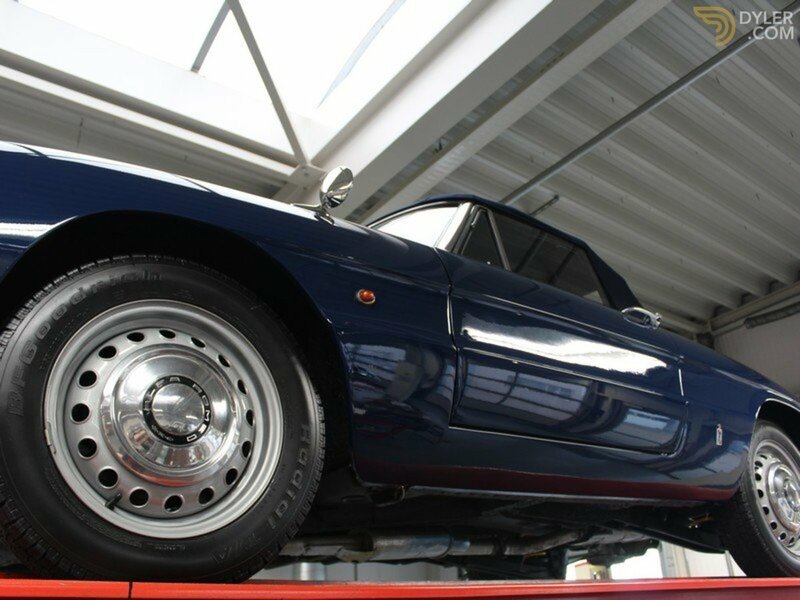 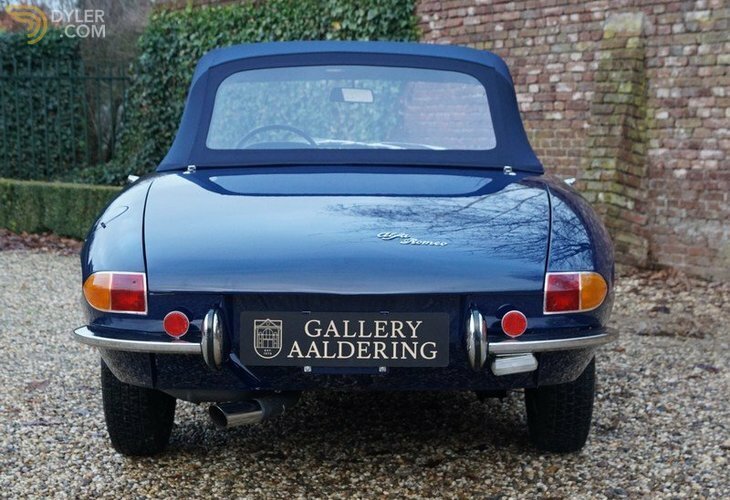 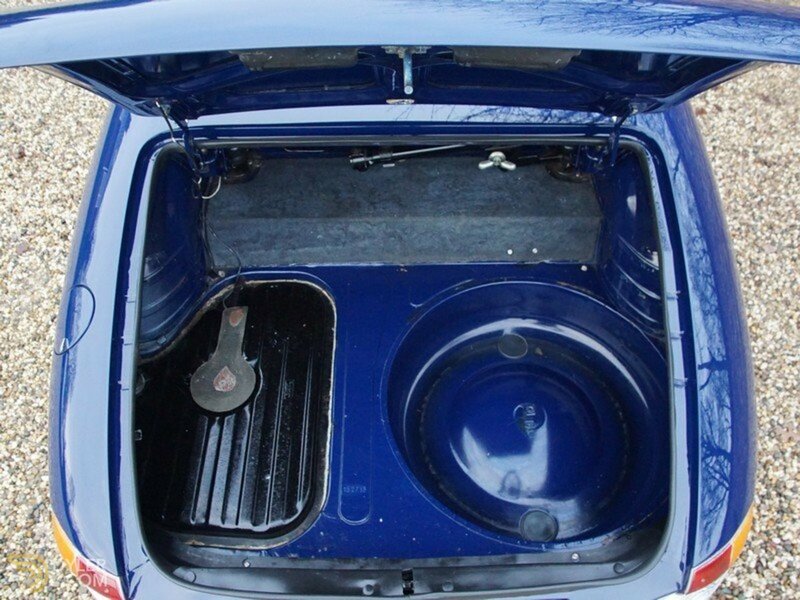 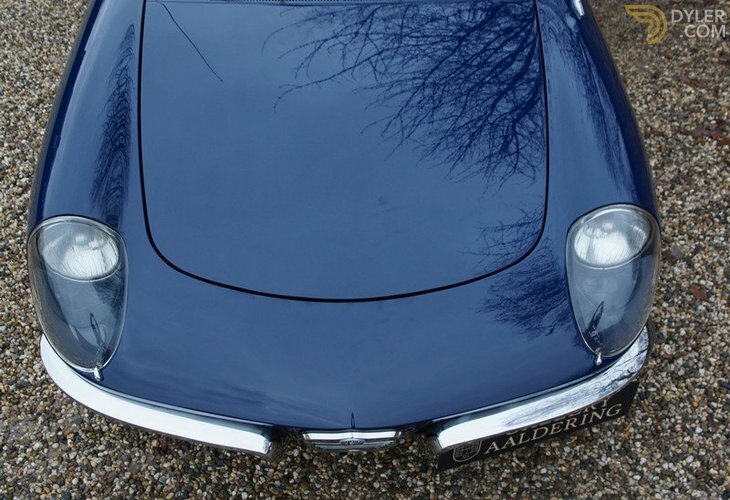 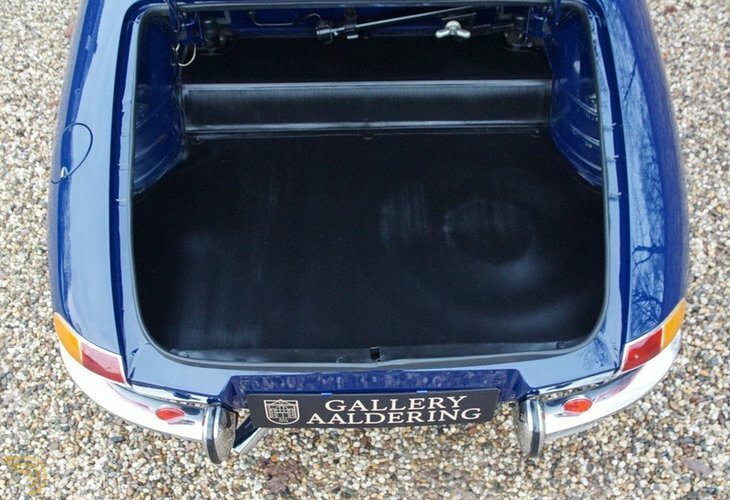 The bodywork has never required restoration and remains in a superbly unadulterated condition. 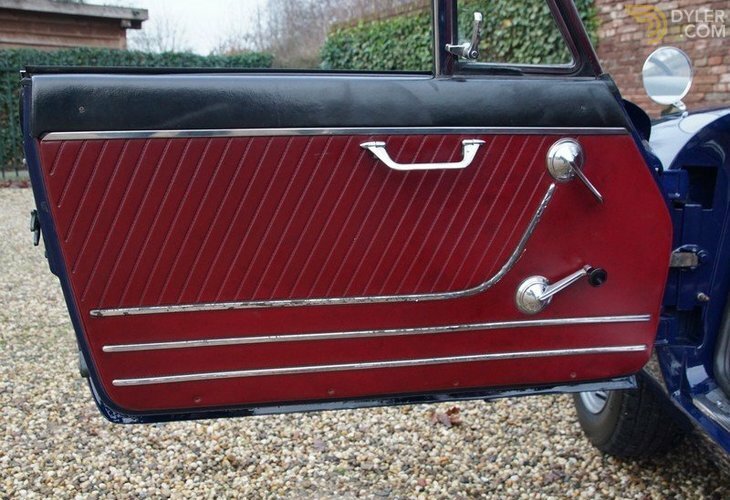 It has nicely fitting body panels and the chrome details such as the bumpers are completely authentic. 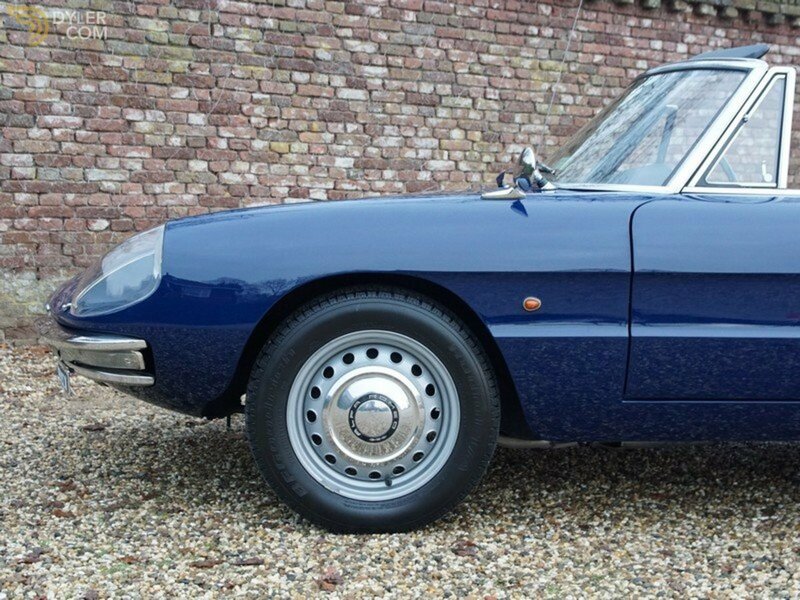 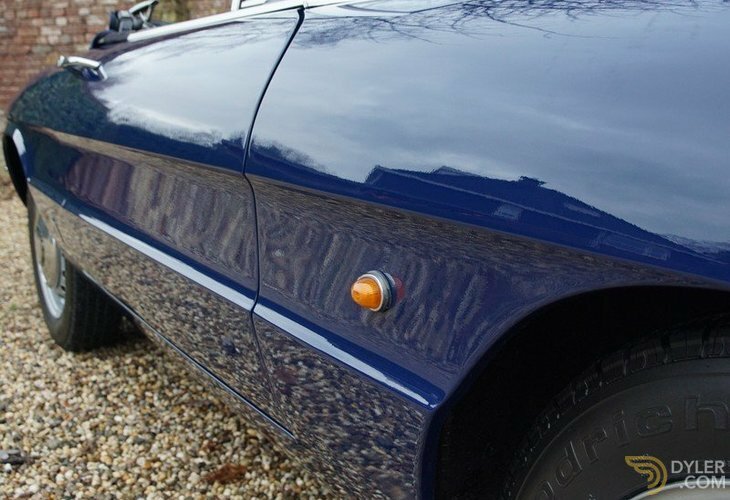 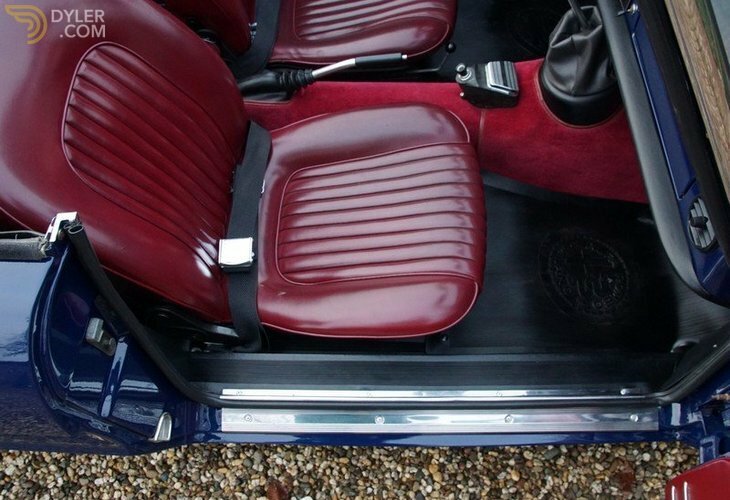 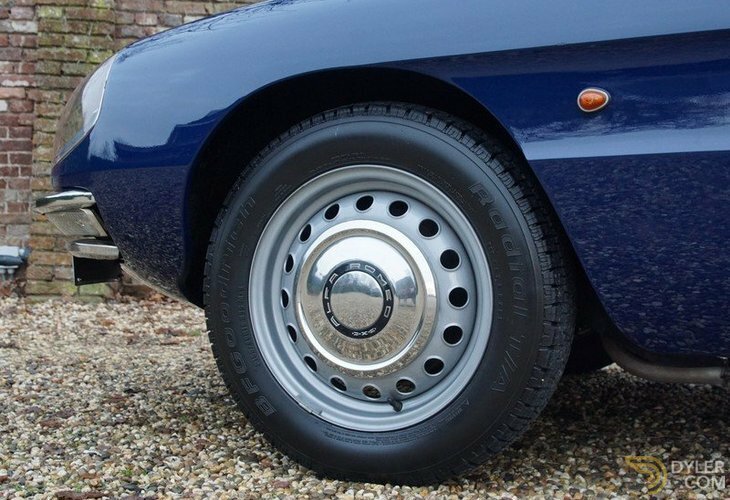 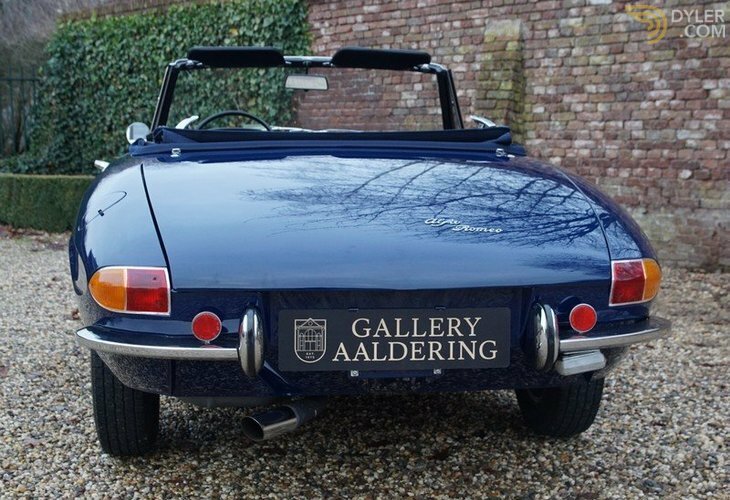 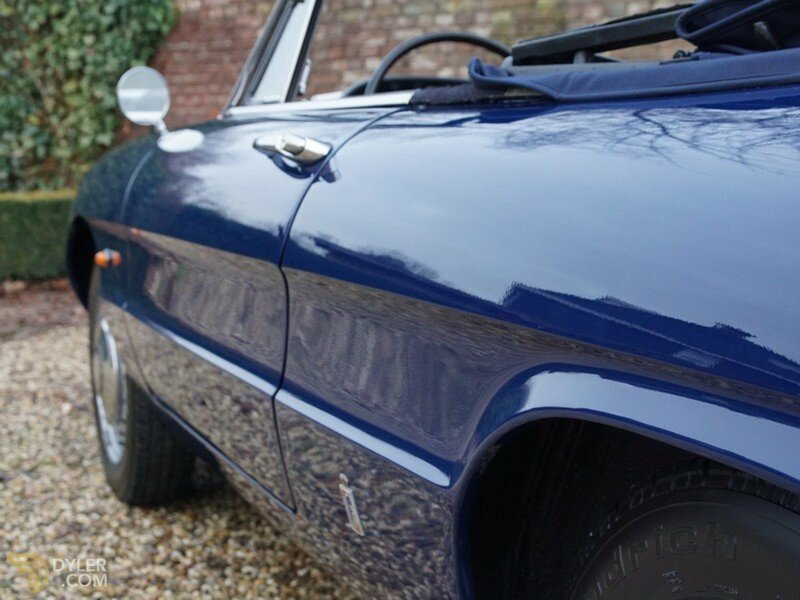 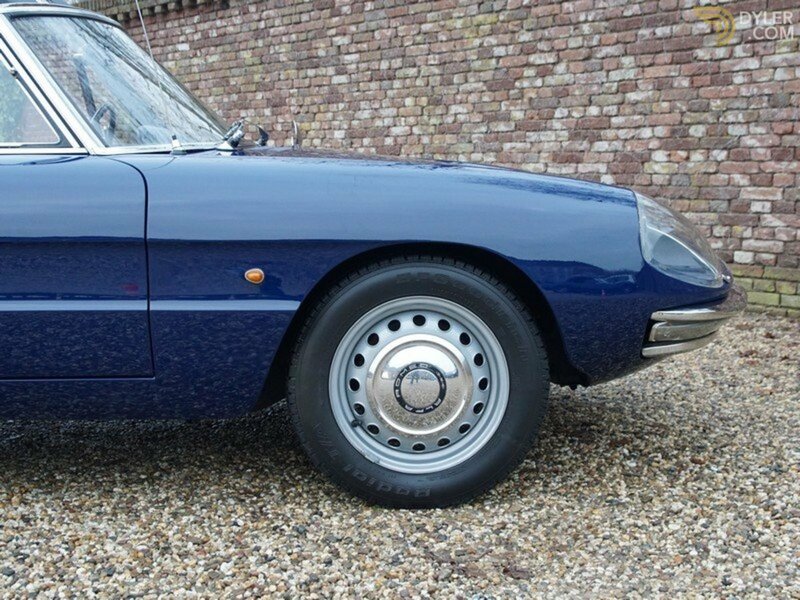 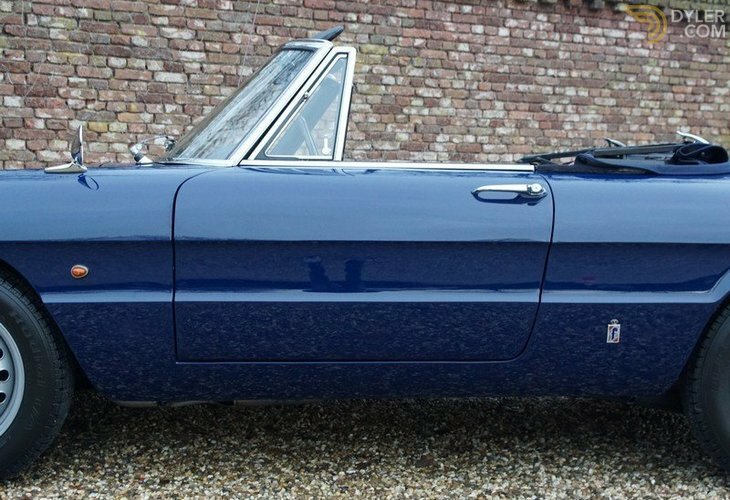 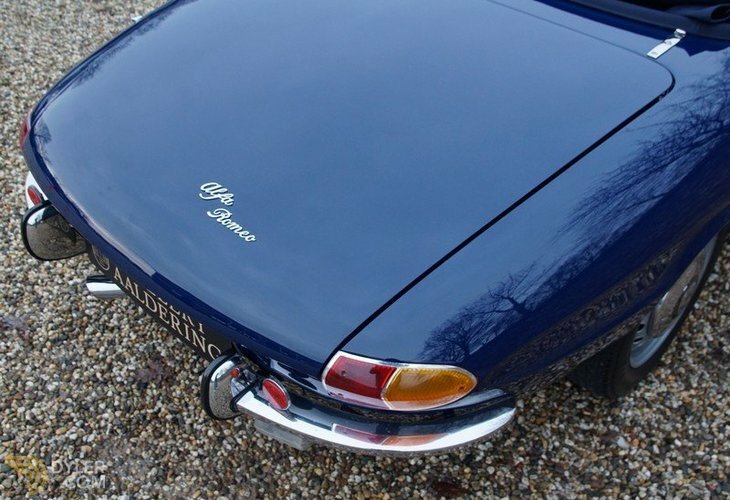 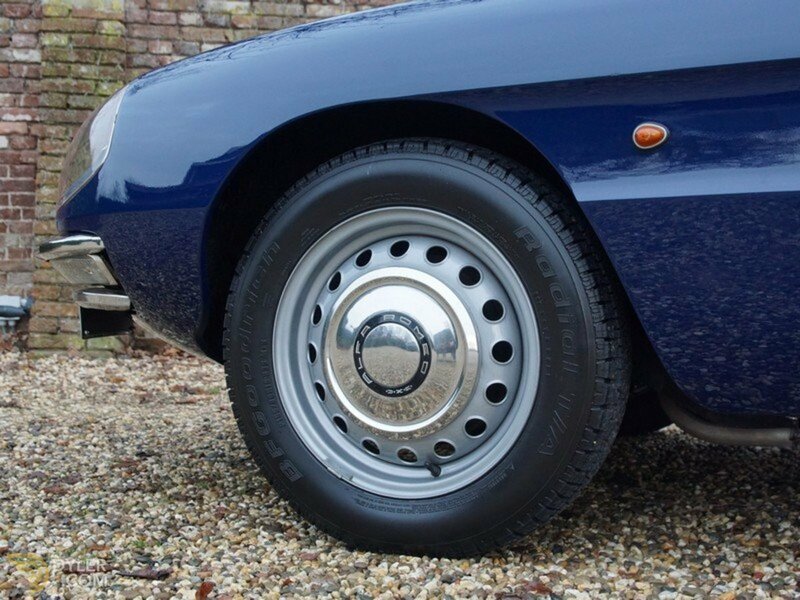 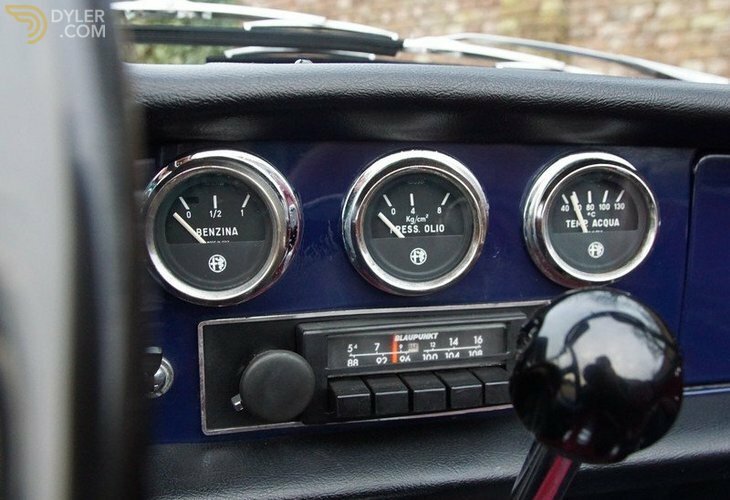 This Duetto has recently has a re-spray in the original colour scheme of ‘Blu Medio’ with an ‘Amaranth’ vinyl interior trim. 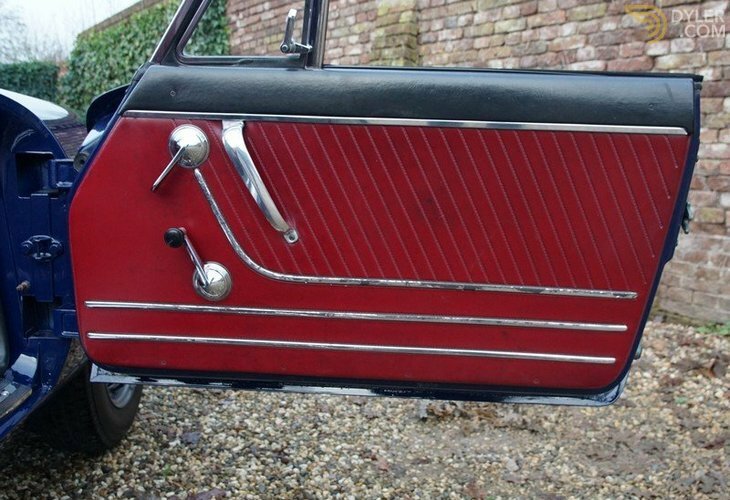 The original trim has not been replaced. 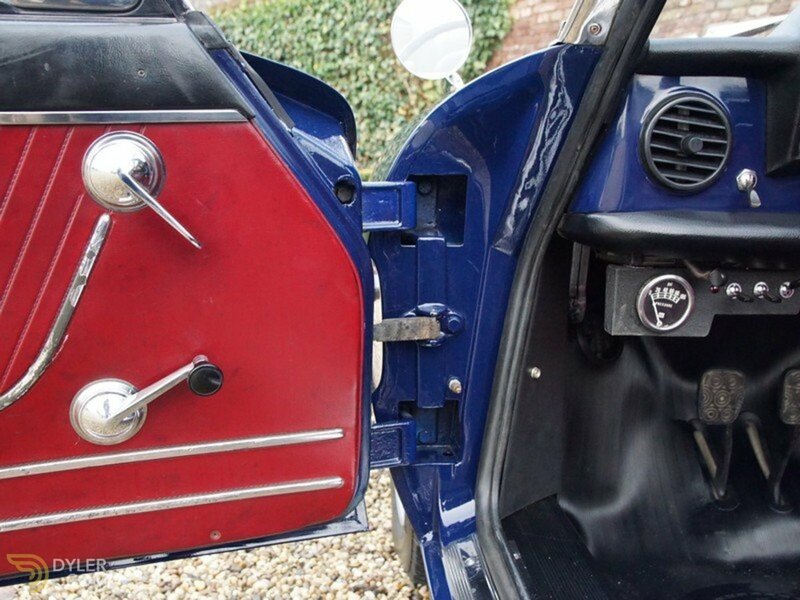 Even the tool-kit is still in situ. 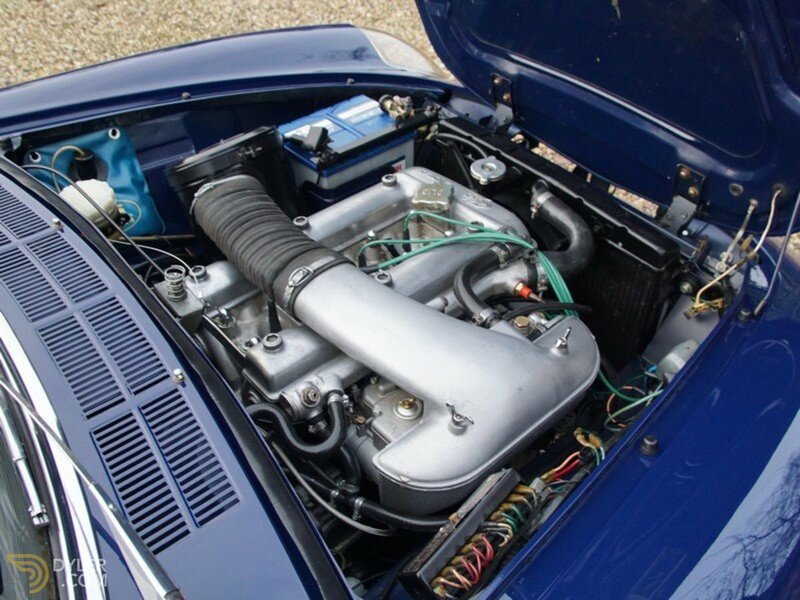 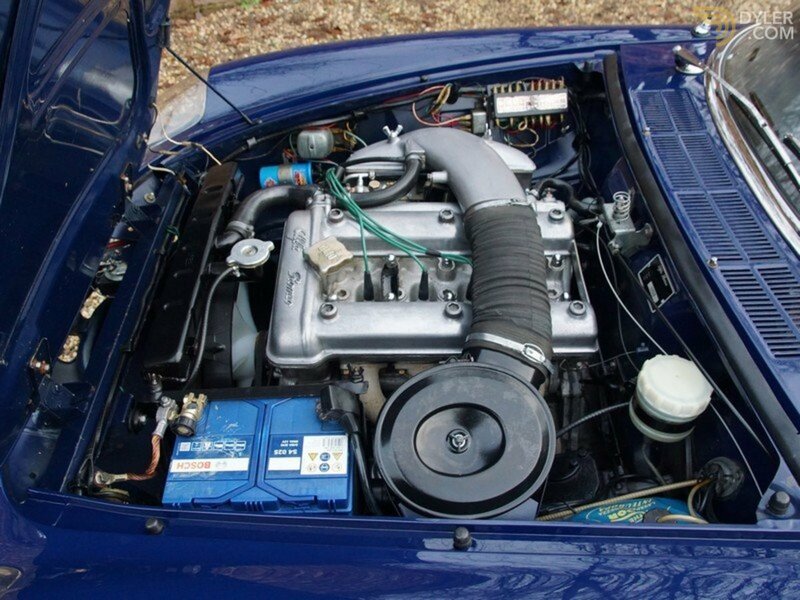 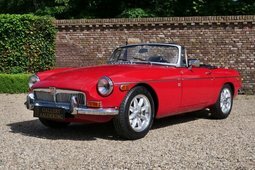 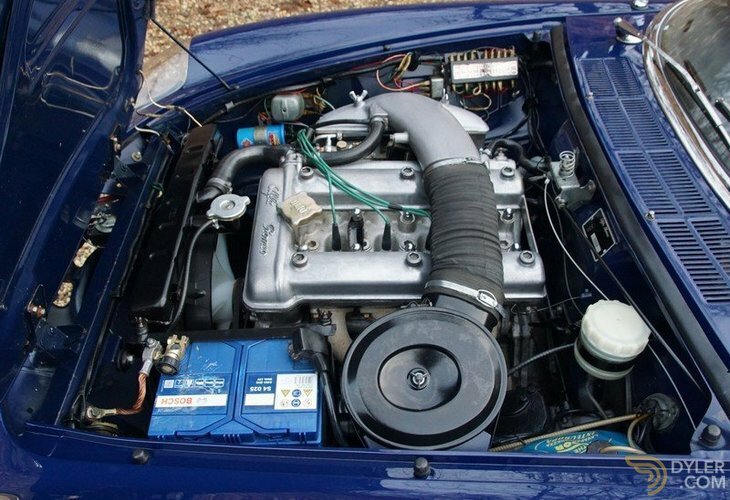 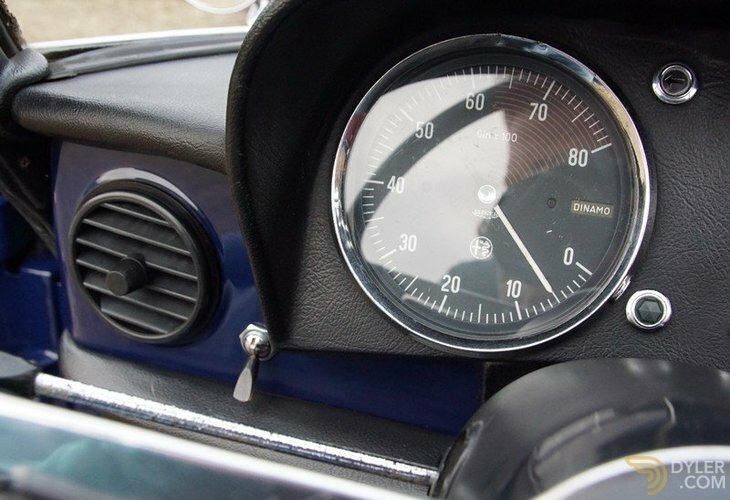 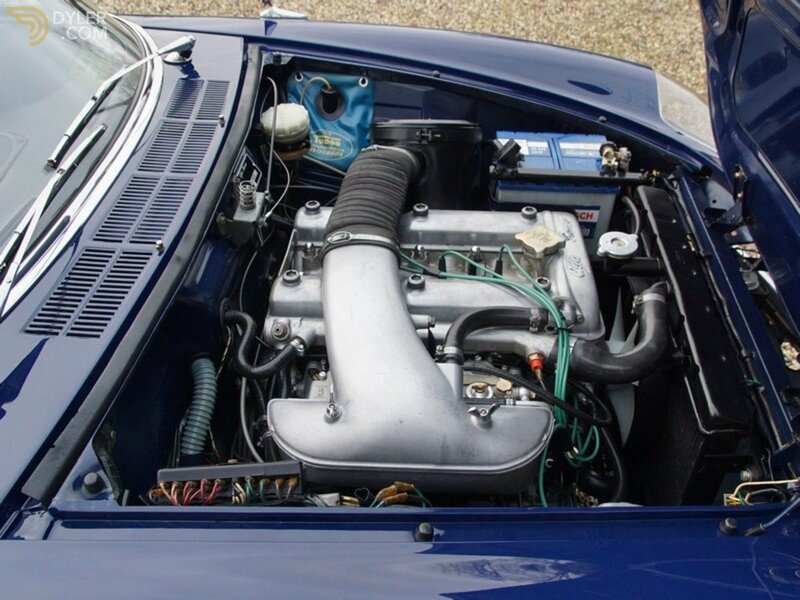 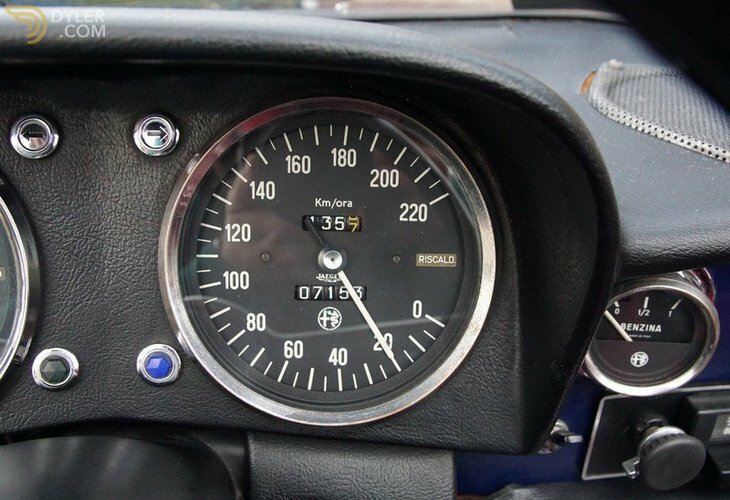 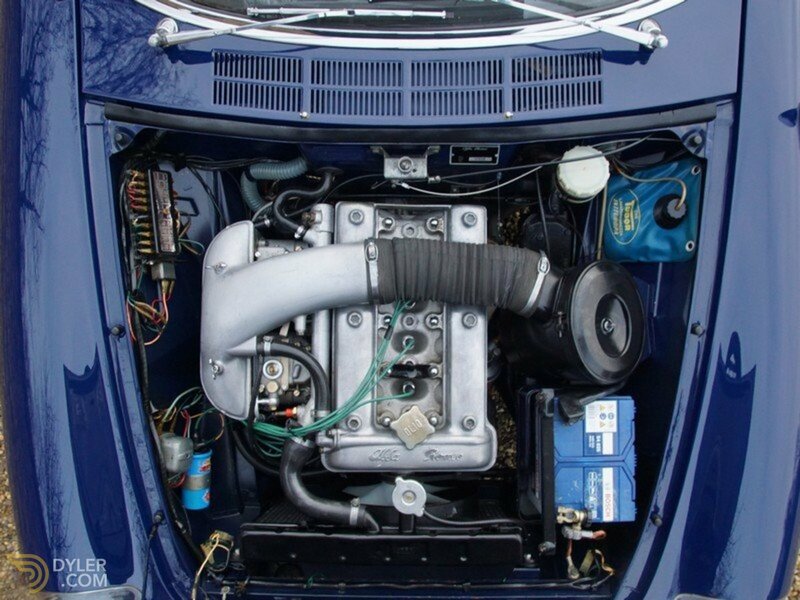 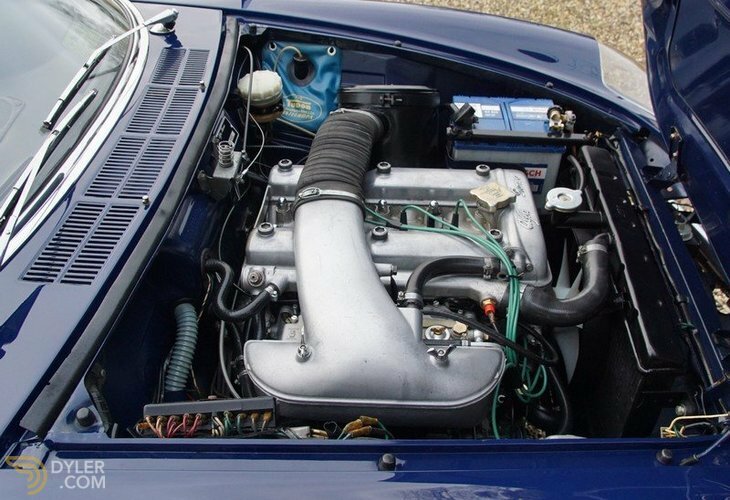 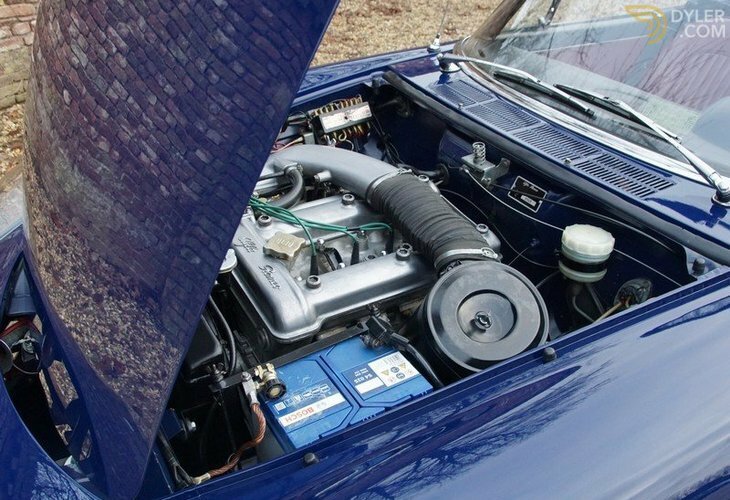 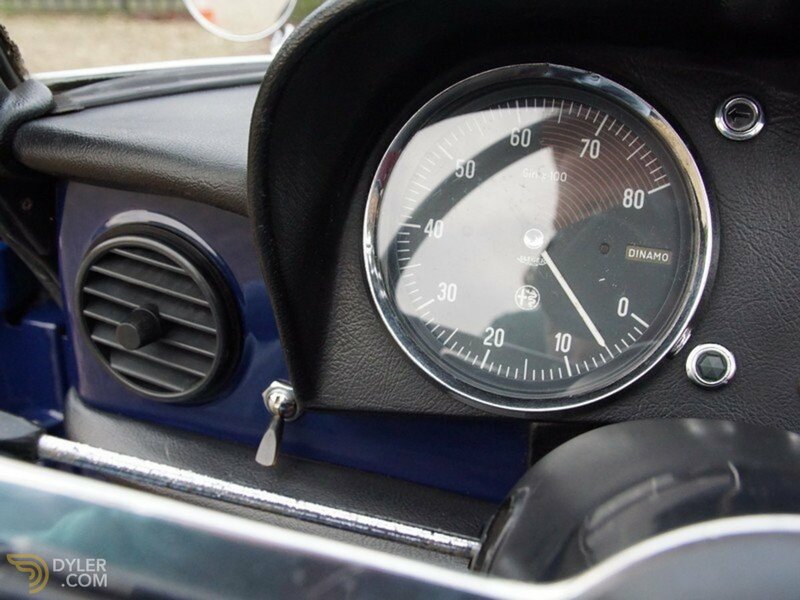 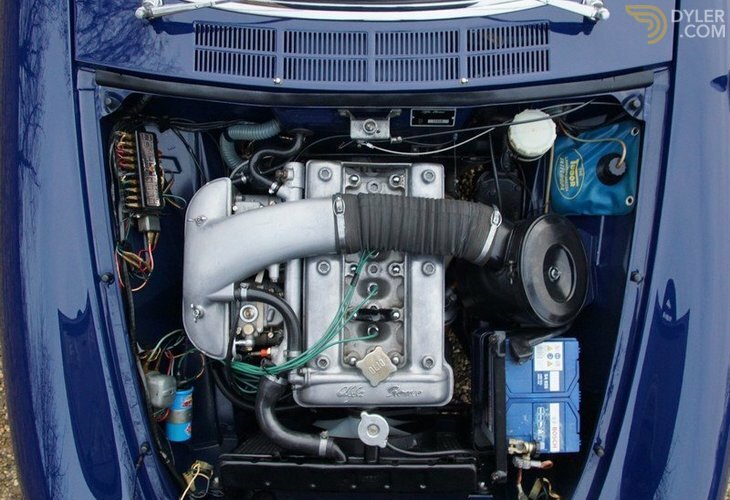 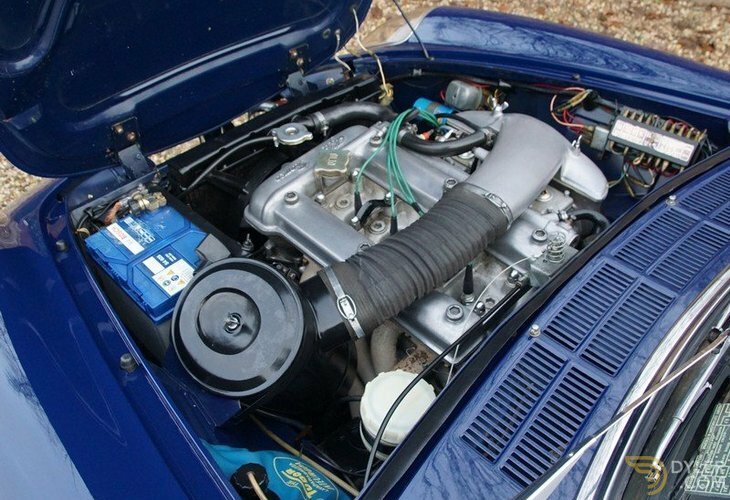 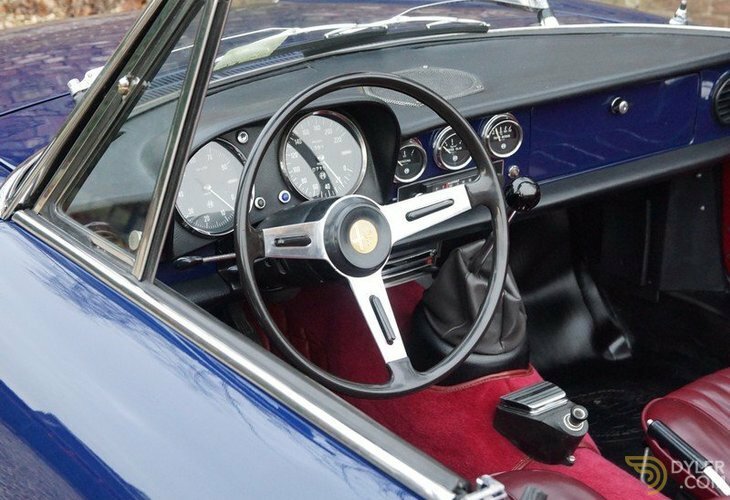 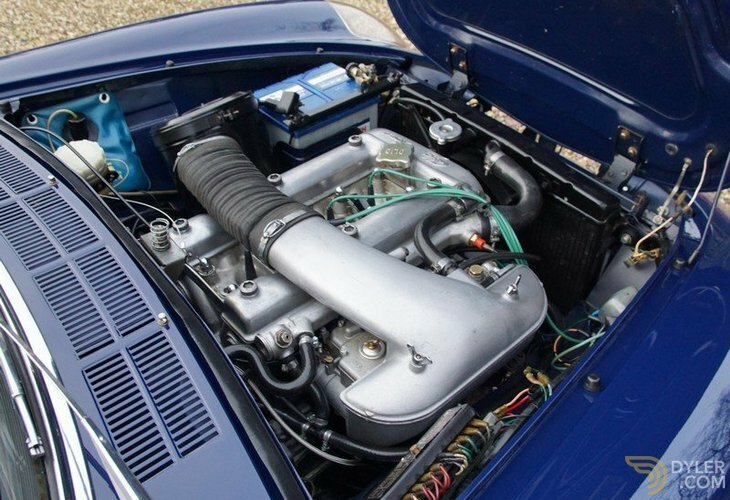 This carburettor driven special European Duetto 1600 has a wonderful provenance!